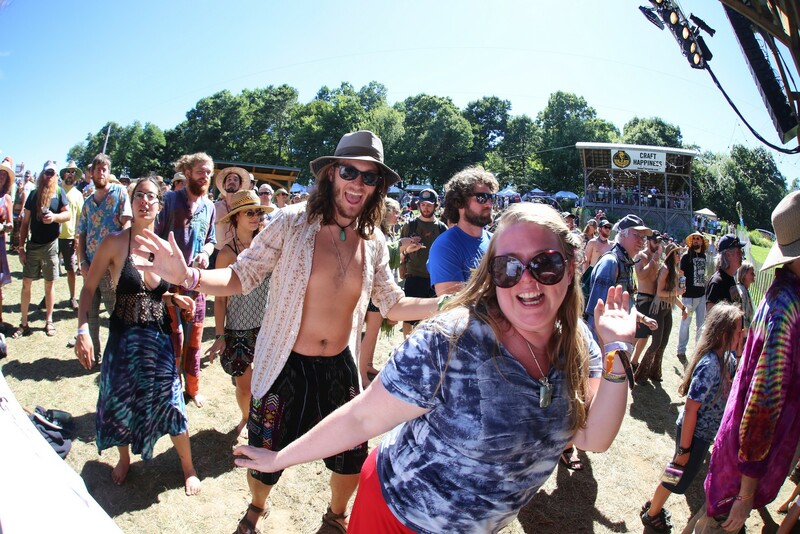 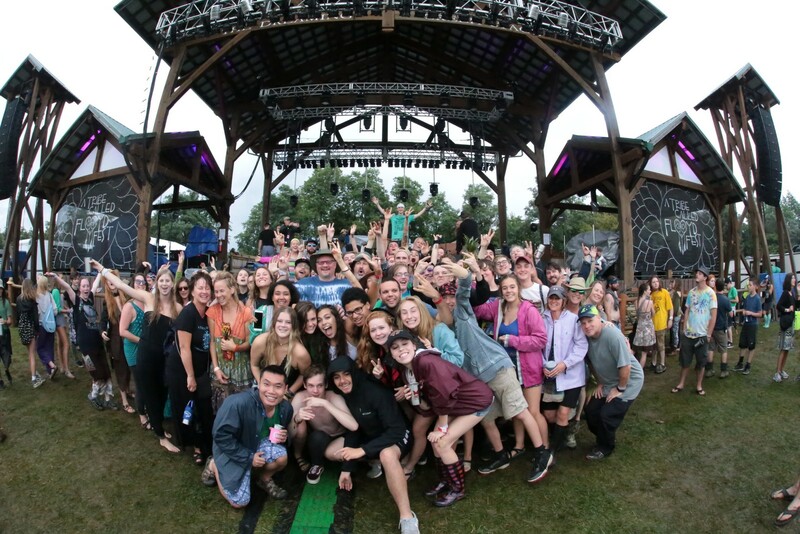 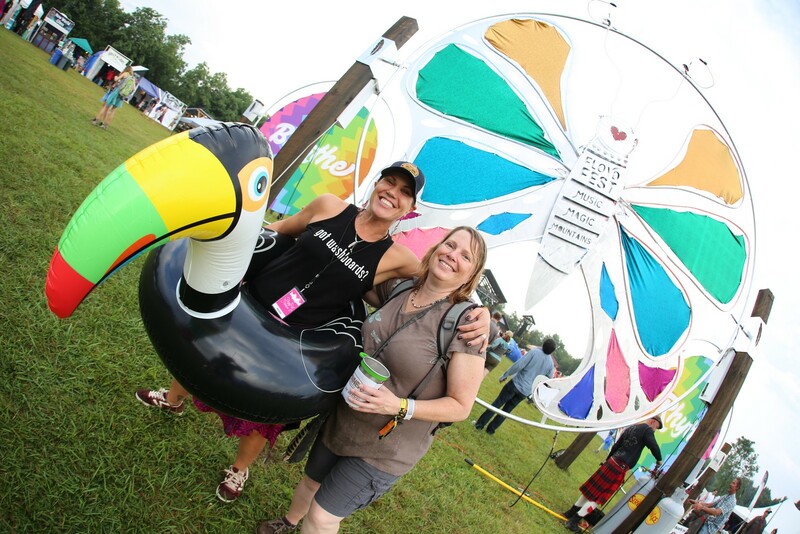 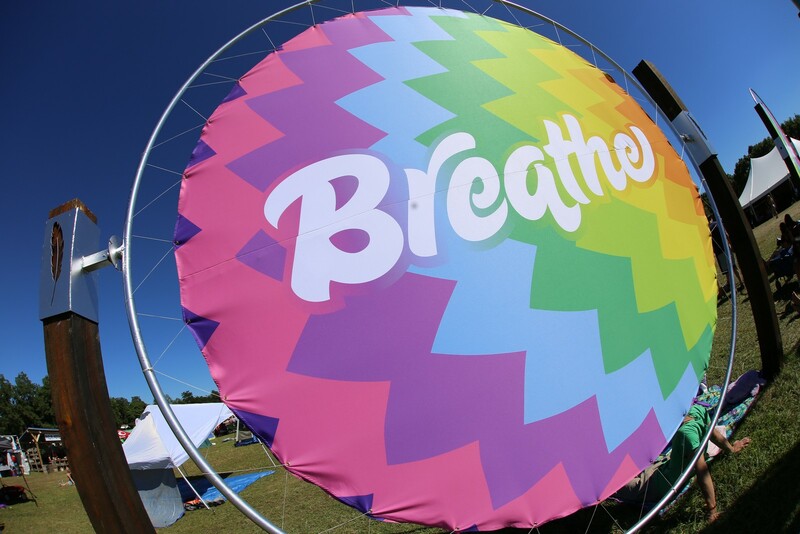 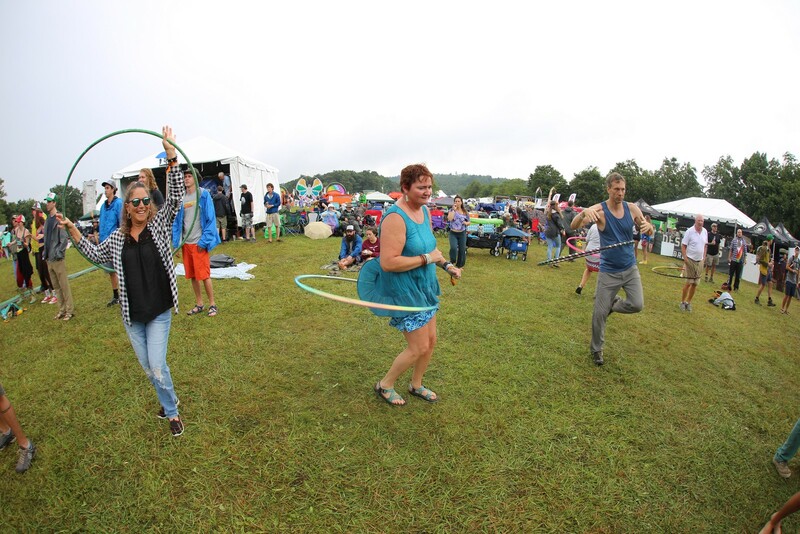 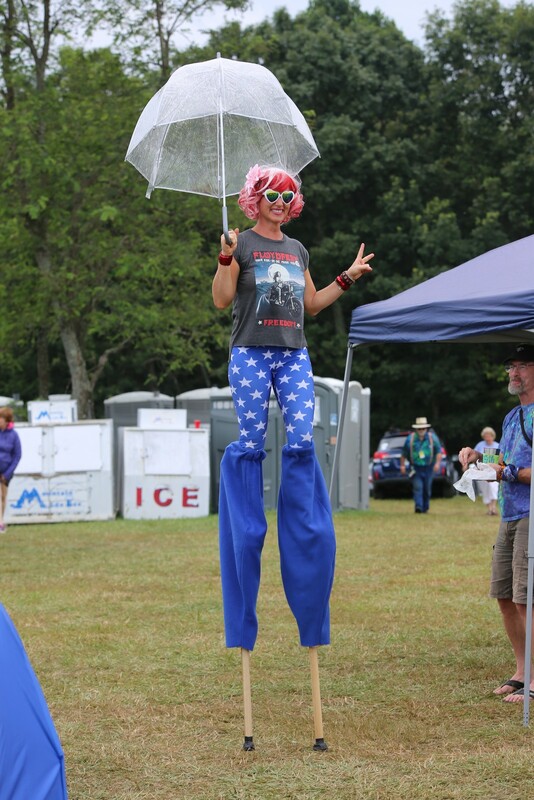 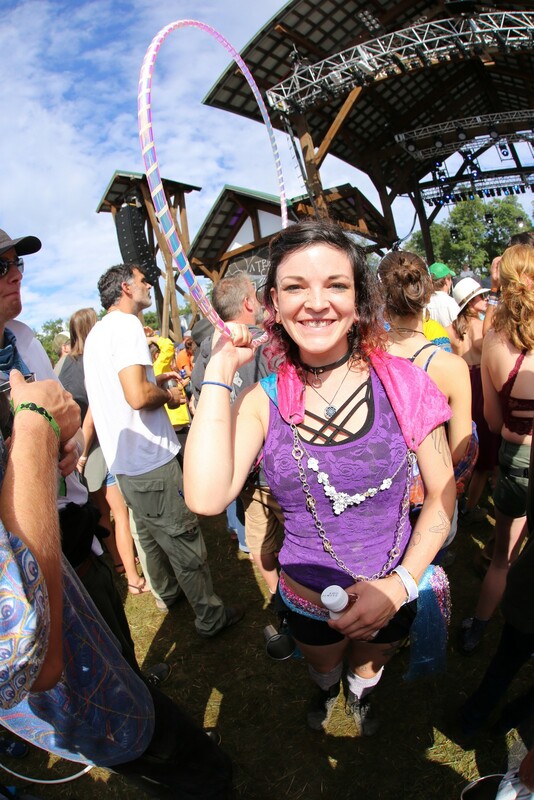 There's an interesting aspect of attending FloydFest that you don't expect but everyone seems to experience in some way or another--trying to explain to people what FloydFest is actually like. 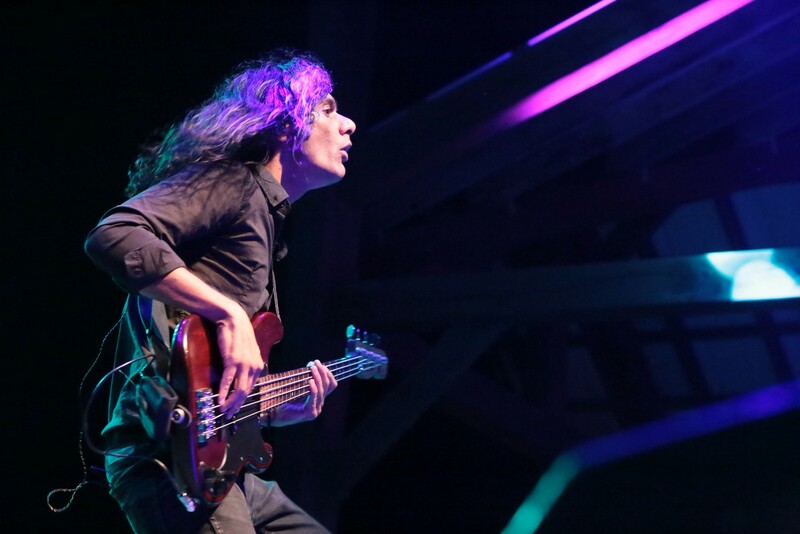 I've resorted to the phrase "an engaging and completely encompassing artistic experience." 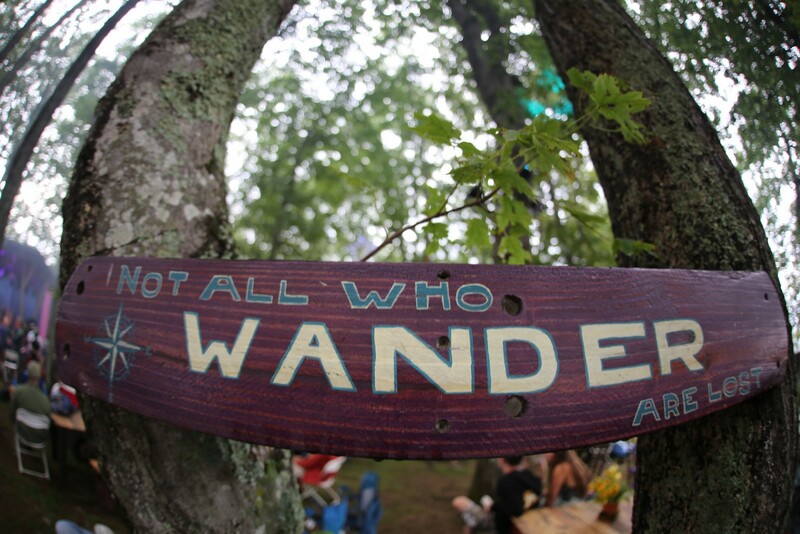 There's a direct path that leads you from the front gate to the mainstage, and during that walk of about 3/4 of a mile you walk past painters, sculptors, fire-jugglers, acrobats, stilt-walkers, food artisans, face-painters, street performers, bluegrass pickers, funk players, and if you got to the mainstage at 5pm on Saturday afternoon, a mind-blowing, earth-loving didgeridoo player. 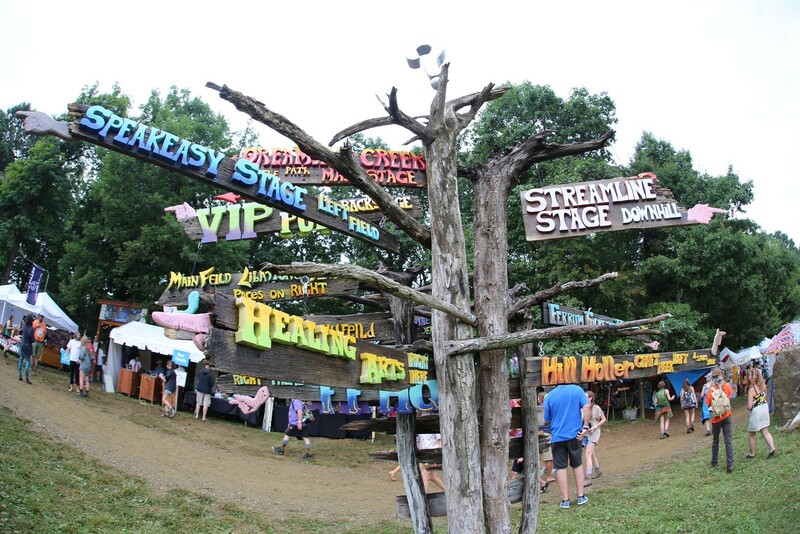 As you try to explain this to people, you quickly realize that you can't really call it a "music festival." 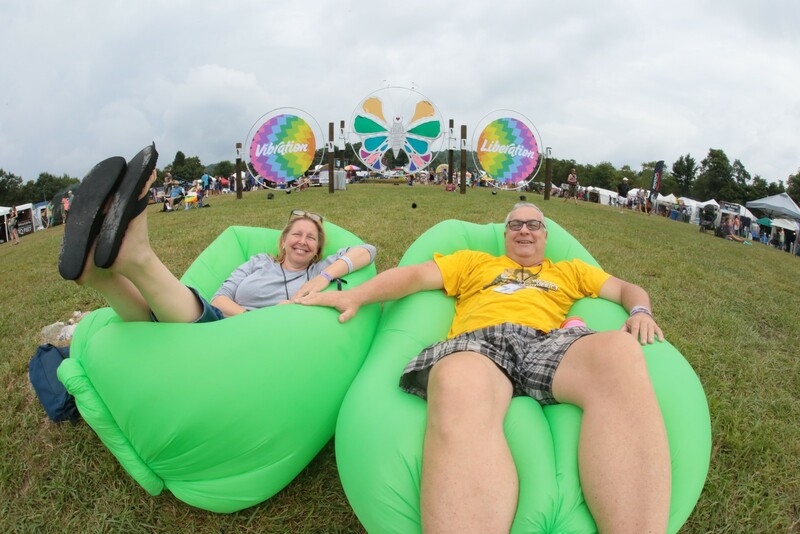 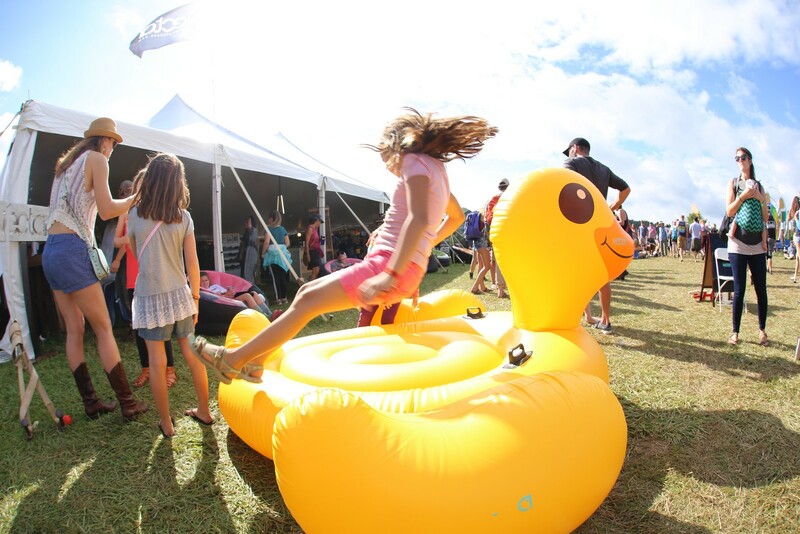 Not in today's terms, at least, when festivals have become more and more corporatized and the Fyre Festival disaster was only a matter of time. 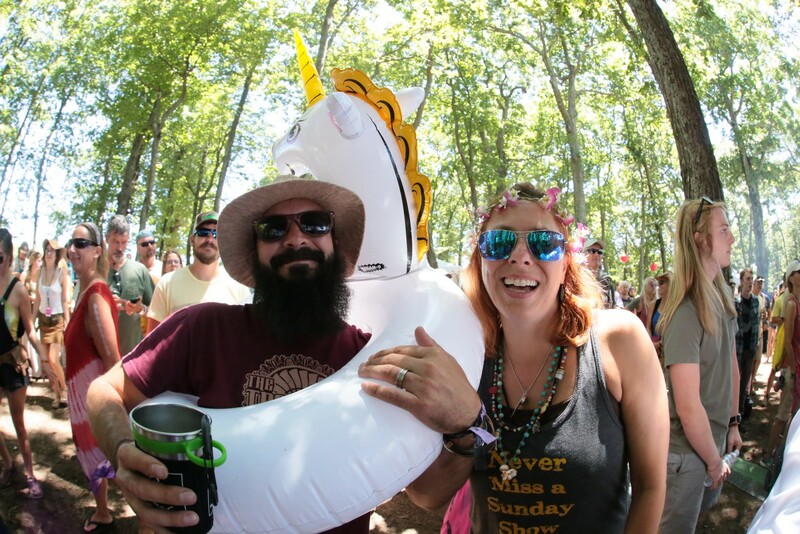 Rather, FloydFest is a communal experience celebrating our human desire to find meaning and purpose through art of all types...and, if we're to be honest...beer. 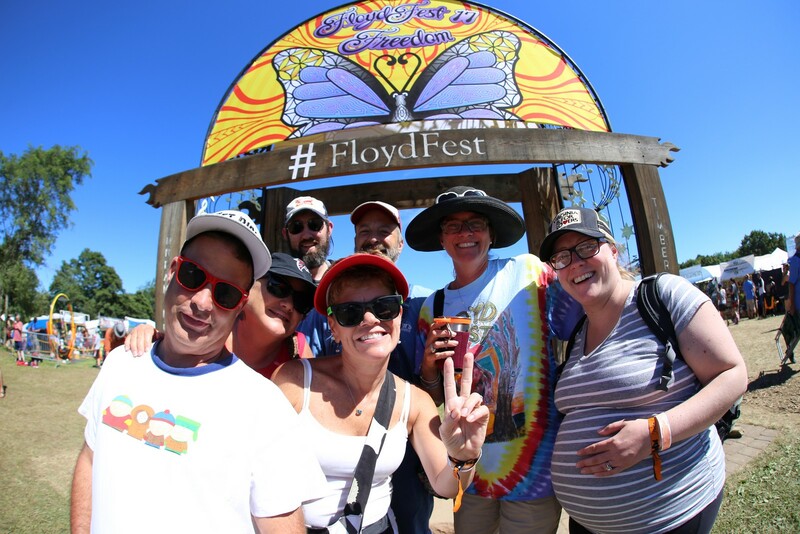 There is so much great craft beer from NC and VA.
FloydFest kicks off each year with a special VIP party at the Pink Floyd Garden Stage. 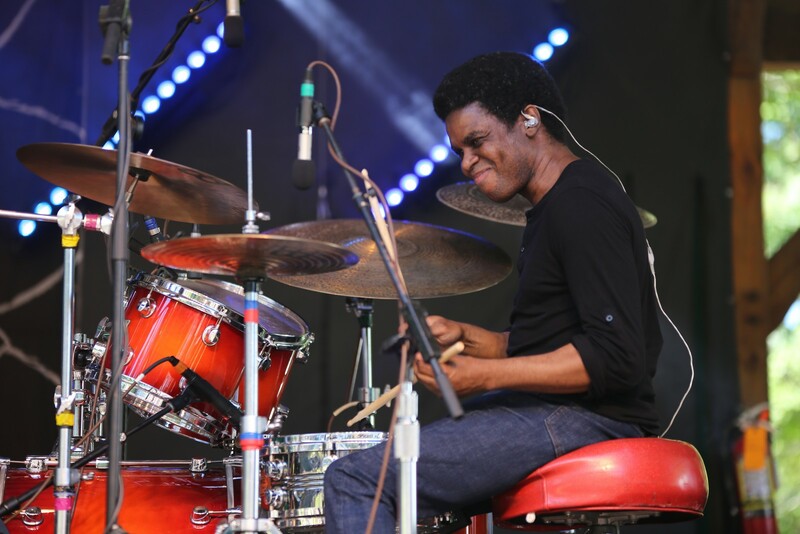 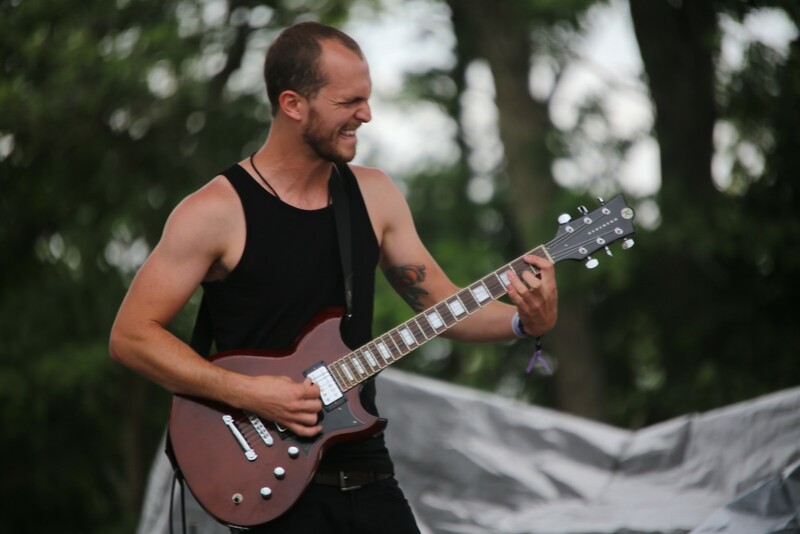 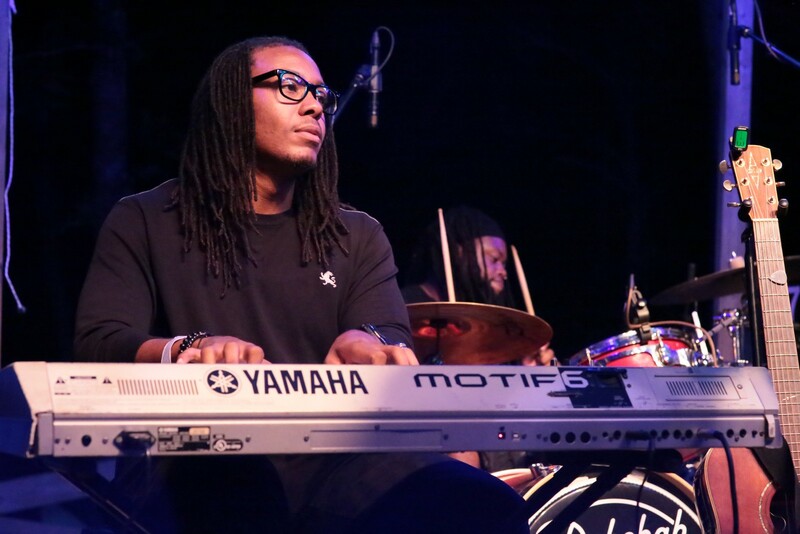 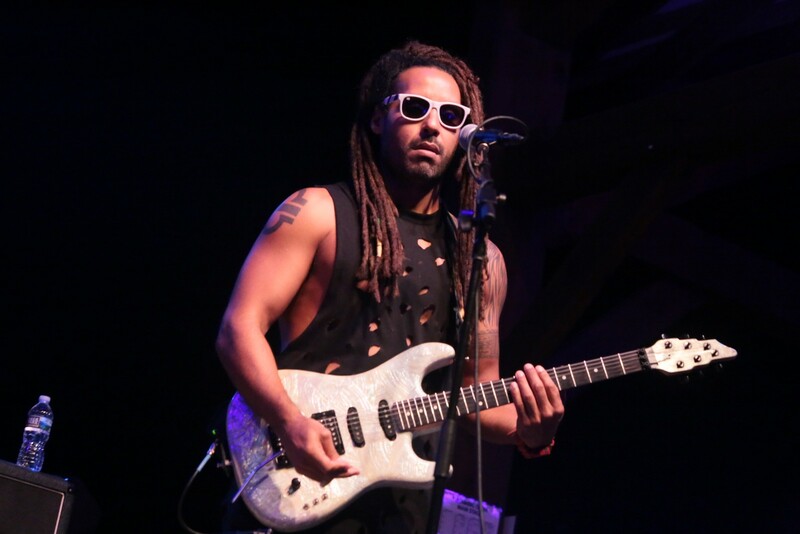 This year featured the first and second place bands from the 2016 On The Rise contest that allows patrons to vote for their favorite up-and-coming bands. 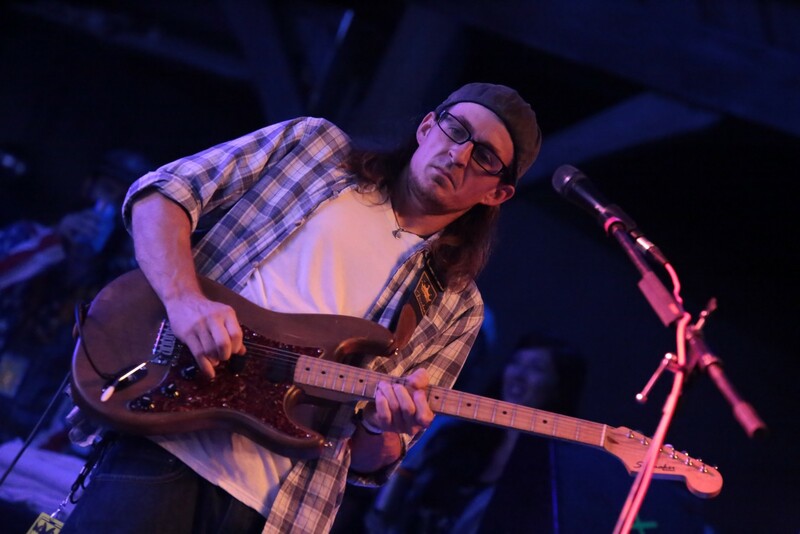 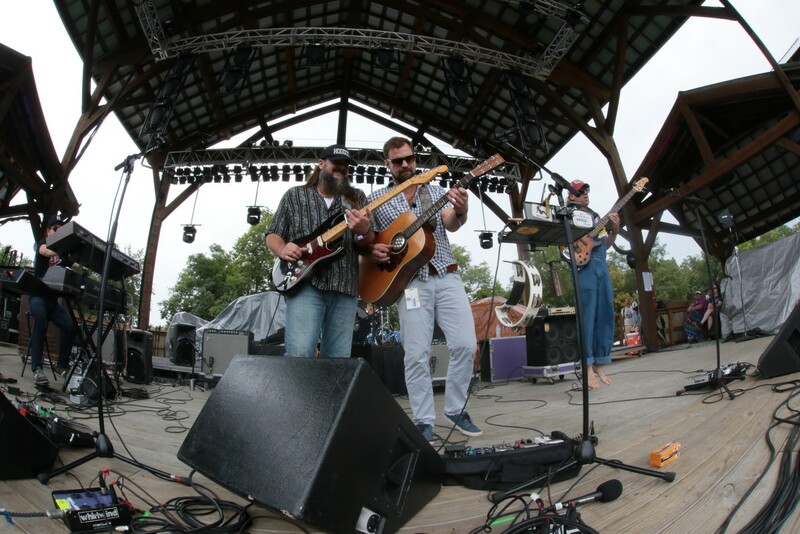 Urban Soil, from Raleigh, NC (photo by Roger Gupta), last year's runner up, brought their fresh mix of southern rock and Appalachian groove. 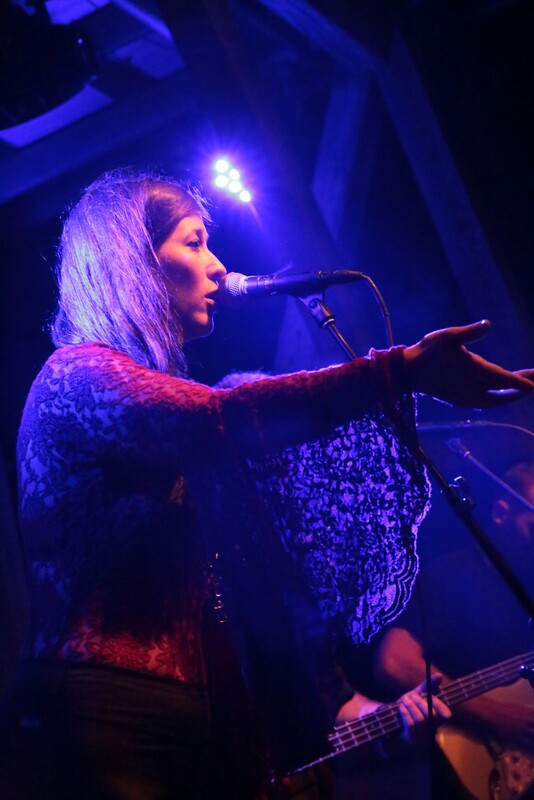 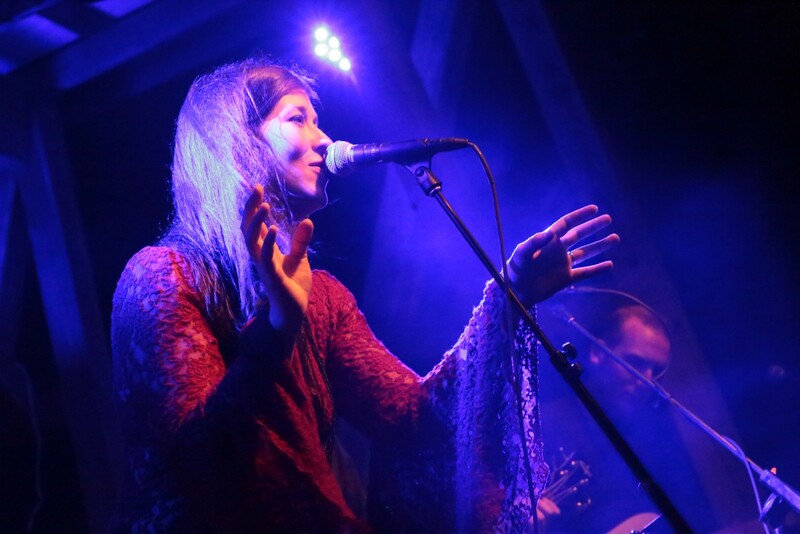 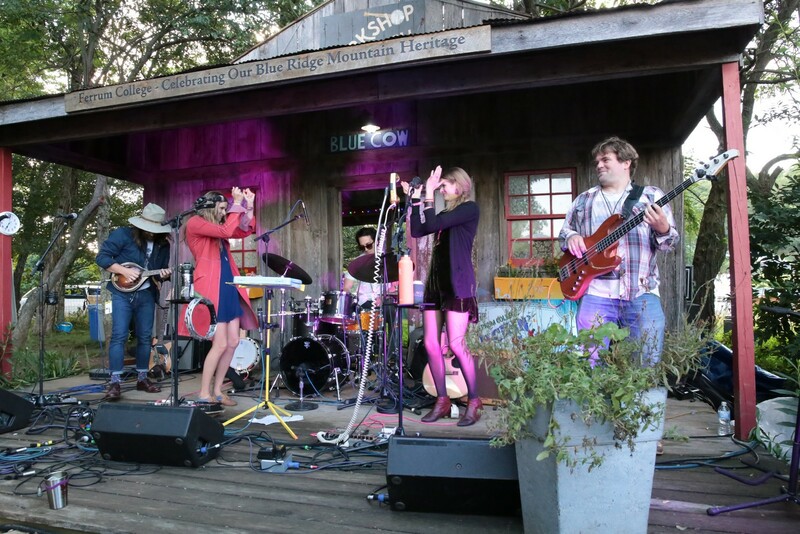 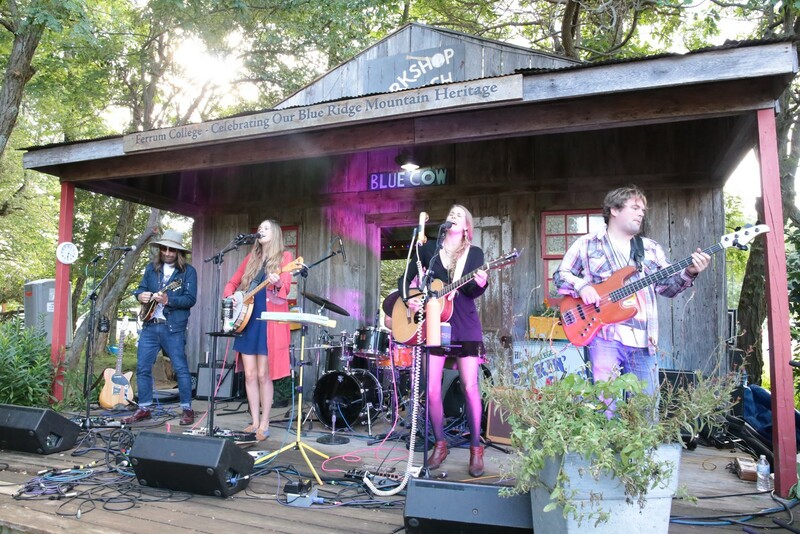 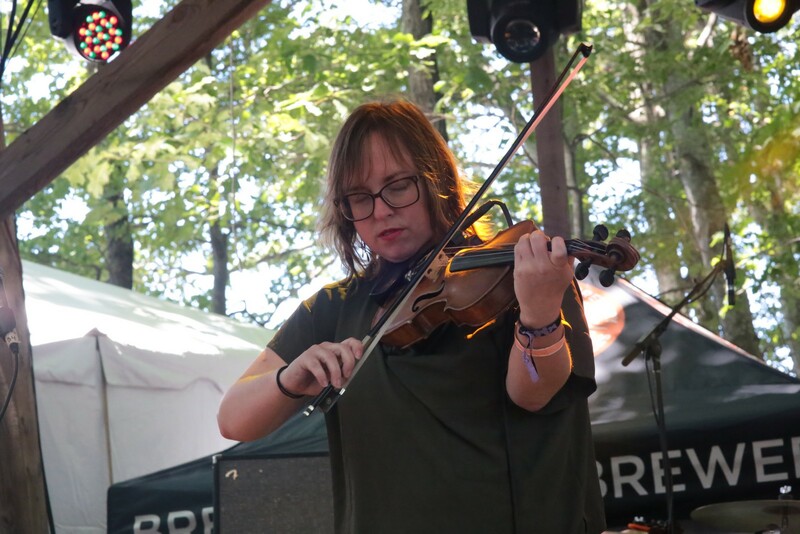 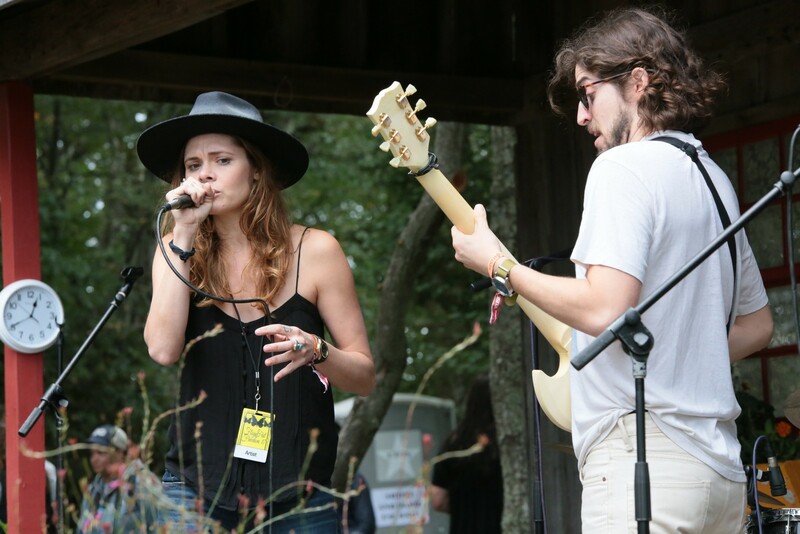 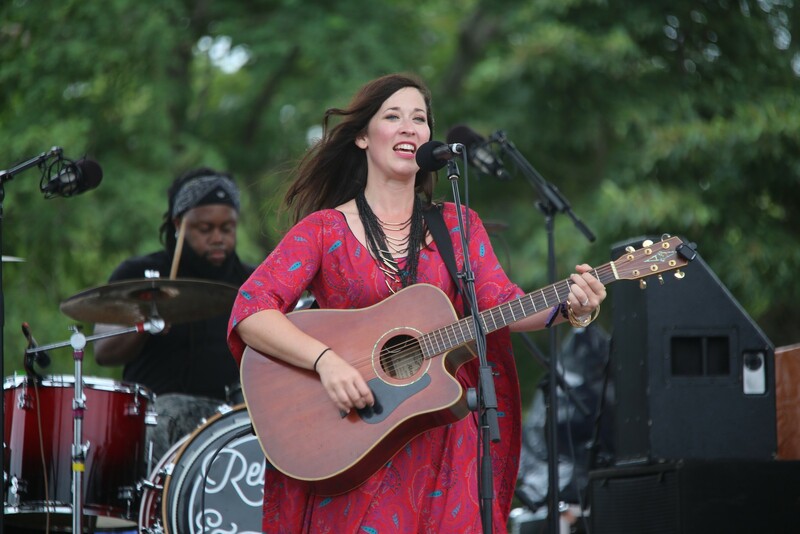 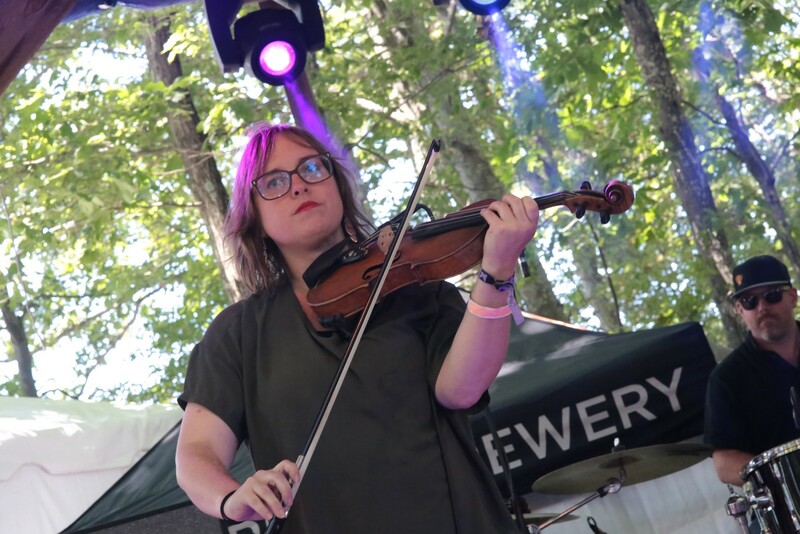 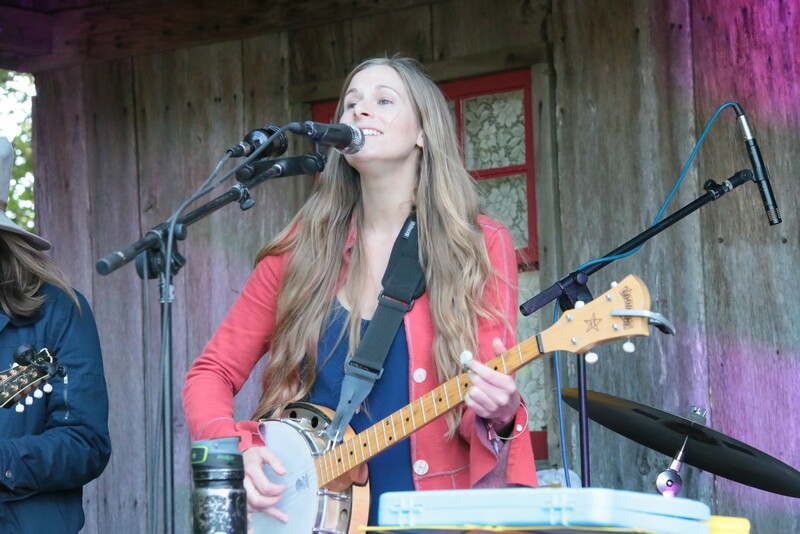 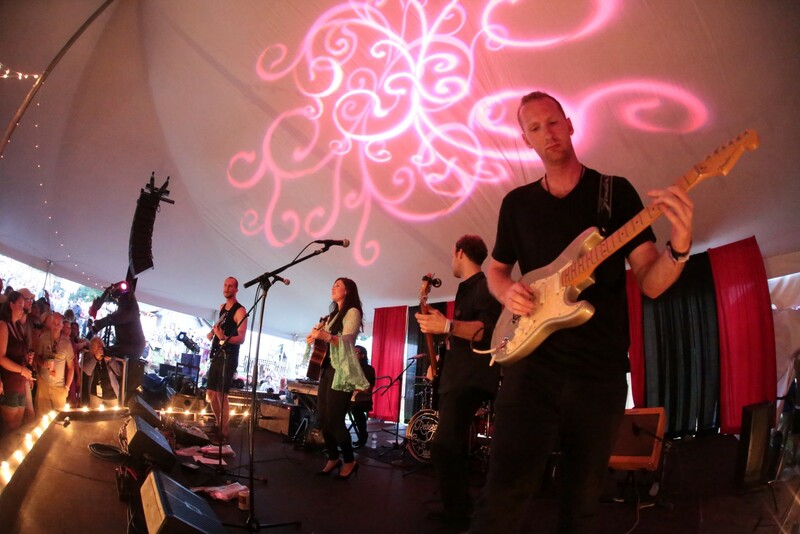 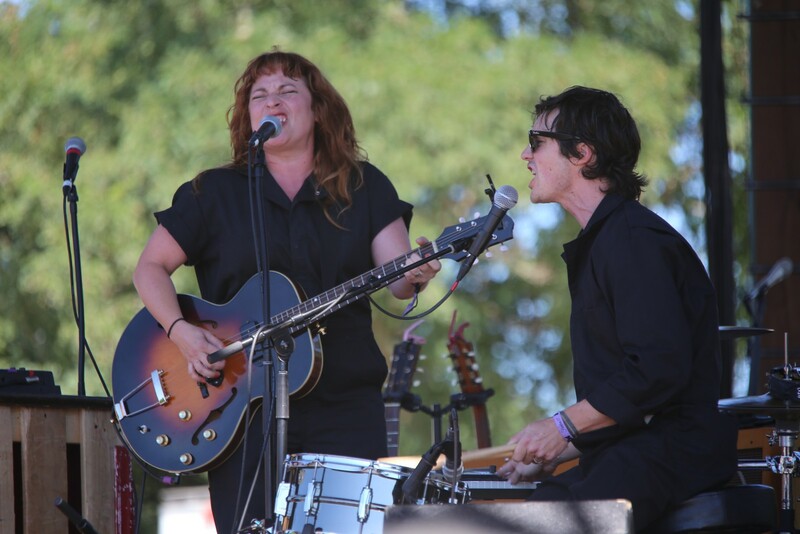 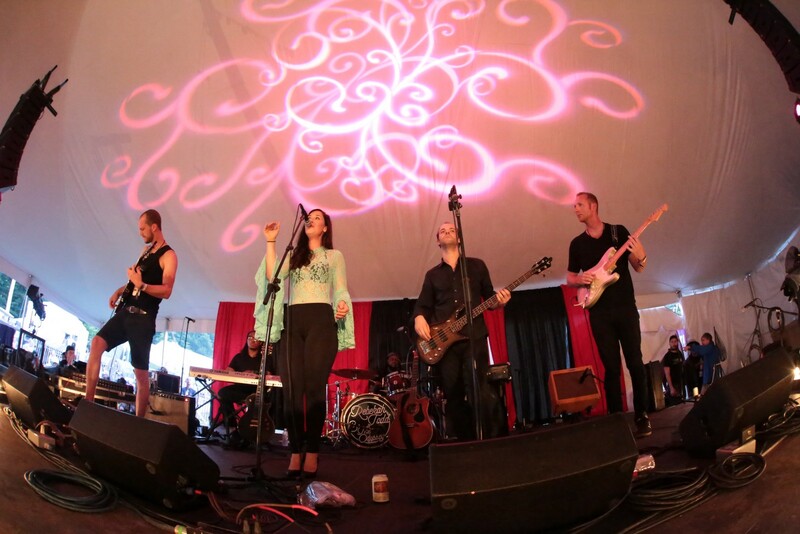 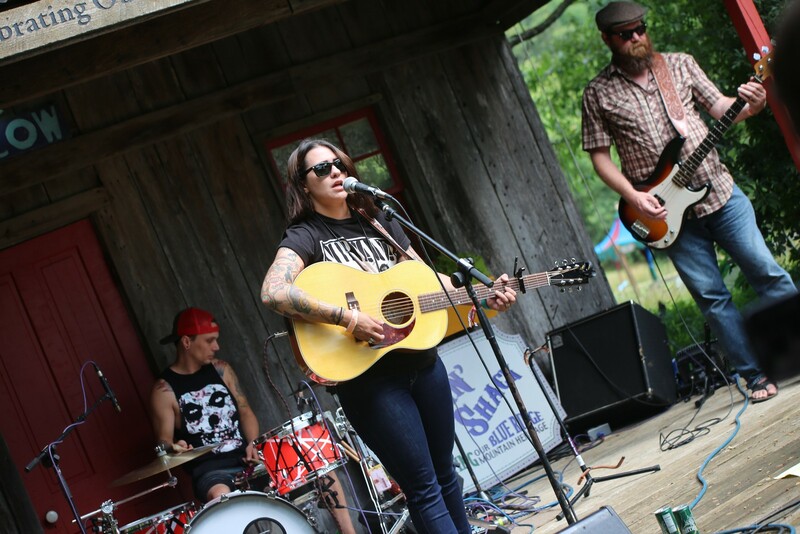 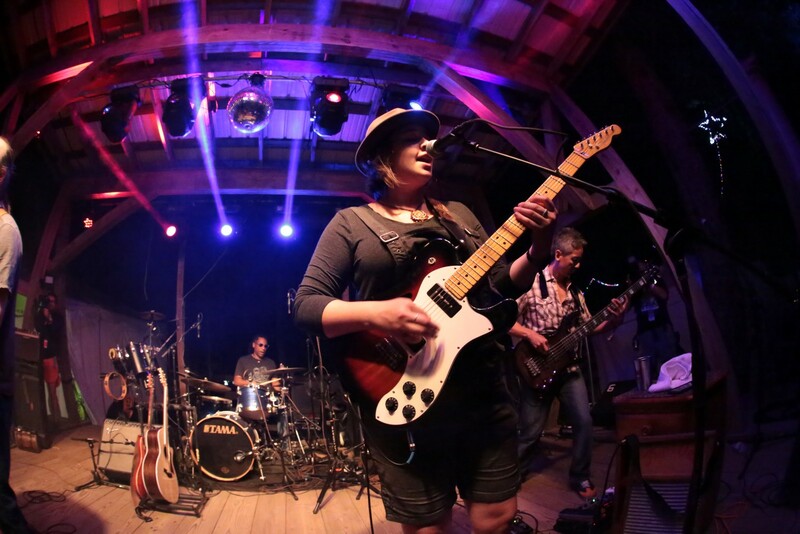 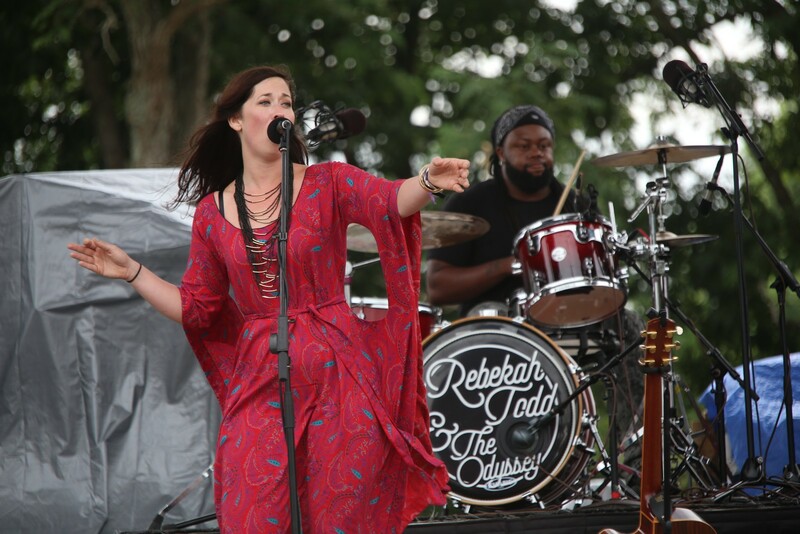 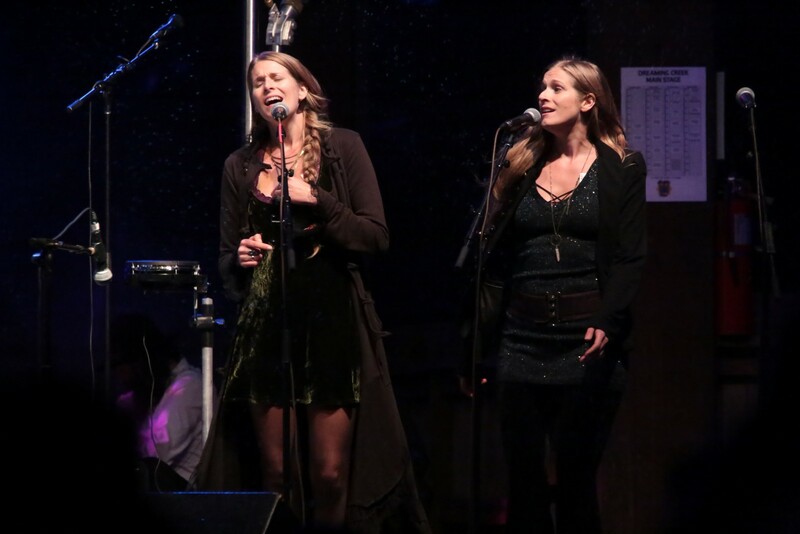 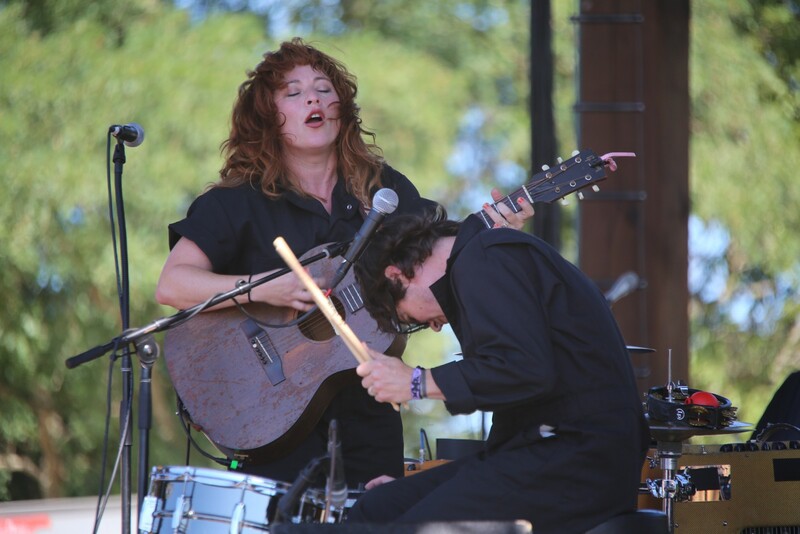 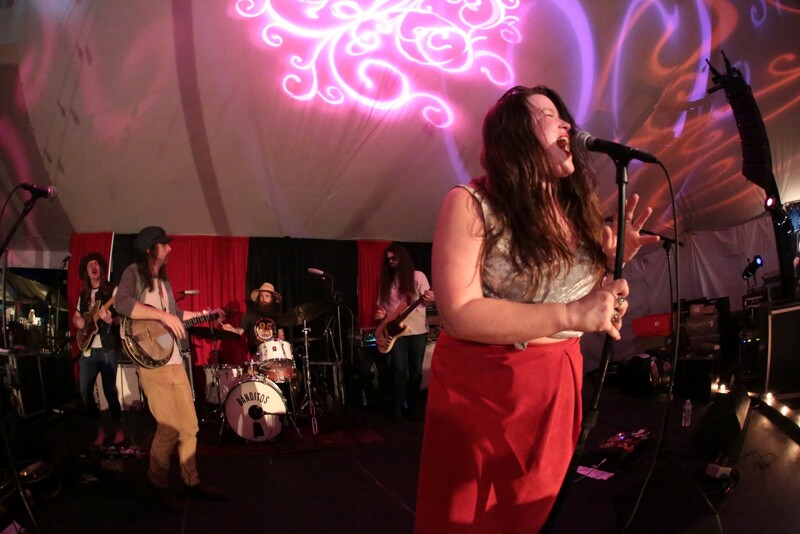 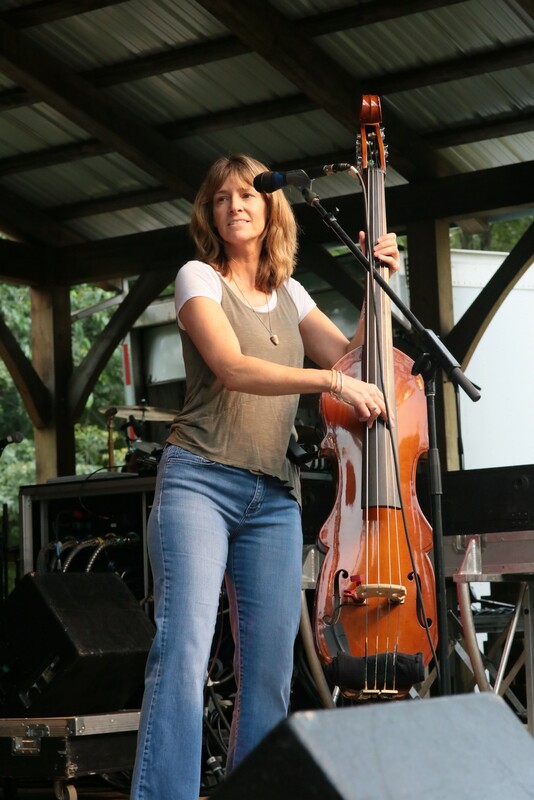 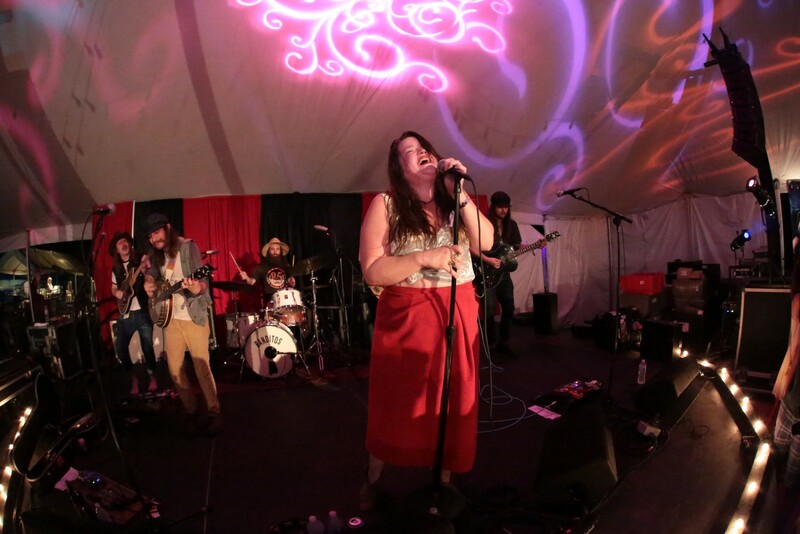 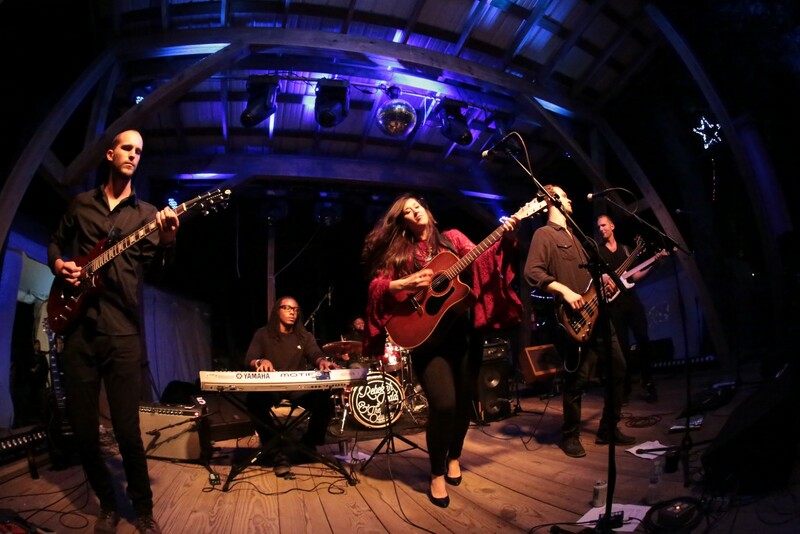 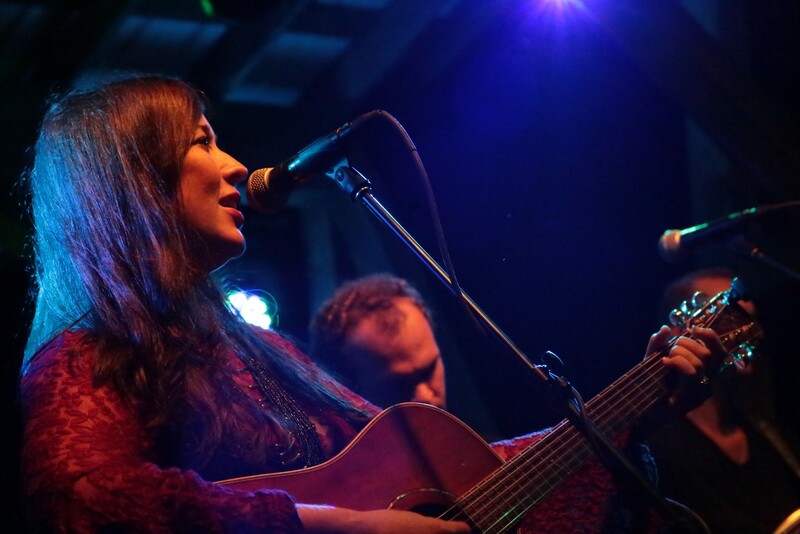 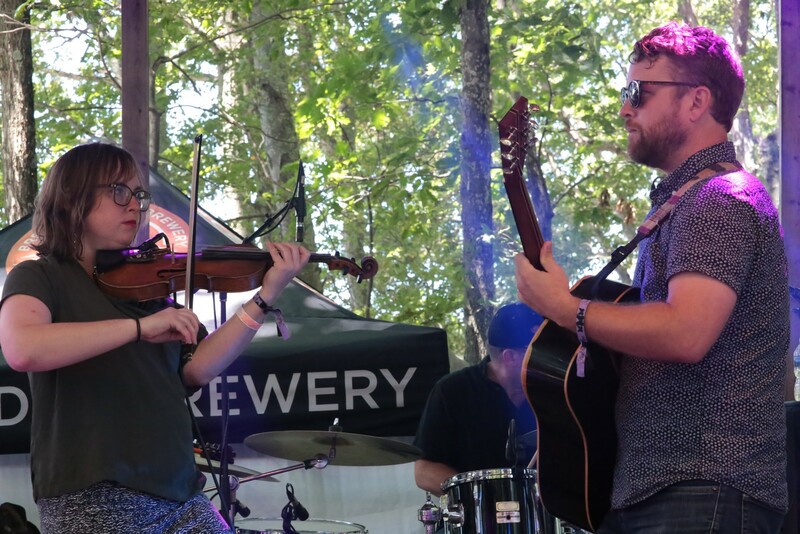 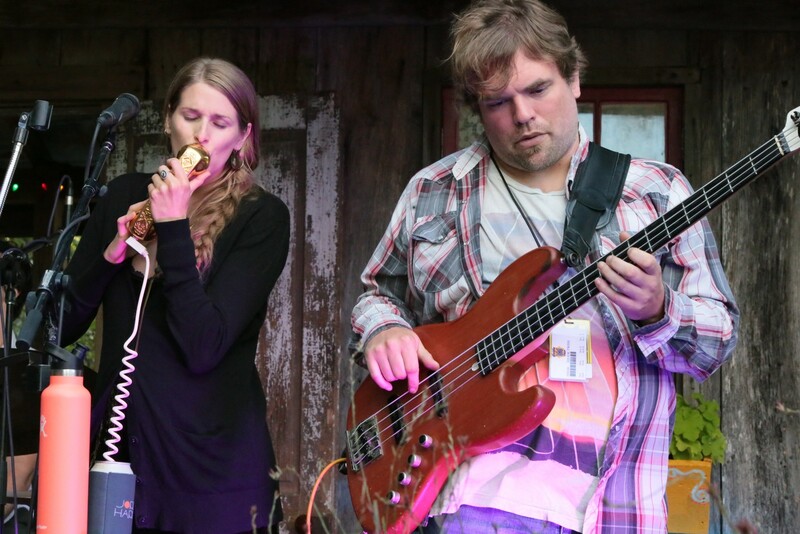 The 2016 On The Rise Winner, Rebekah Todd & the Odyssey, followed it up with an energetic and soulful set that included a respective nod to the name of the Garden area with Pink Floyd's "Time." 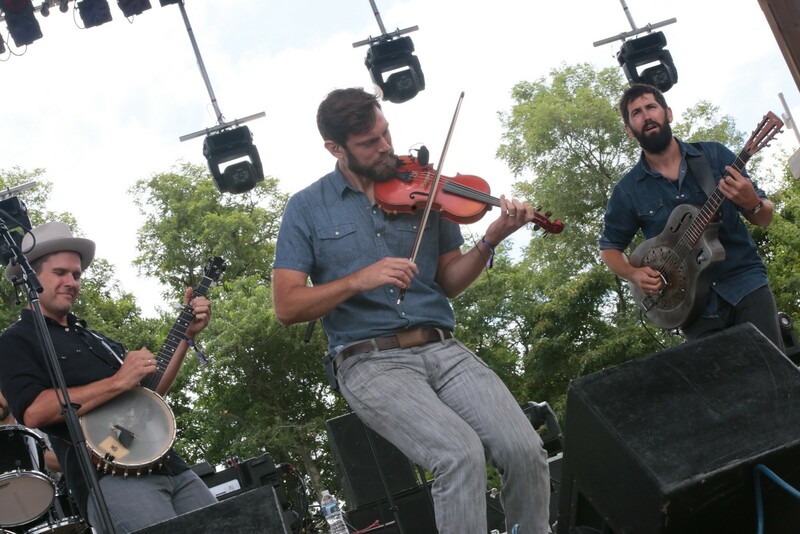 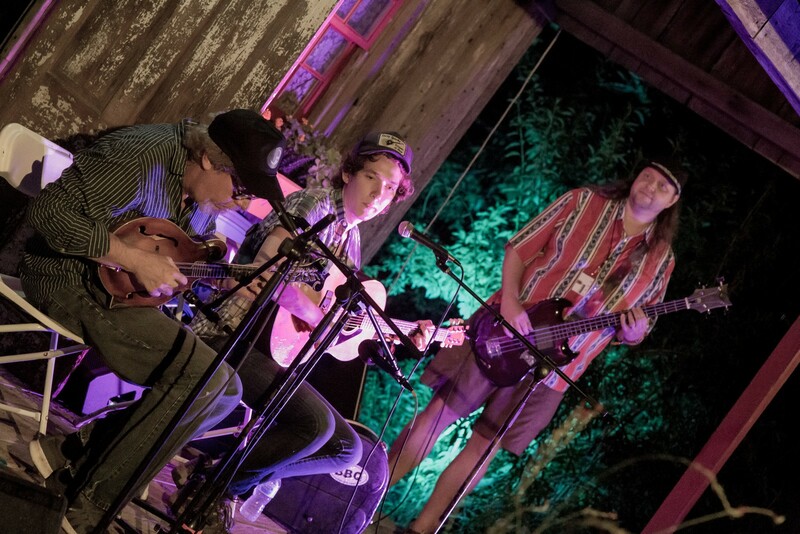 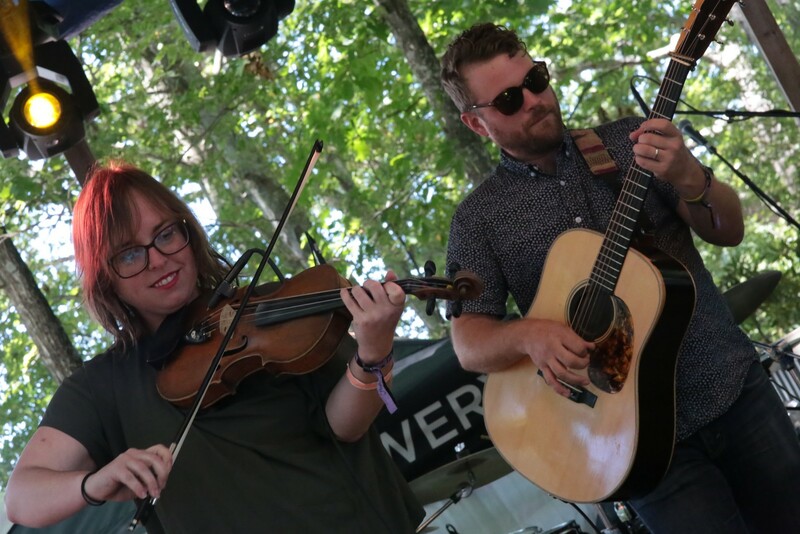 One of the breakout surprises of the weekend was the progressive bluegrass band from Missoula, MT, The Lil Smokies. 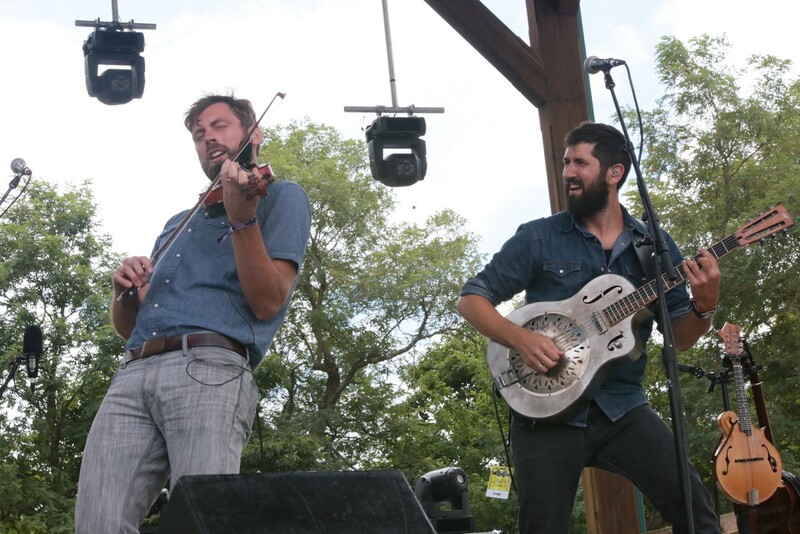 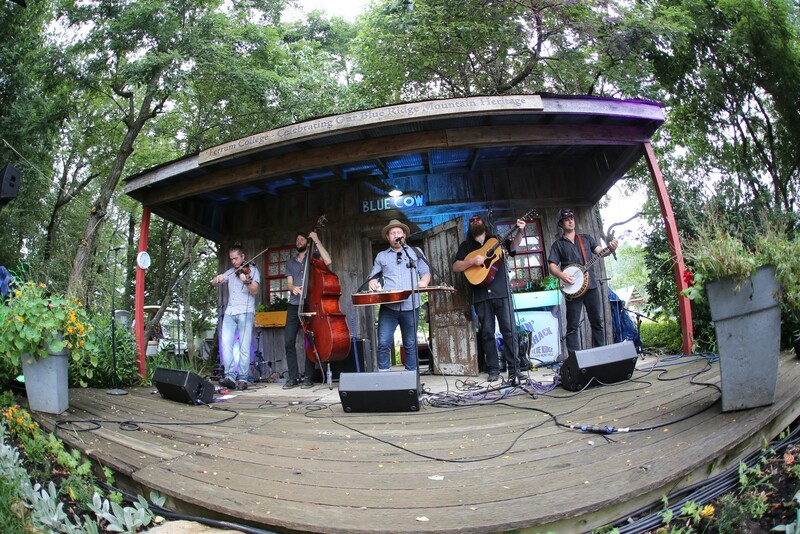 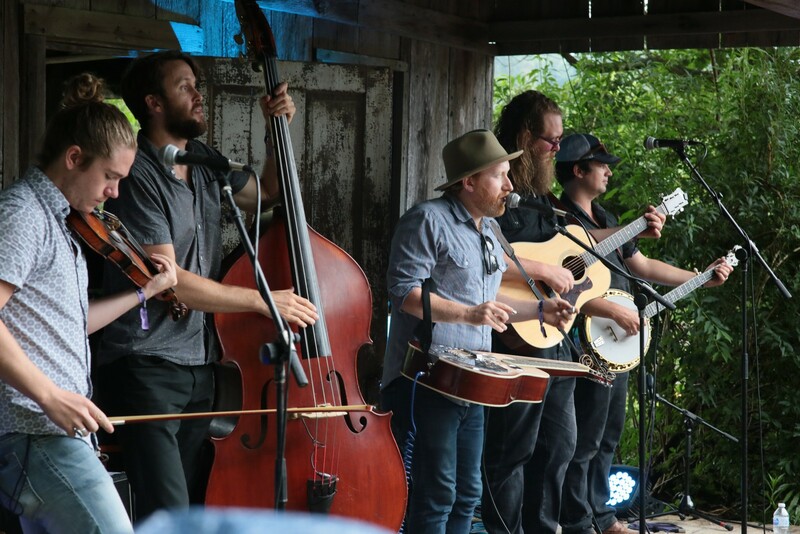 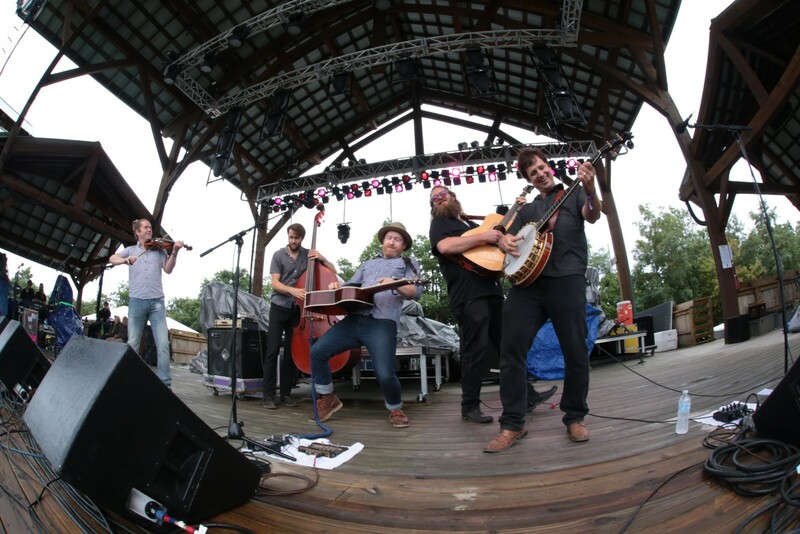 Last year's winner of the International Bluegrass Music Association's Momentum award, these guys are living up to that recognition by consistently traveling the country, hitting many of the great festivals. 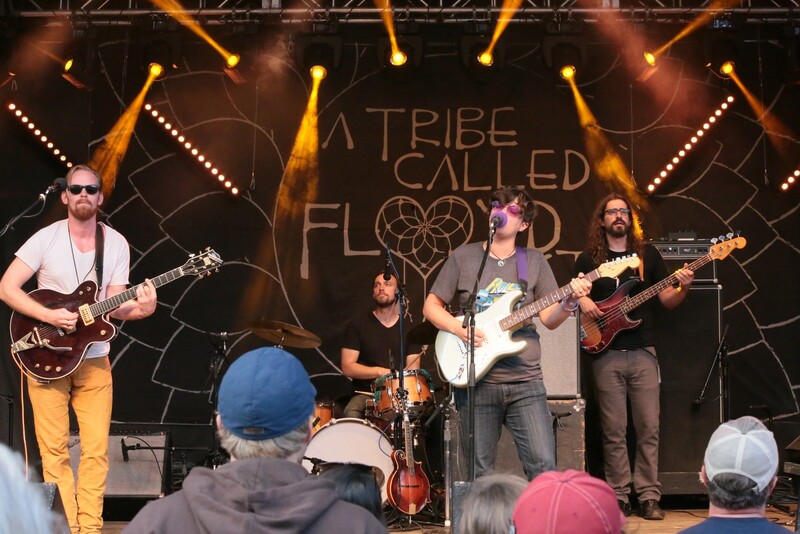 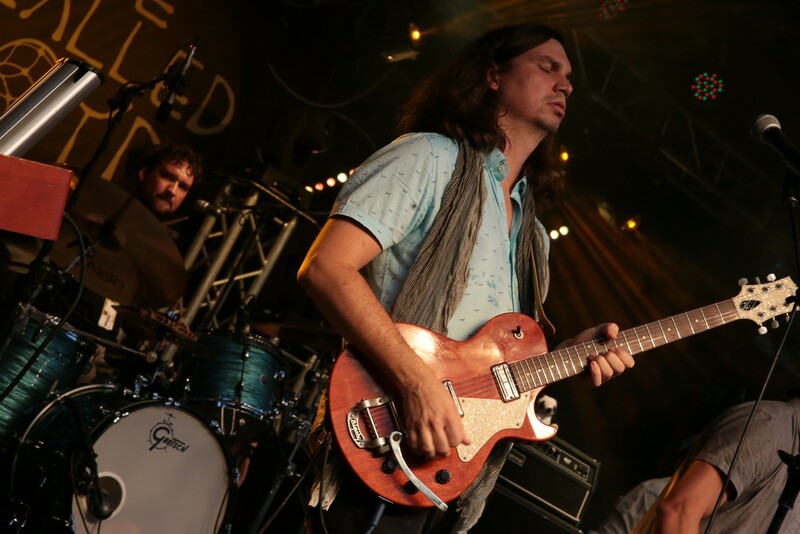 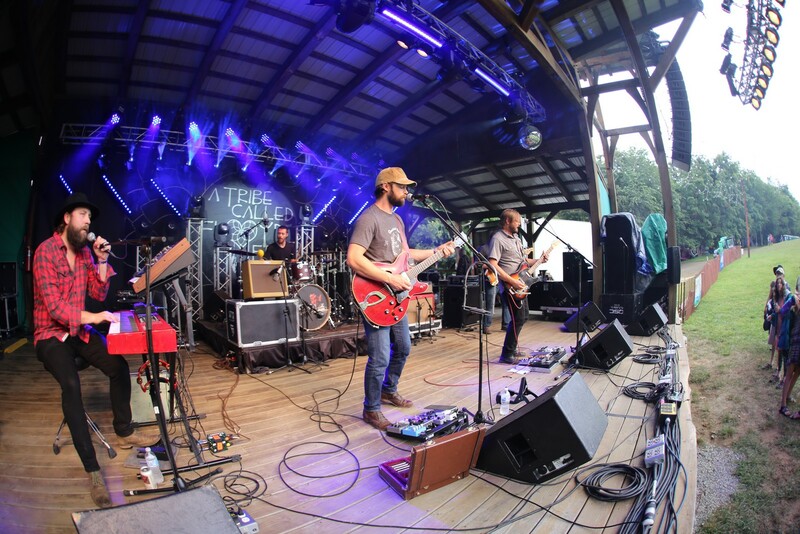 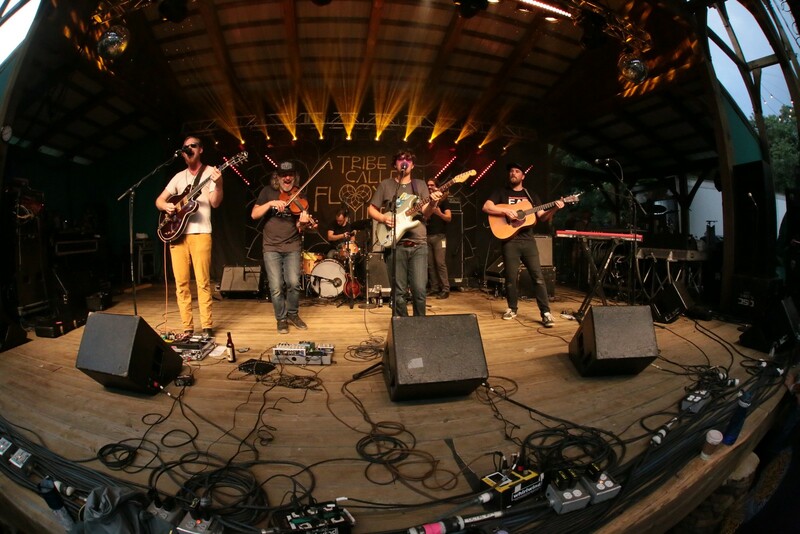 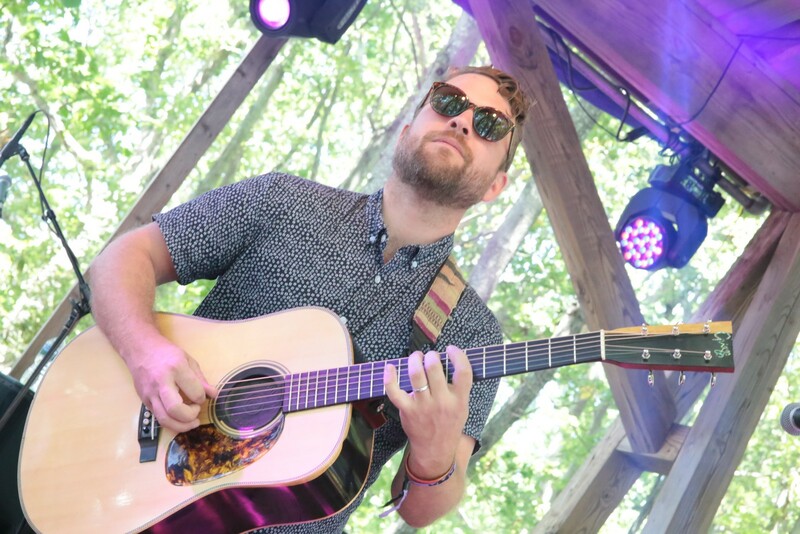 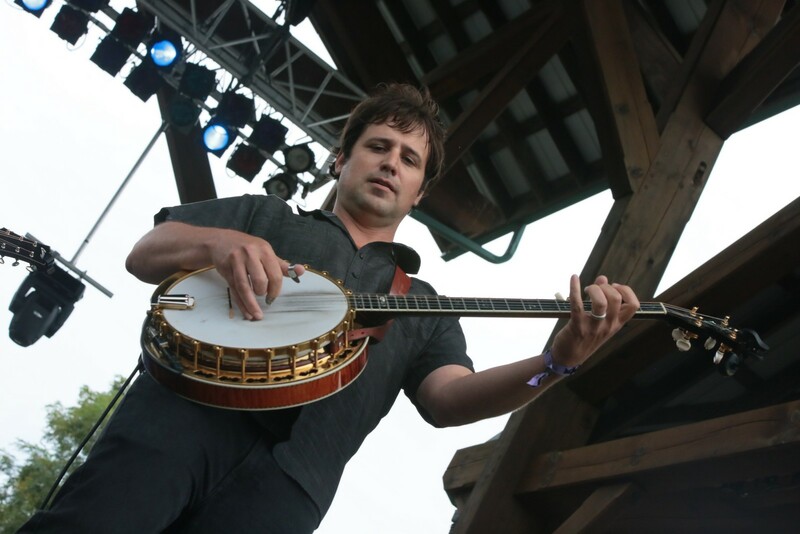 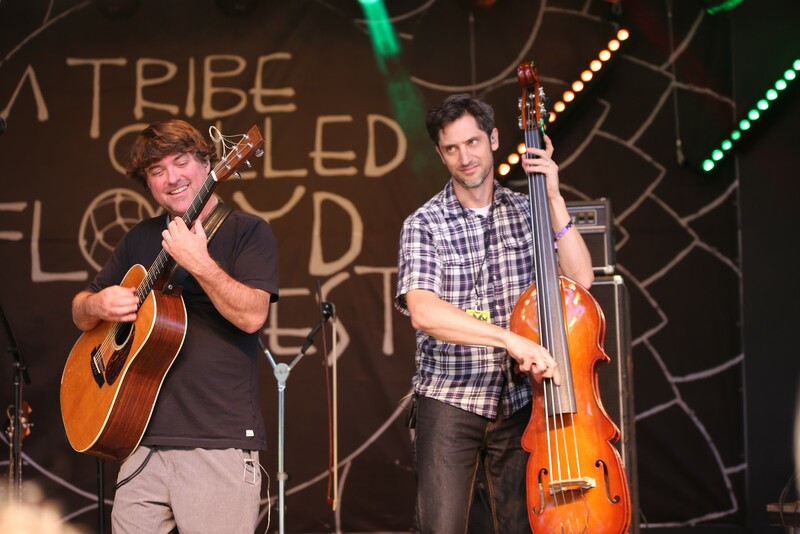 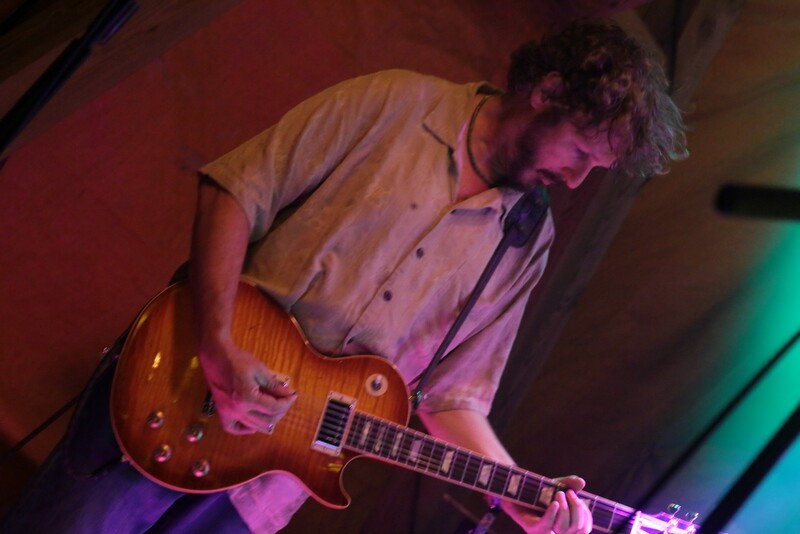 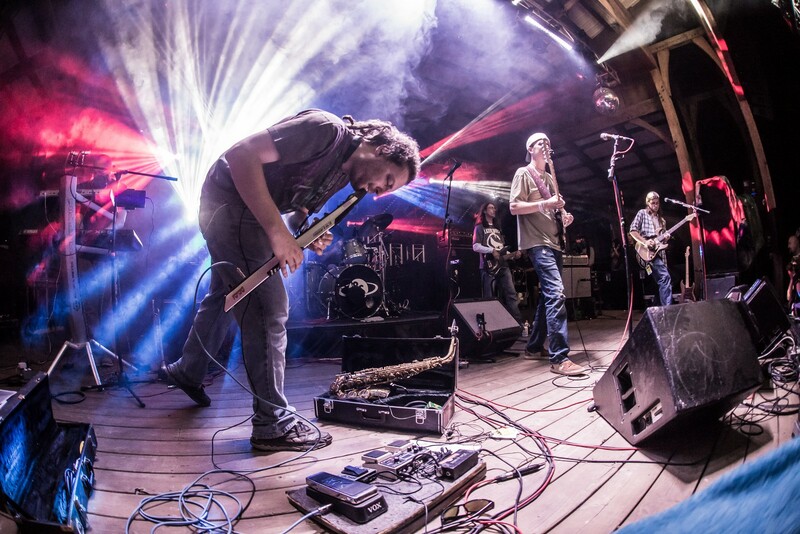 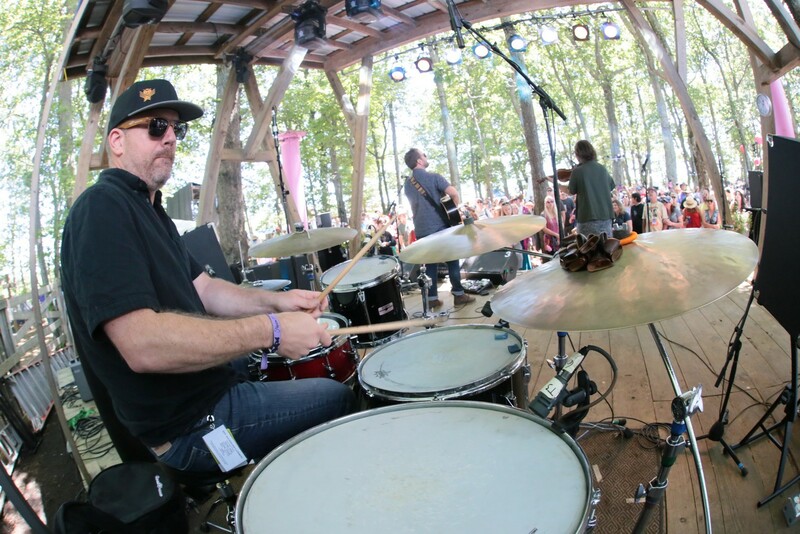 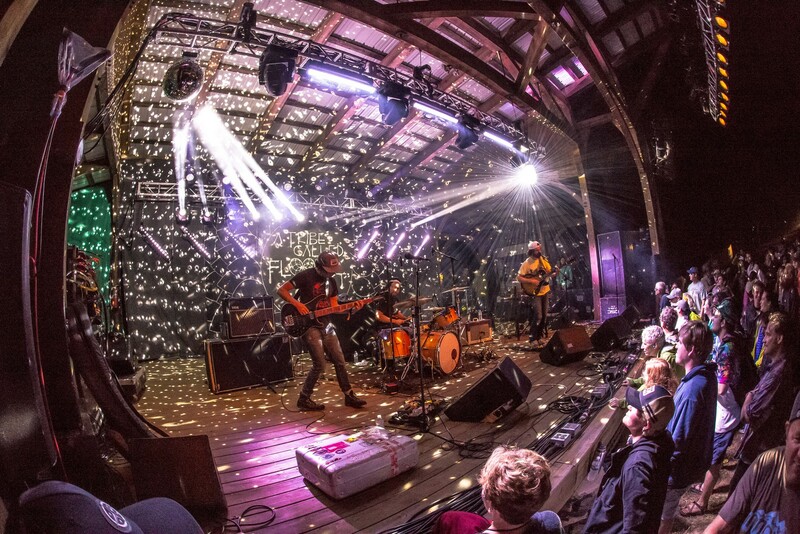 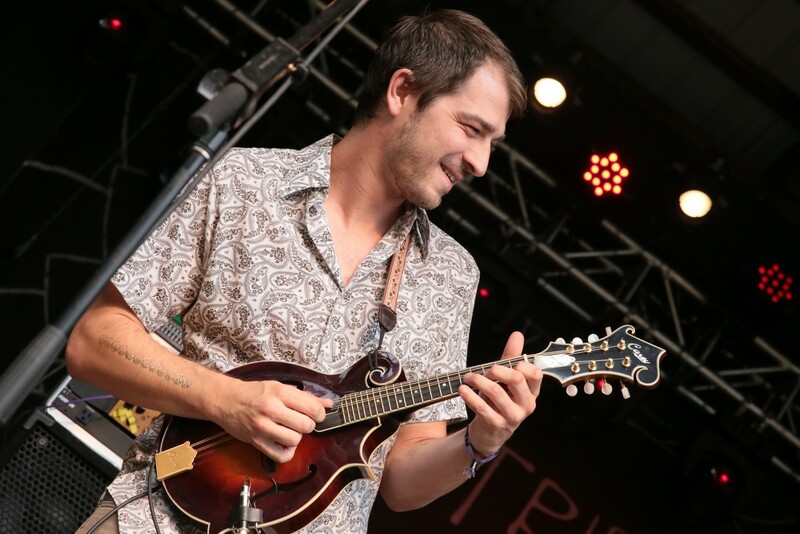 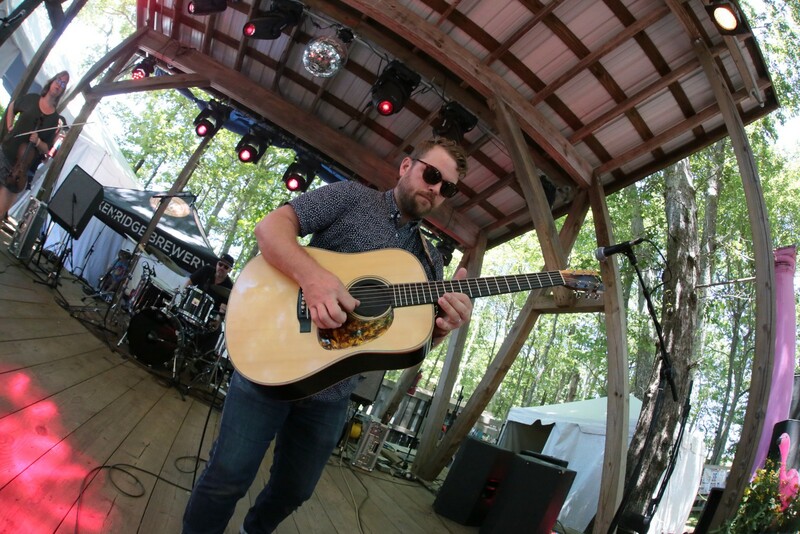 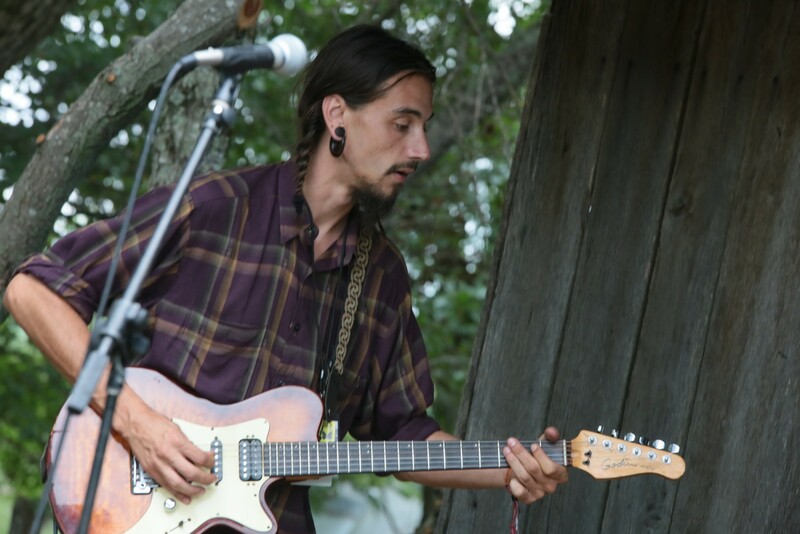 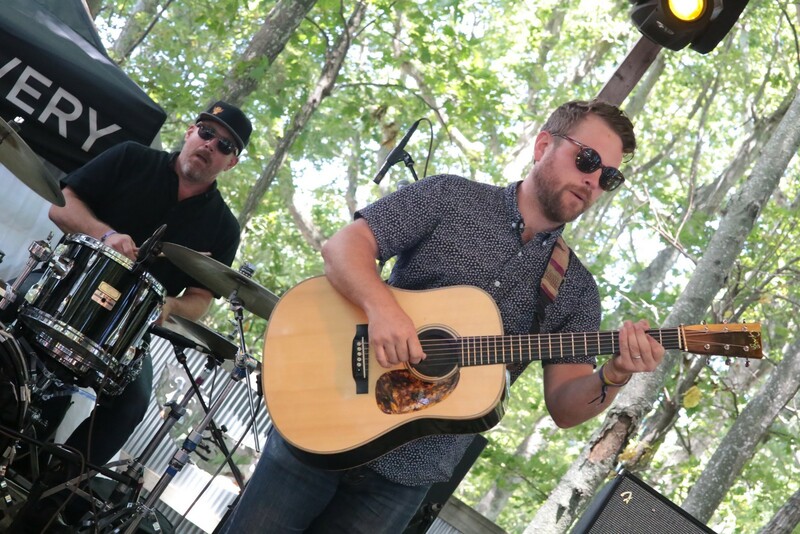 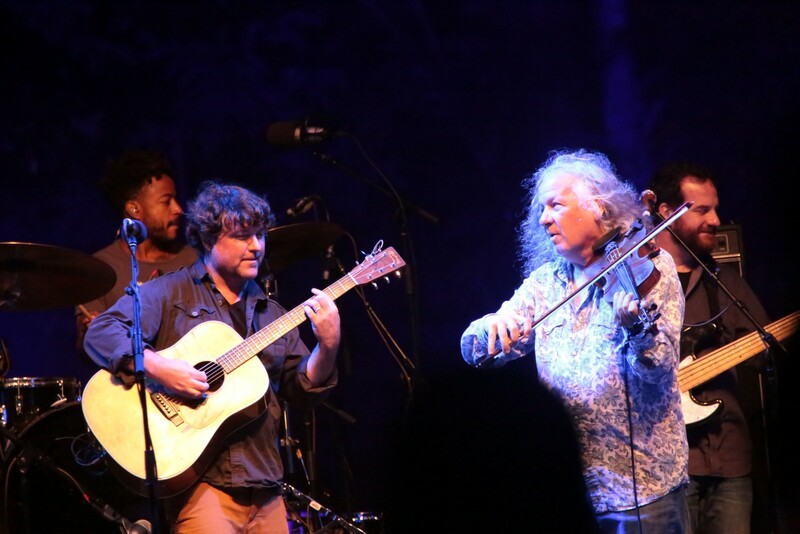 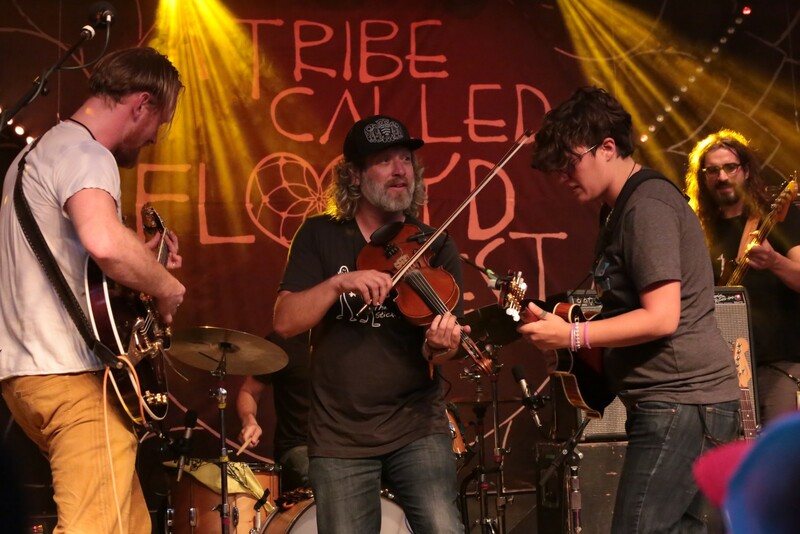 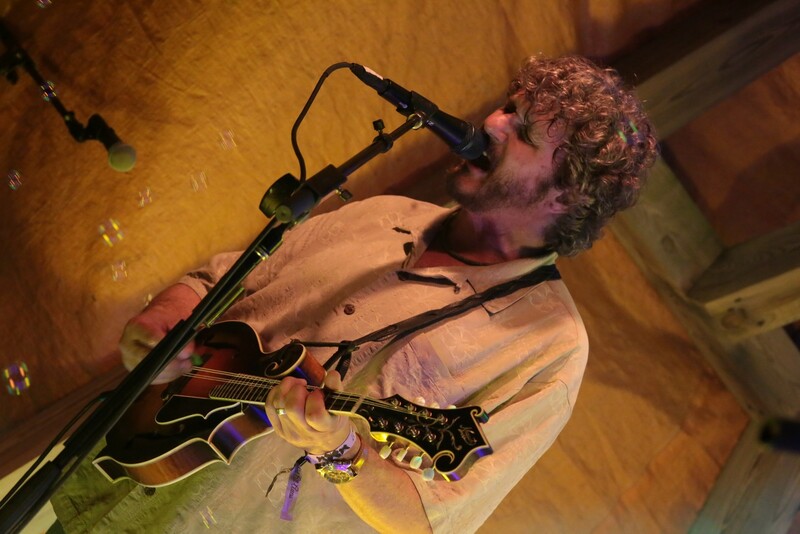 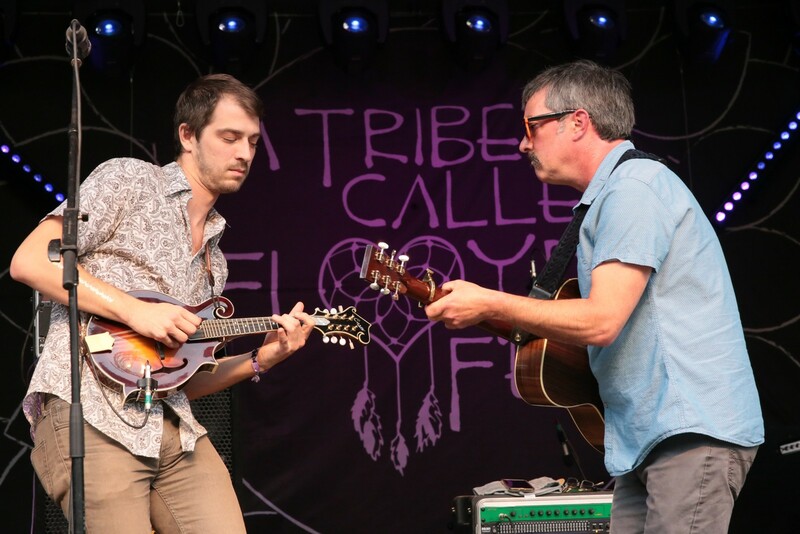 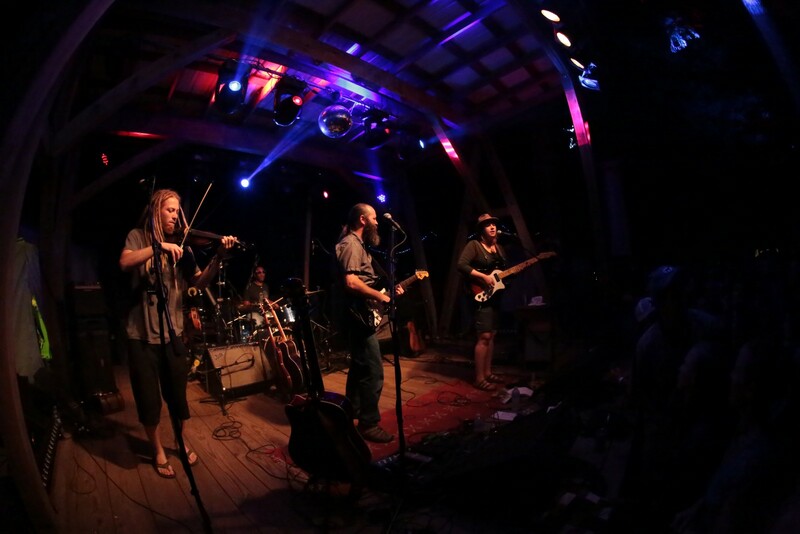 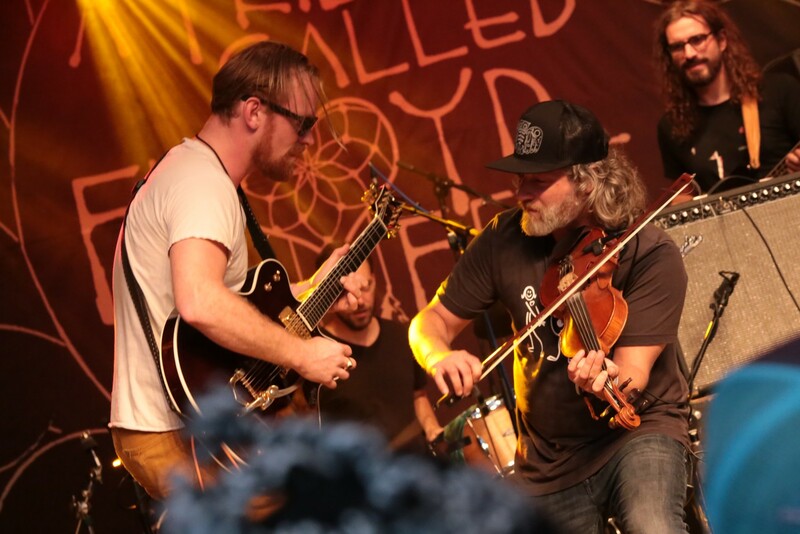 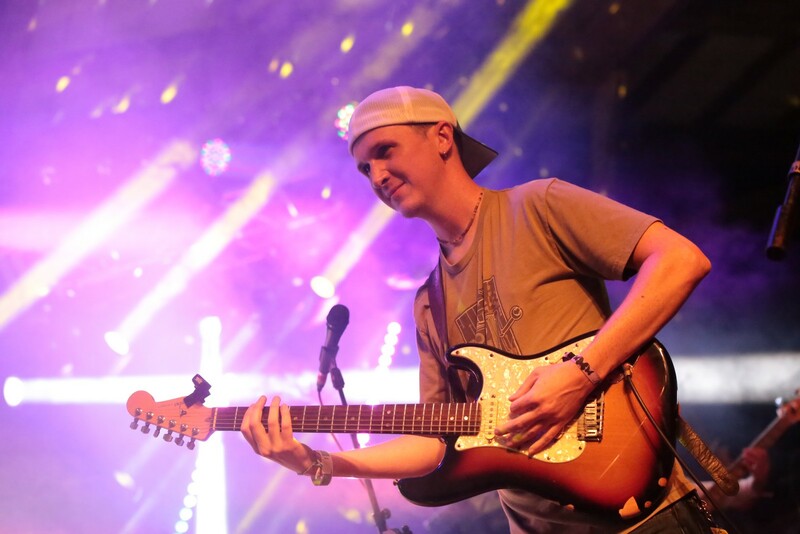 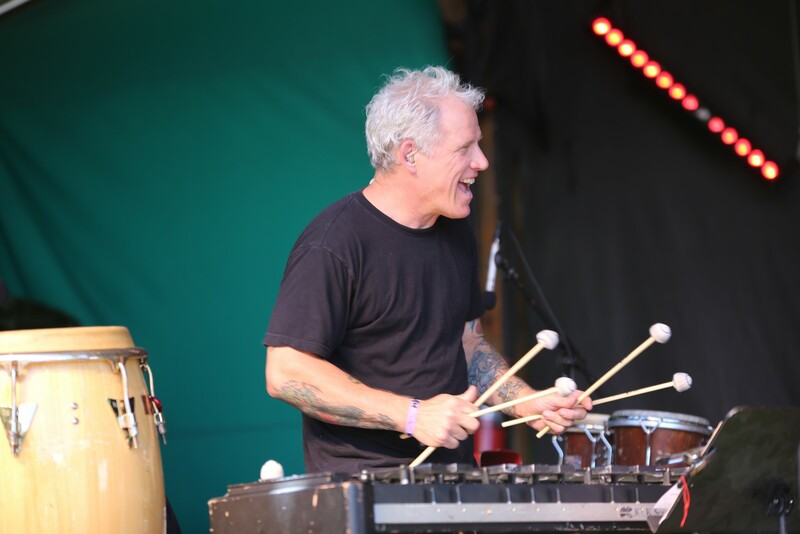 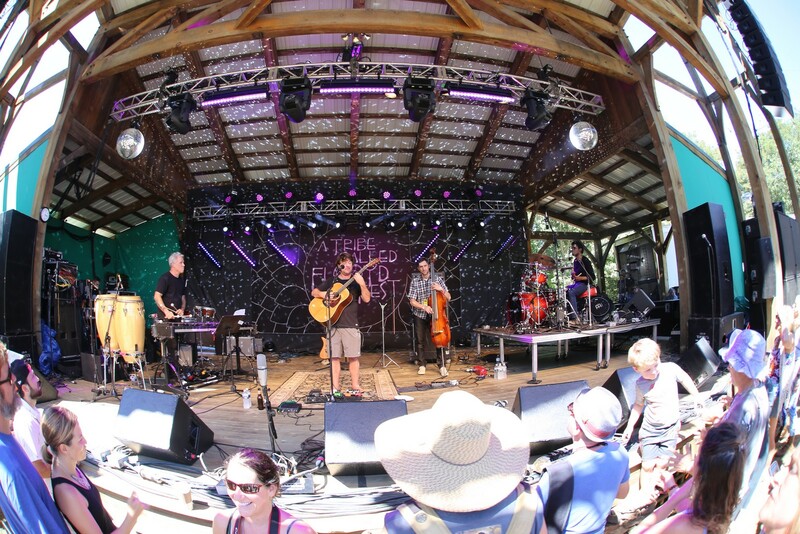 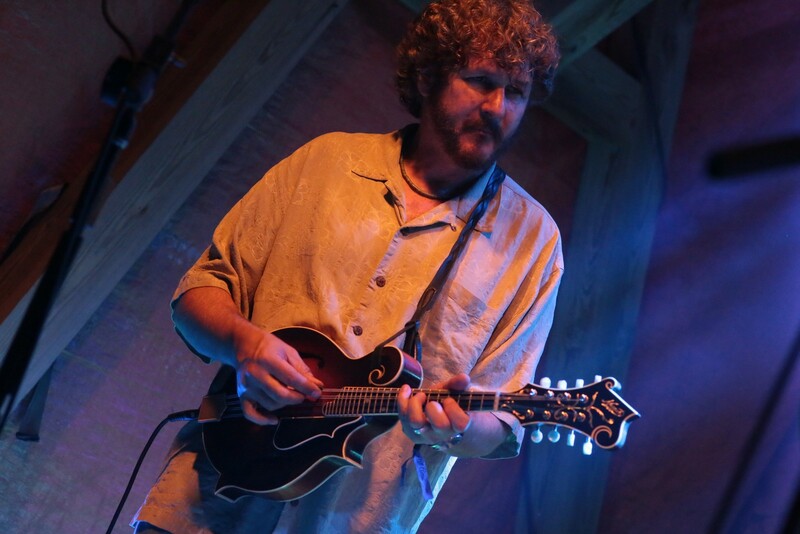 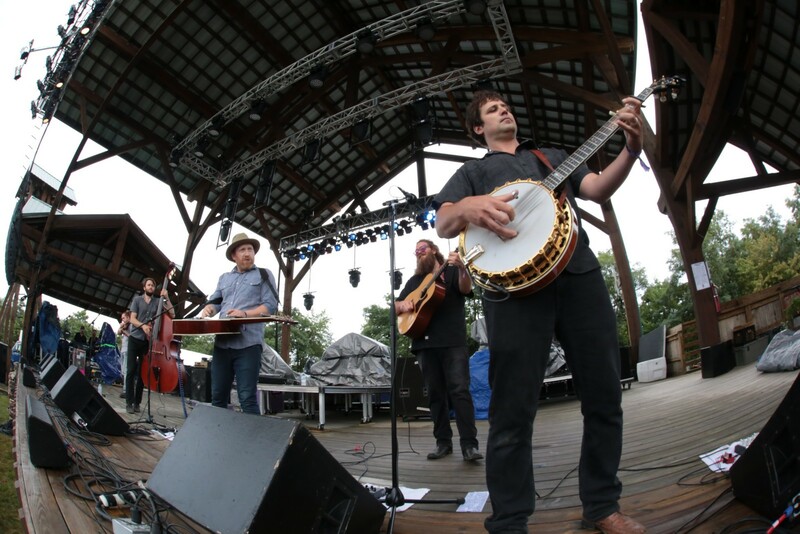 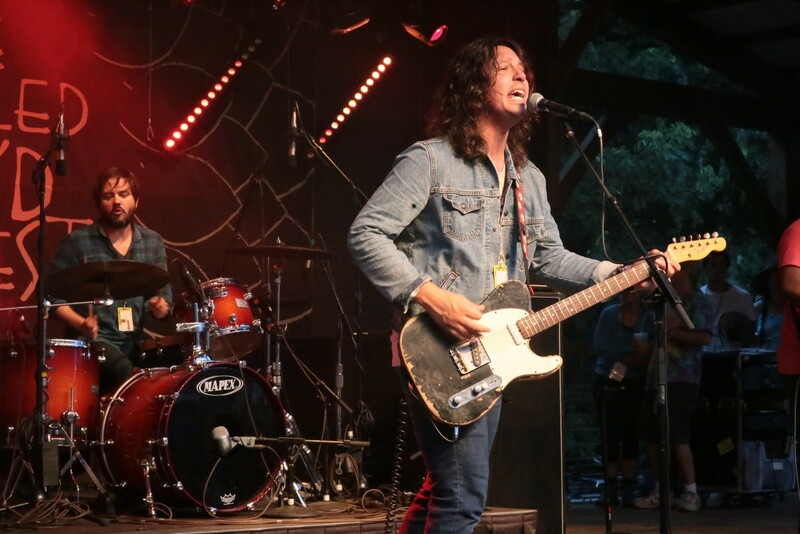 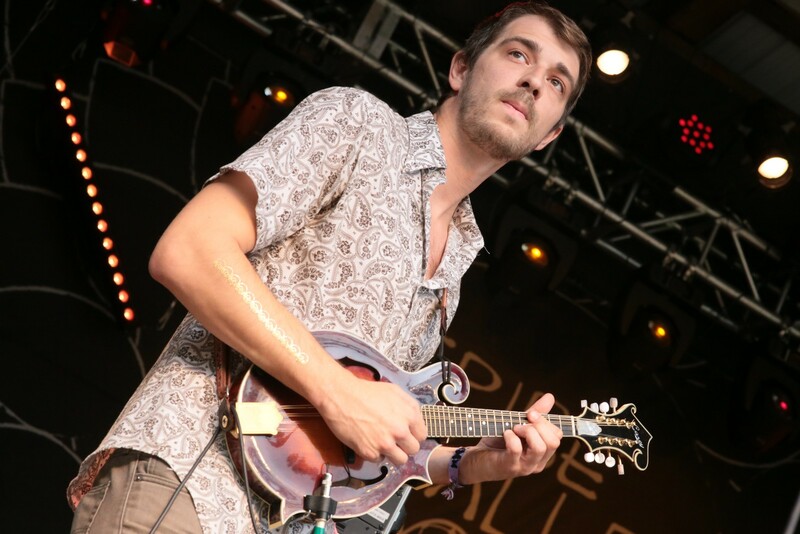 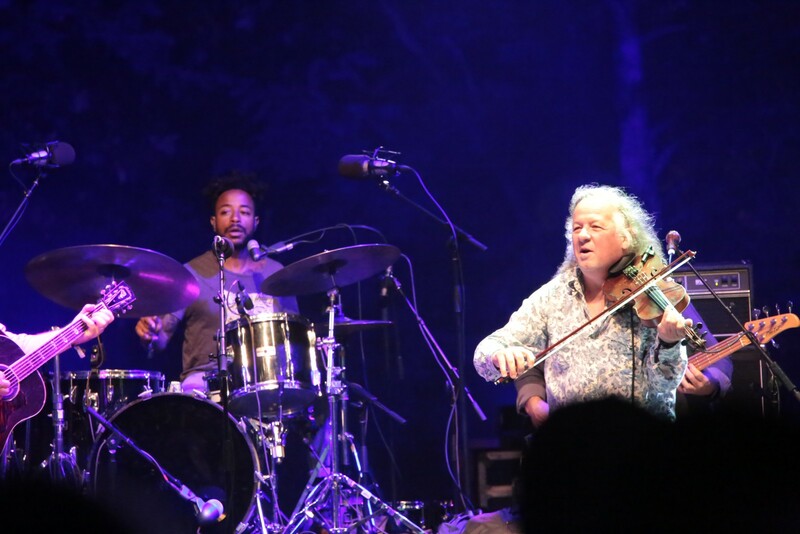 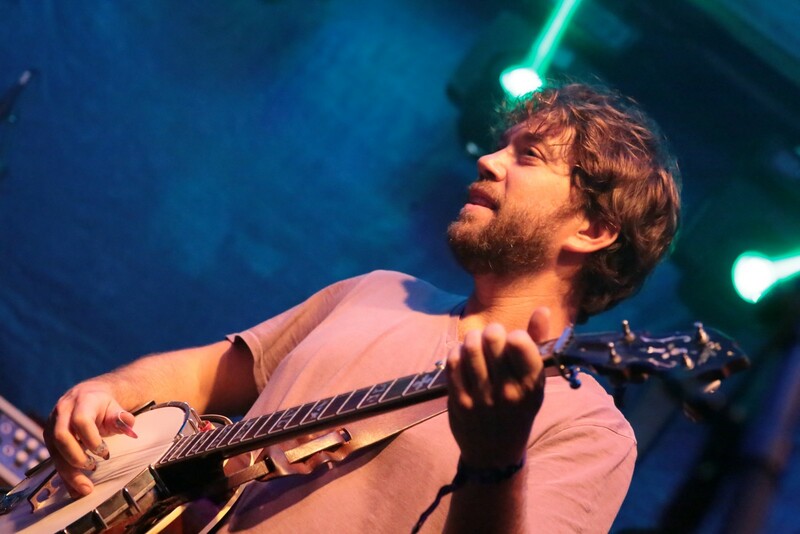 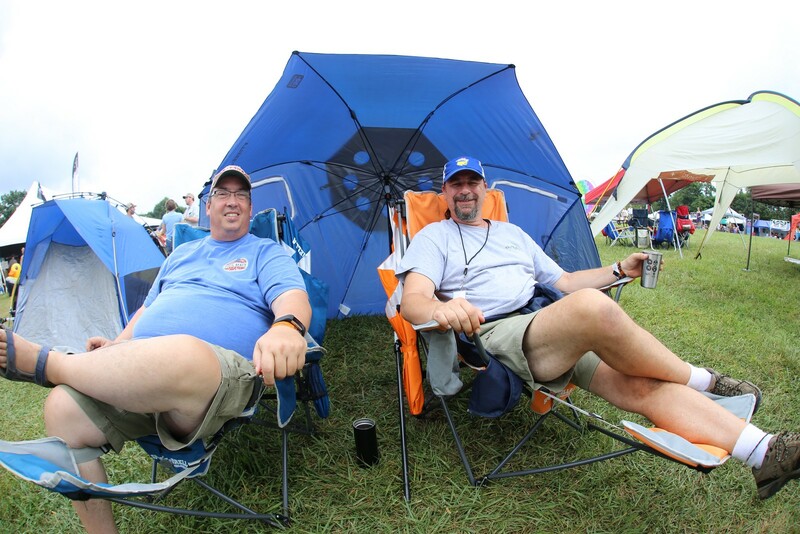 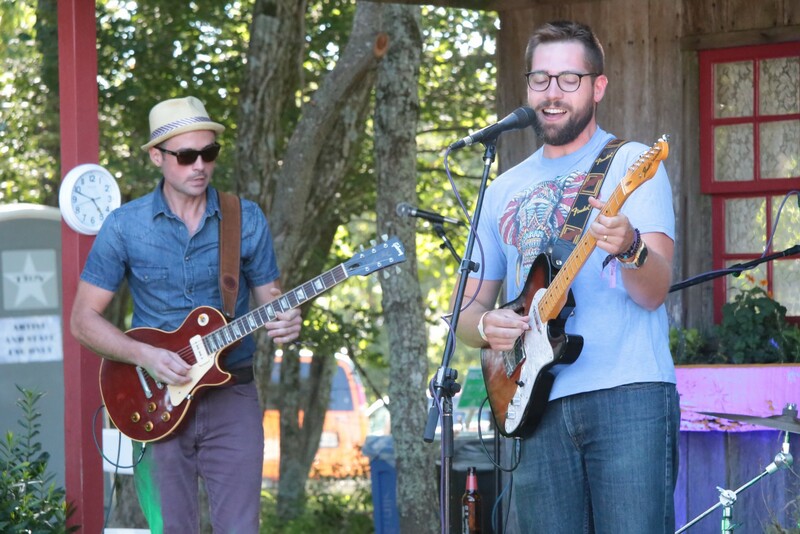 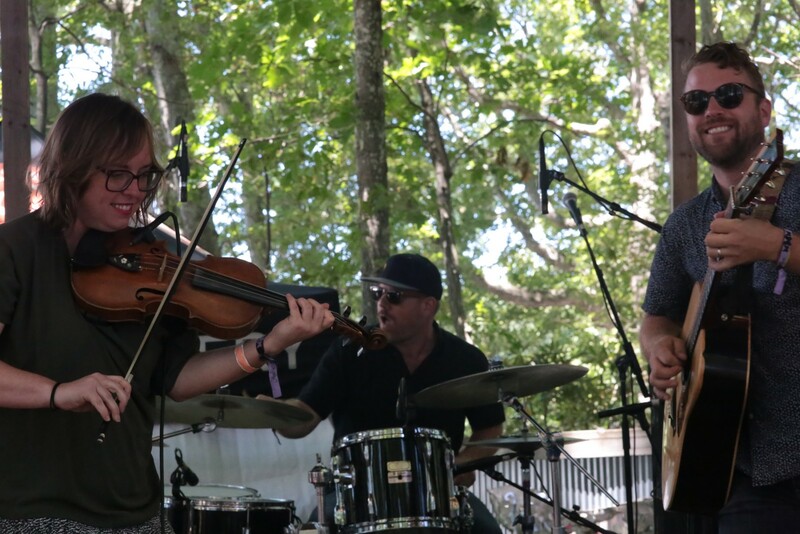 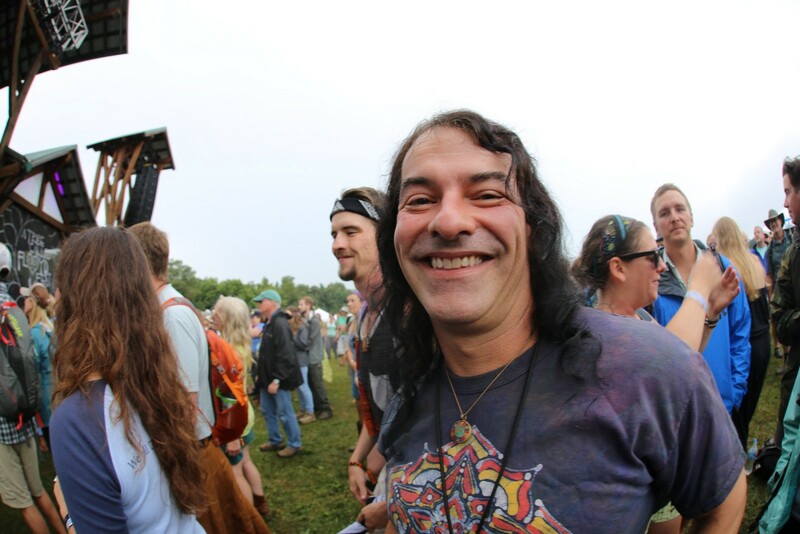 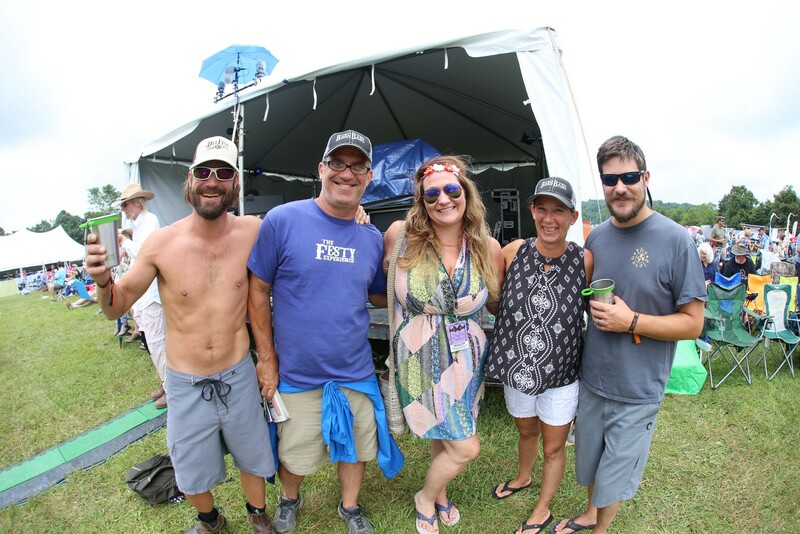 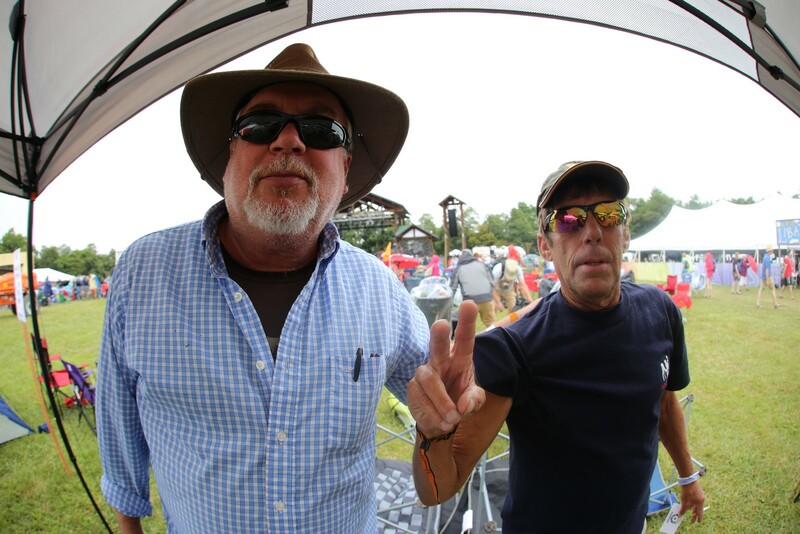 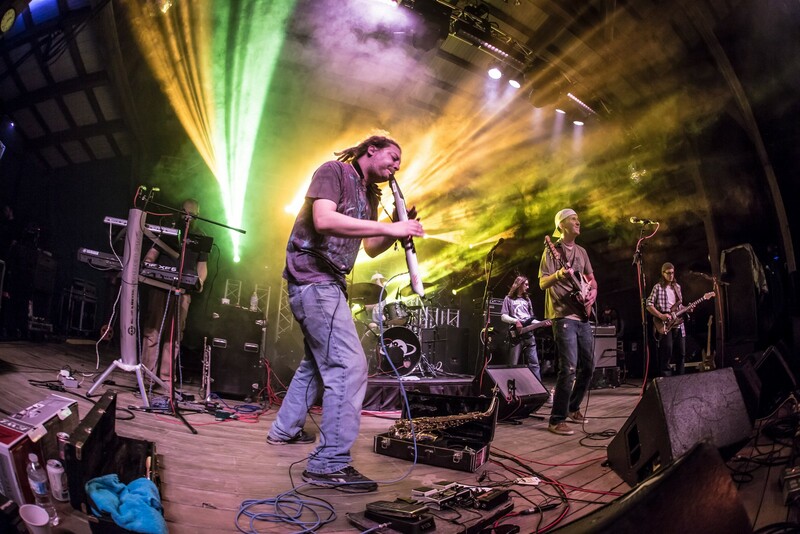 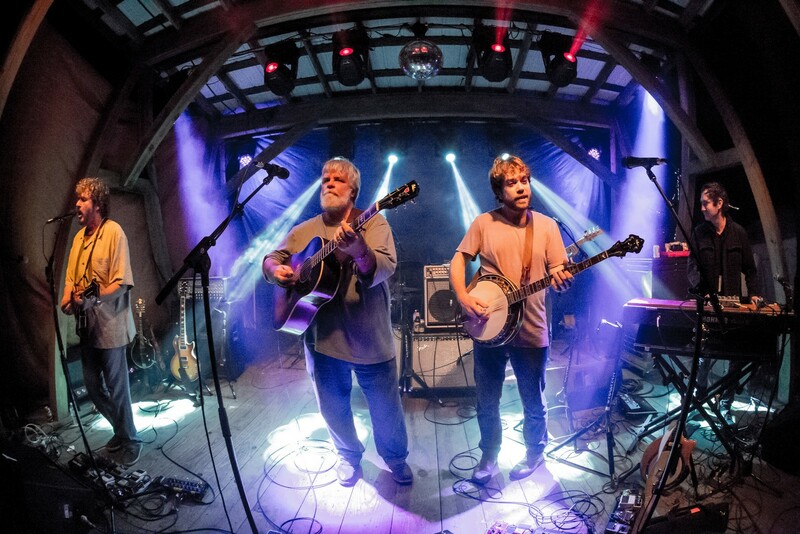 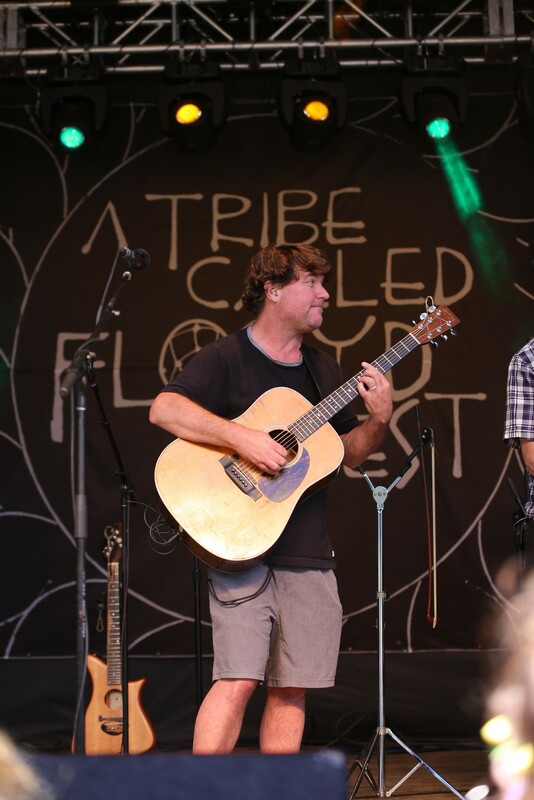 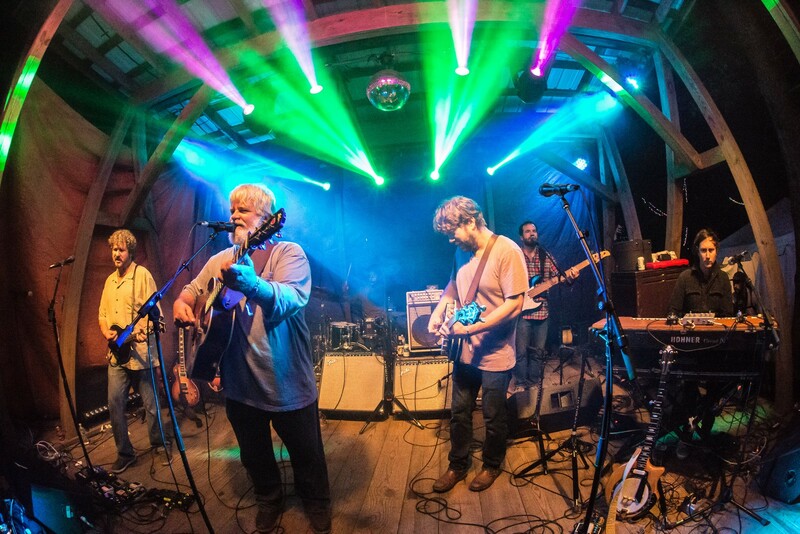 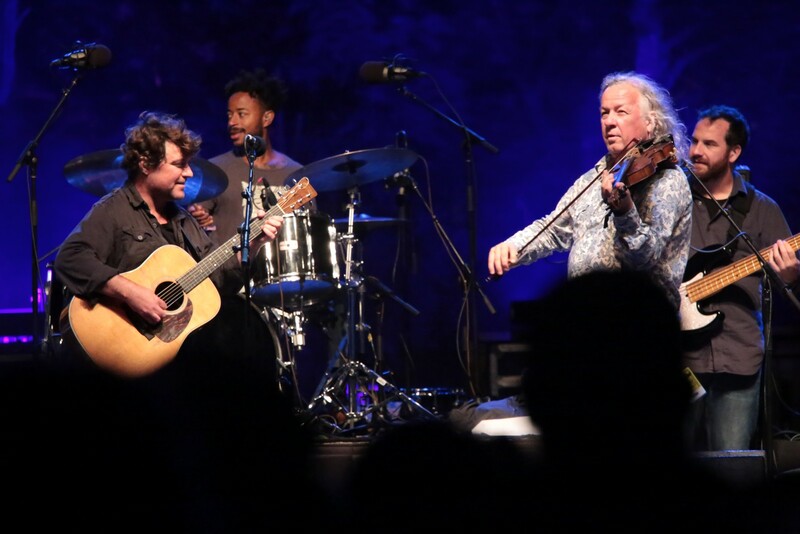 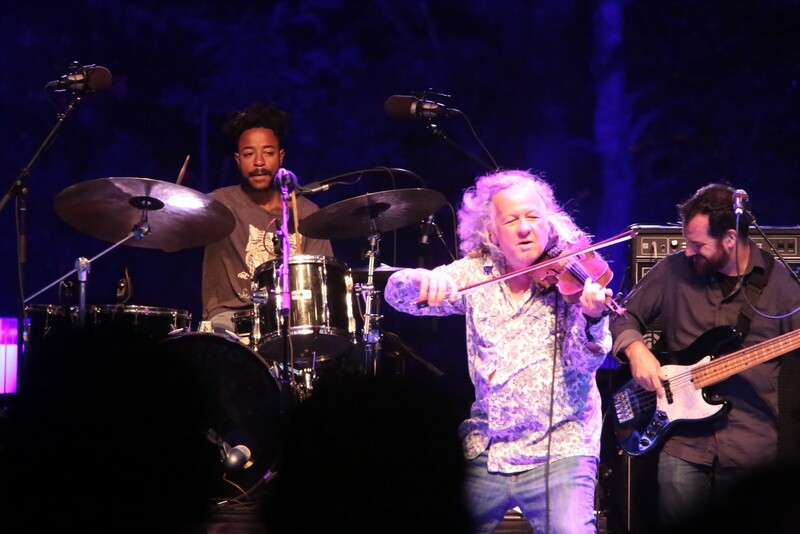 I caught up with Andy Dunnigan, lead singer and Dobro player, about the band's first FloydFest experience. 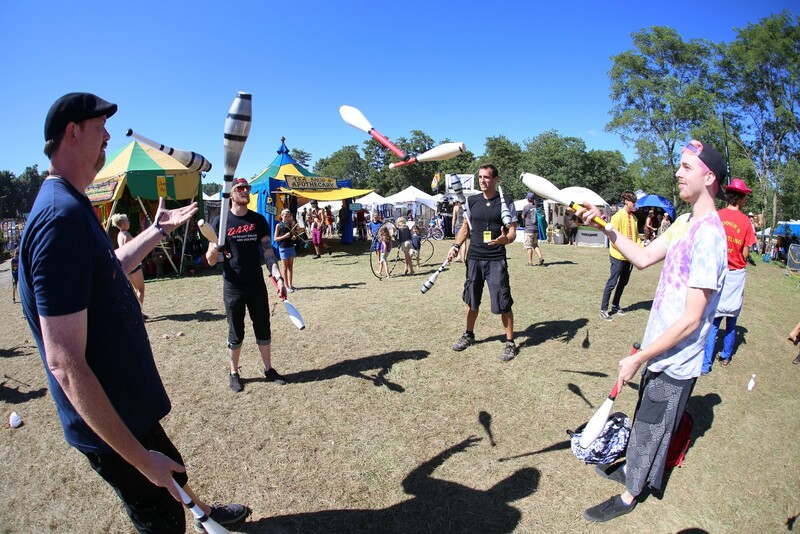 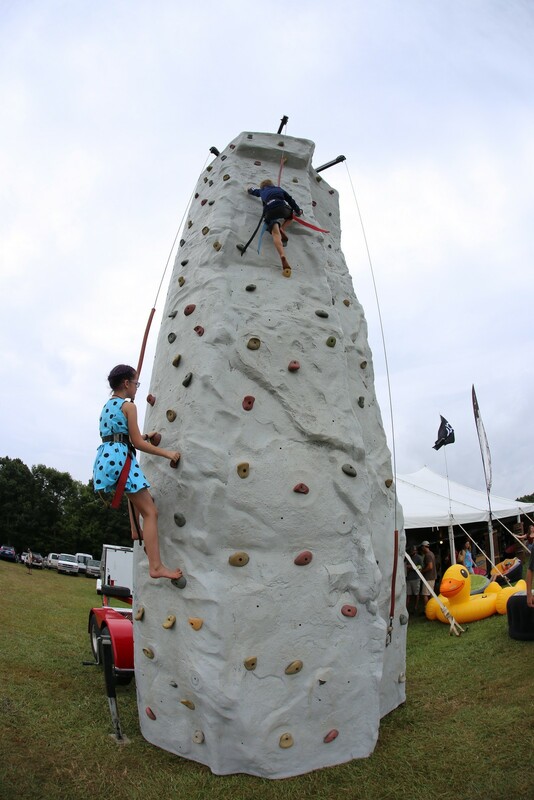 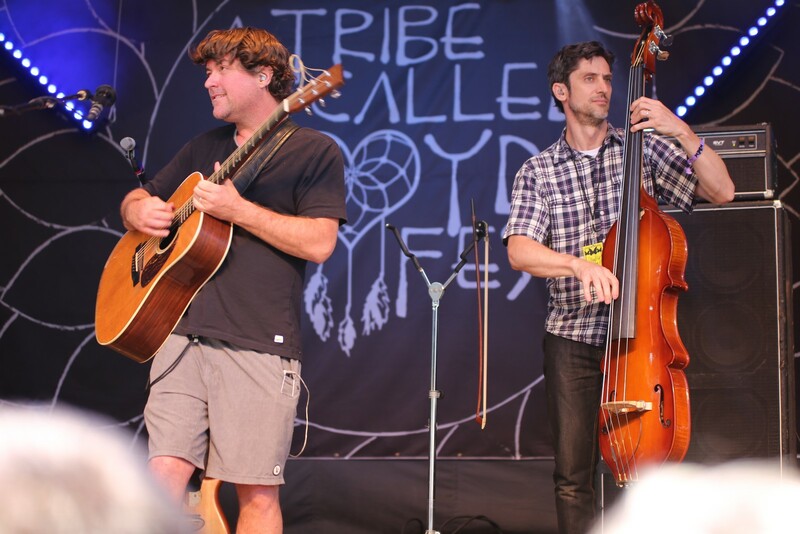 "This is one of the last festivals of the summer for us. 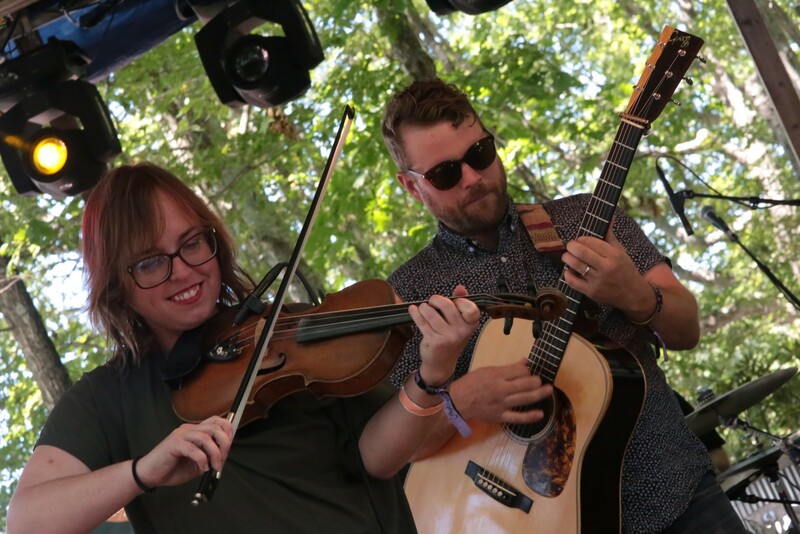 We came in just really exhausted and kind of burnt out because we've been criss-crossing the entire country the last few months. 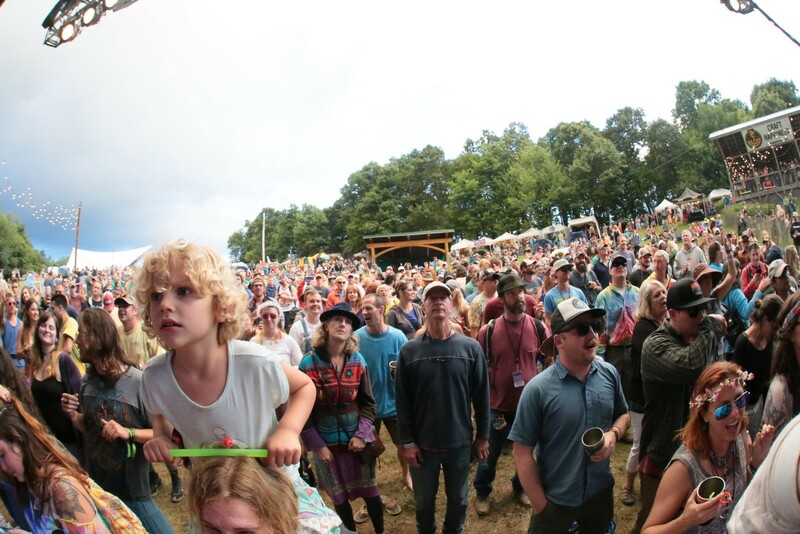 We were up on the main stage yesterday, looking out at this incredibly lush field, and it was sprinkling rain, and it's just beautiful. 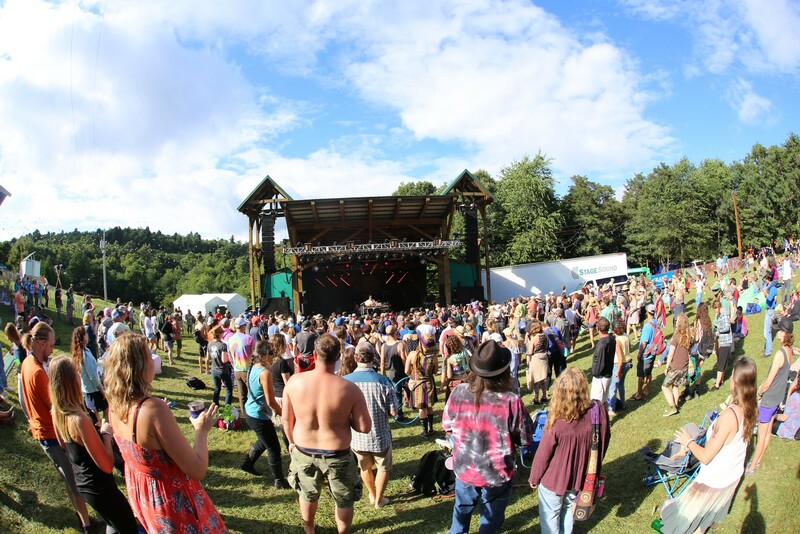 This festival has the power to revitalize you, to rejuvenate you, and we had one of our best days all summer playing on that stage. 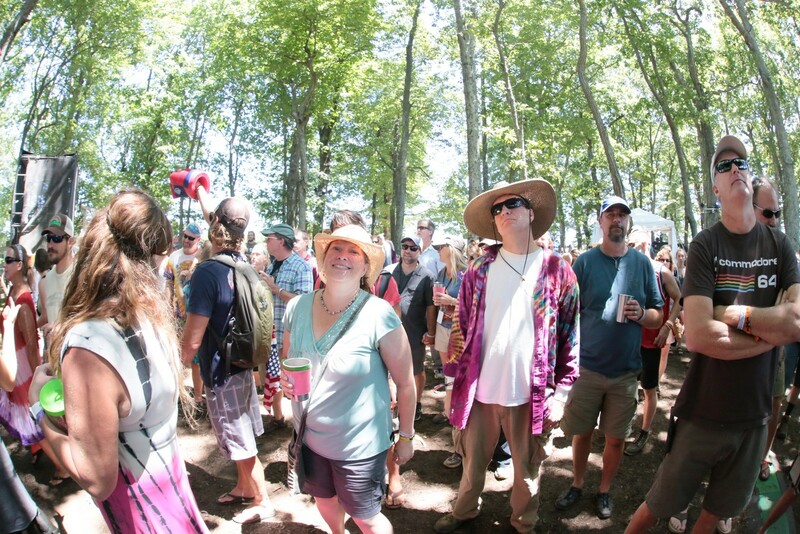 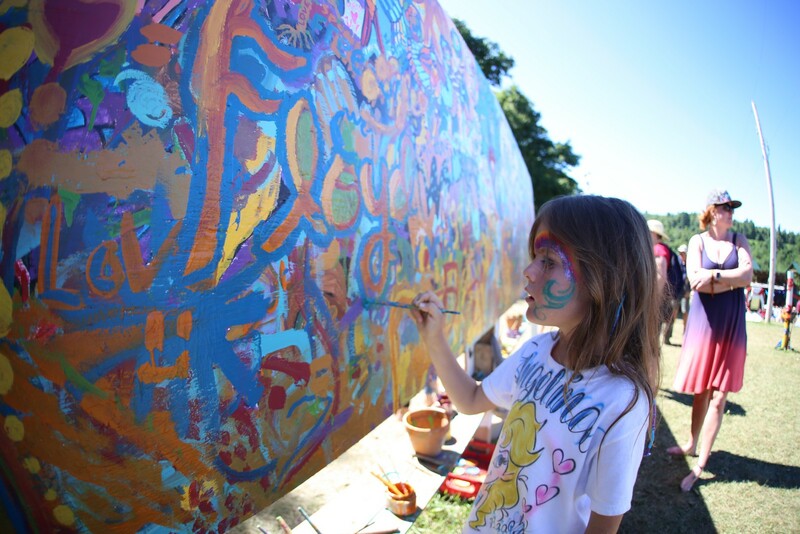 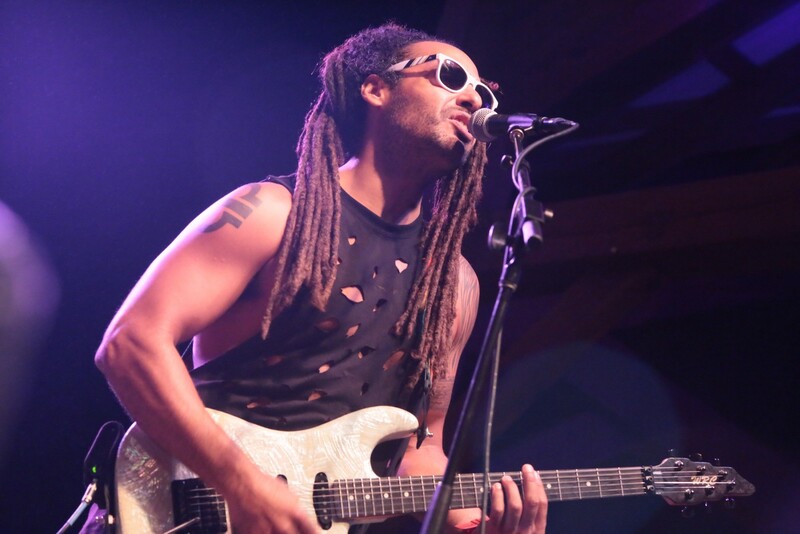 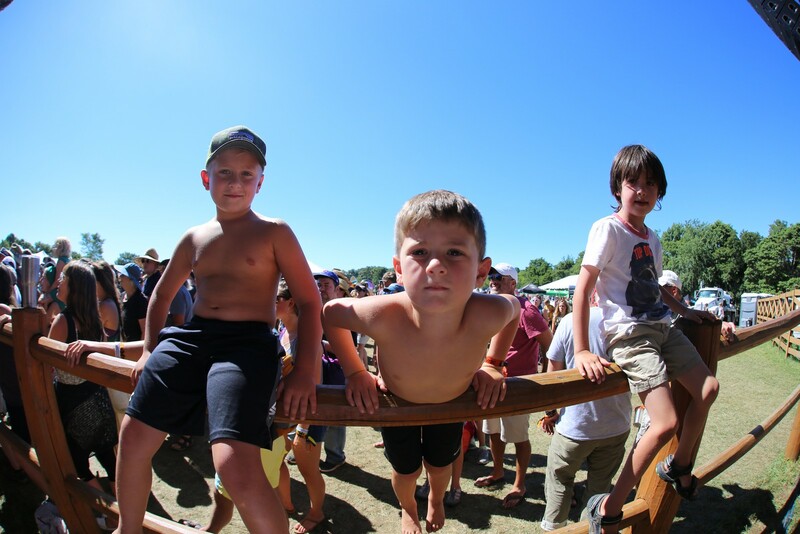 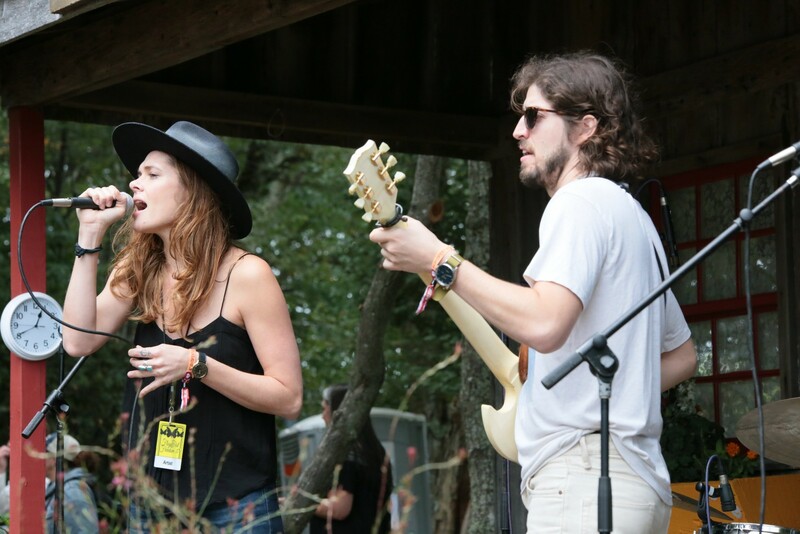 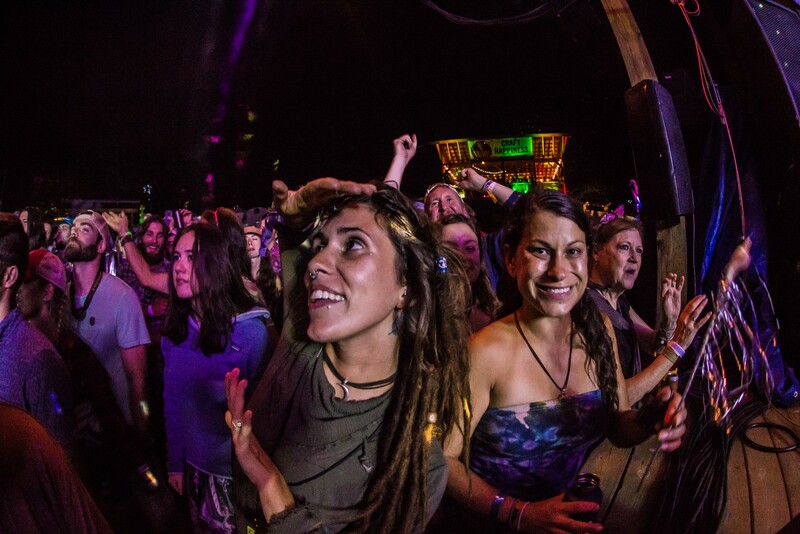 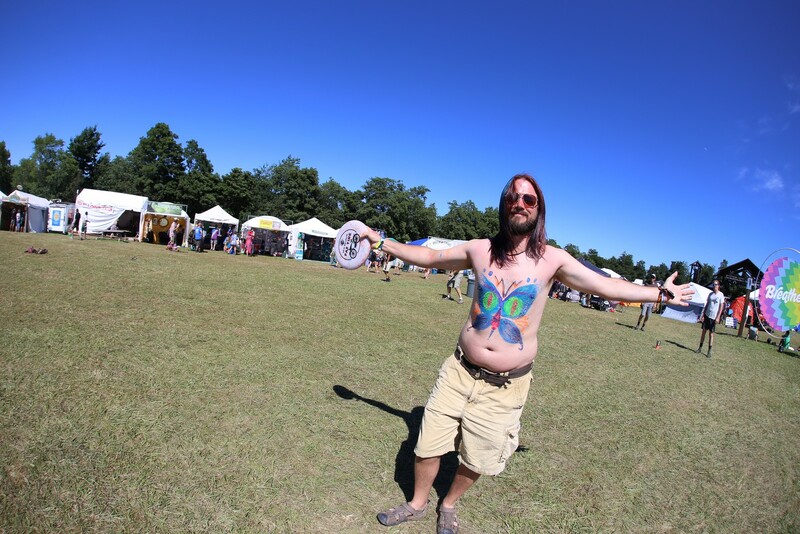 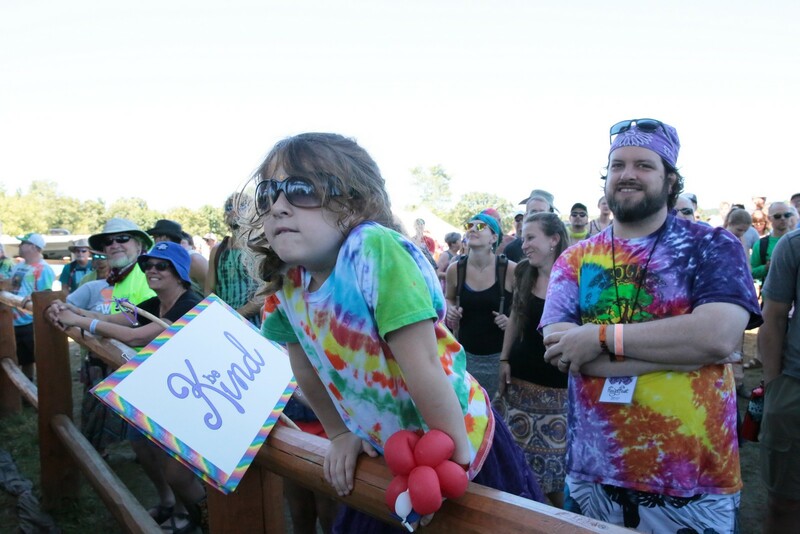 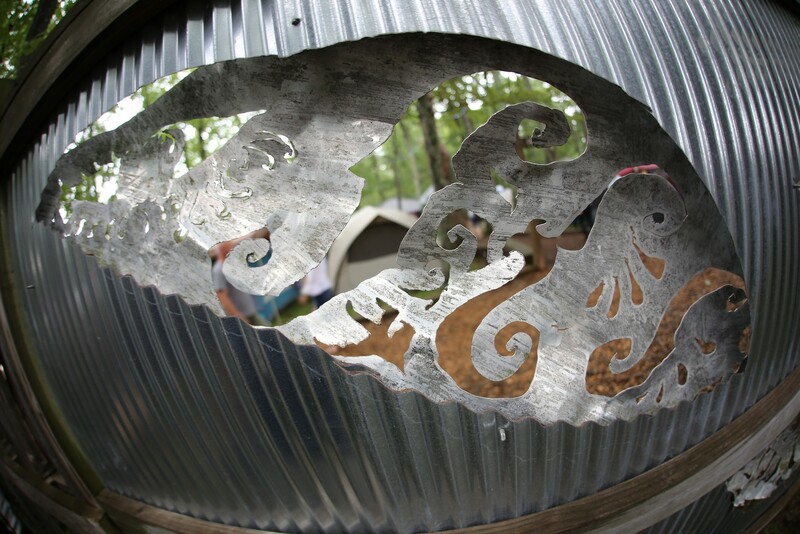 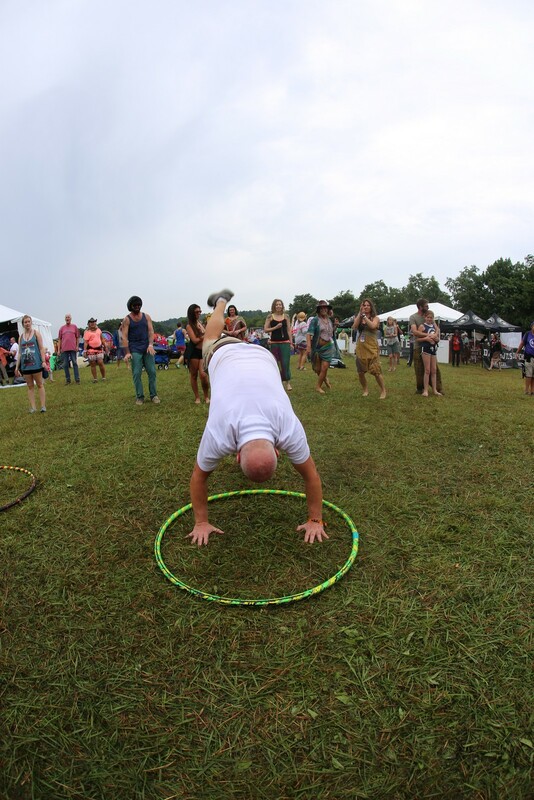 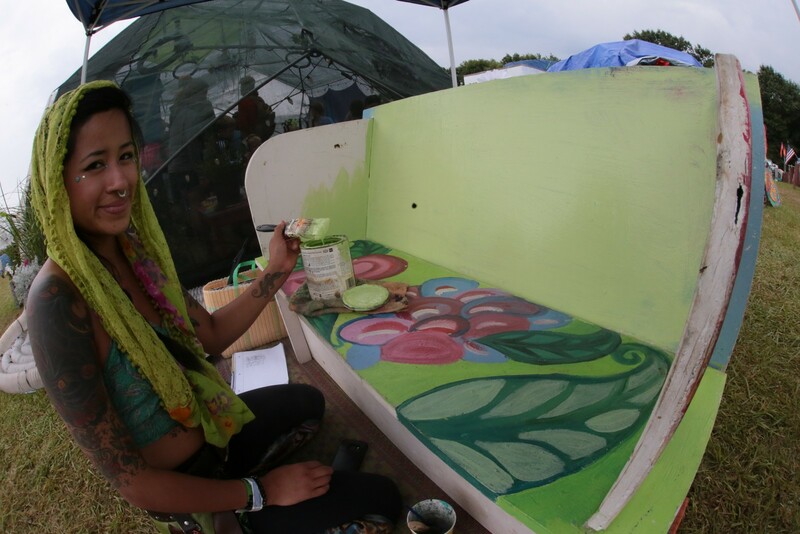 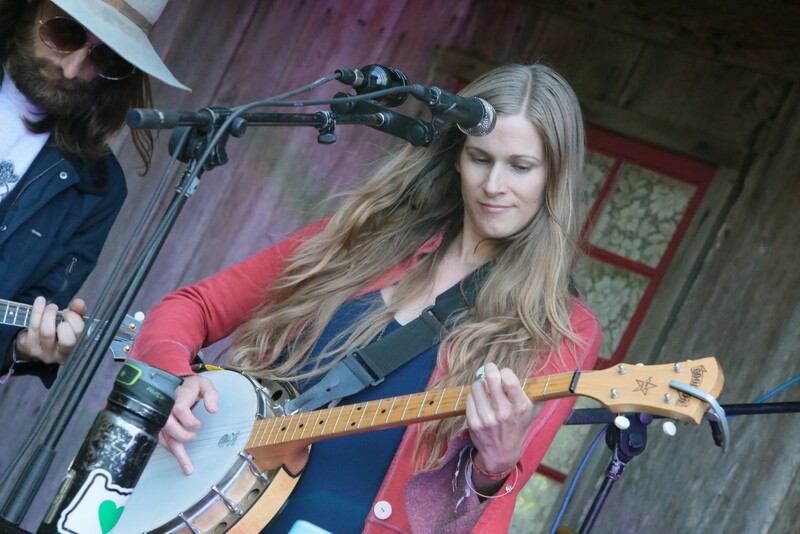 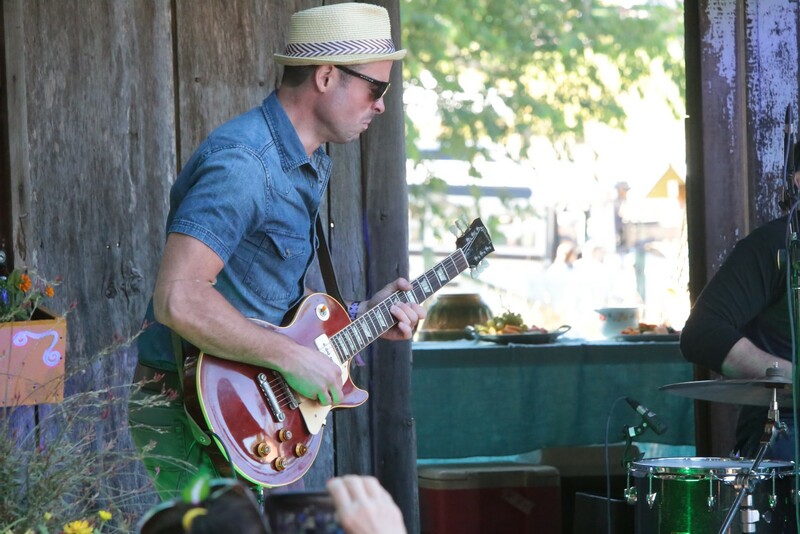 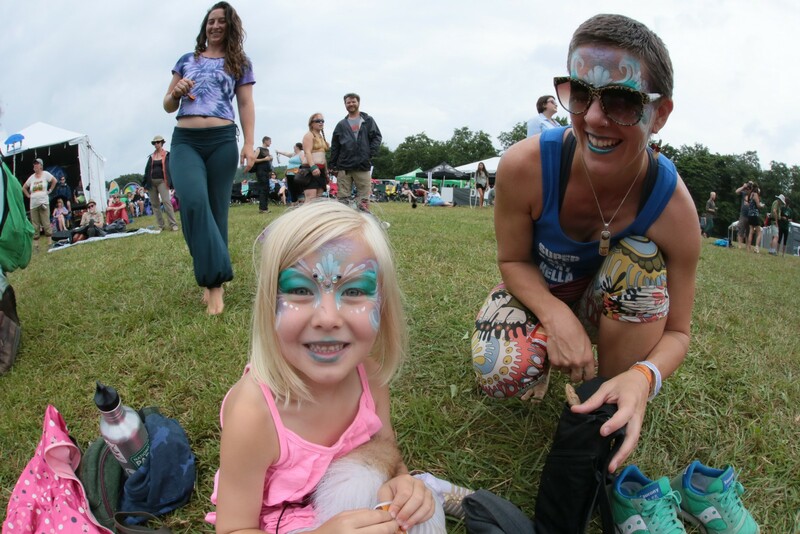 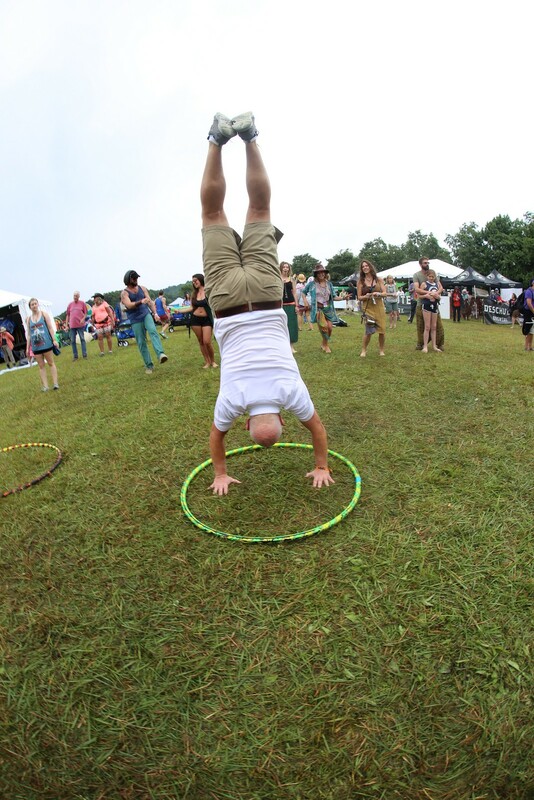 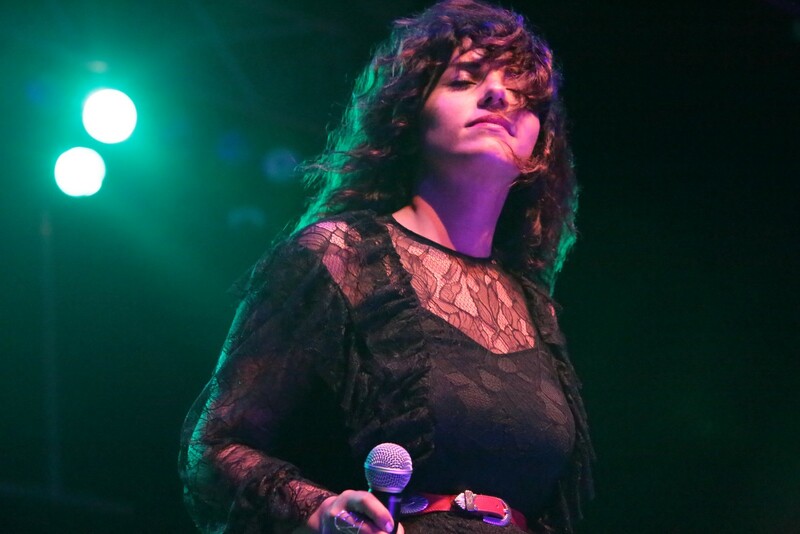 FloydFest has a certain look, a certain feel, and a certain type of people working it. 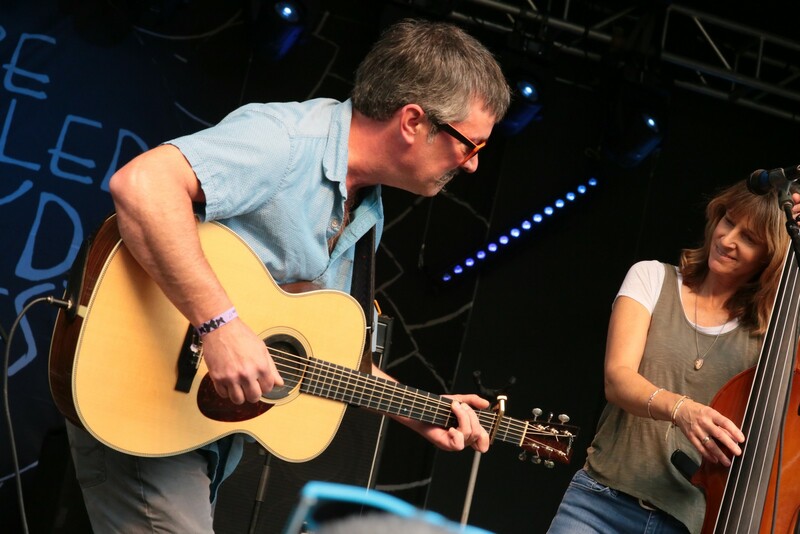 So it's got a holy trinity as far as festivals go." 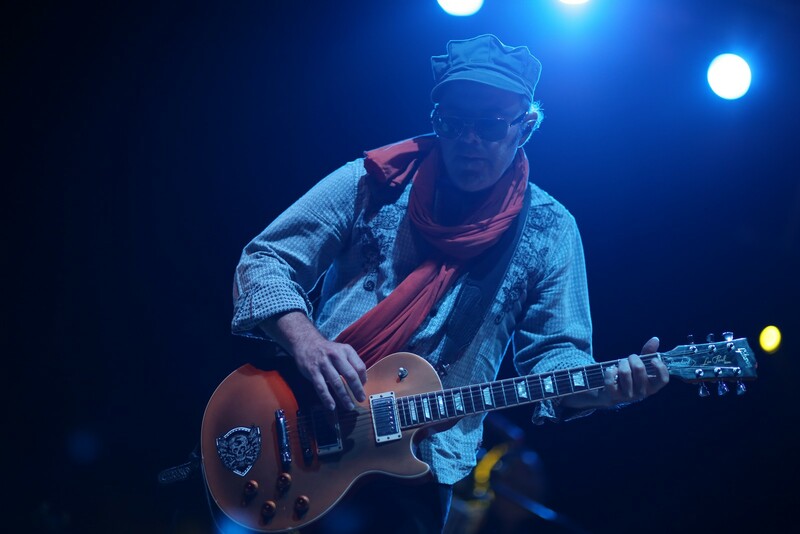 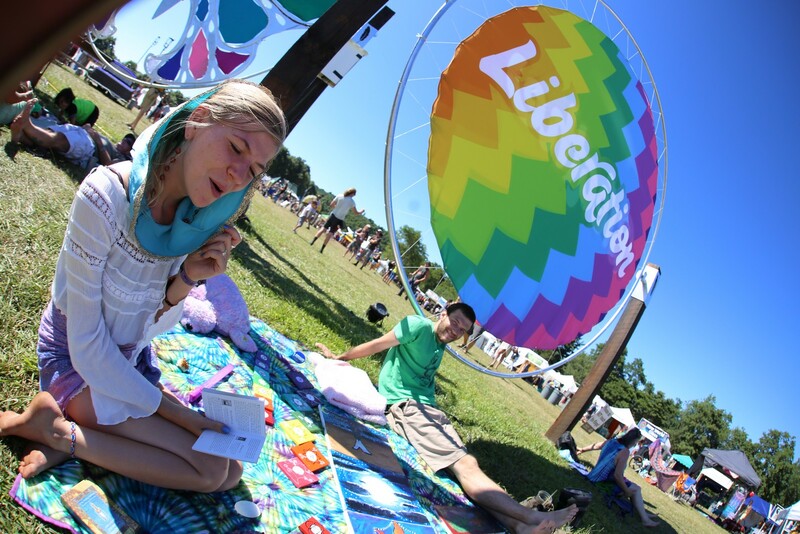 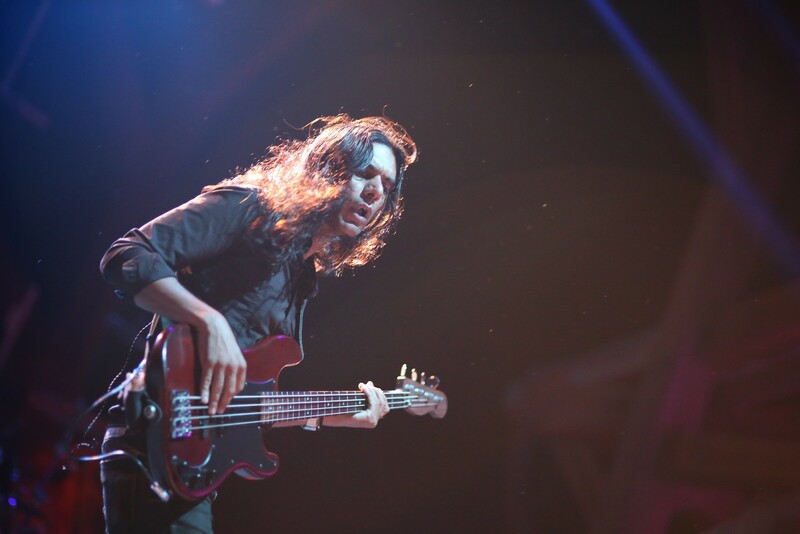 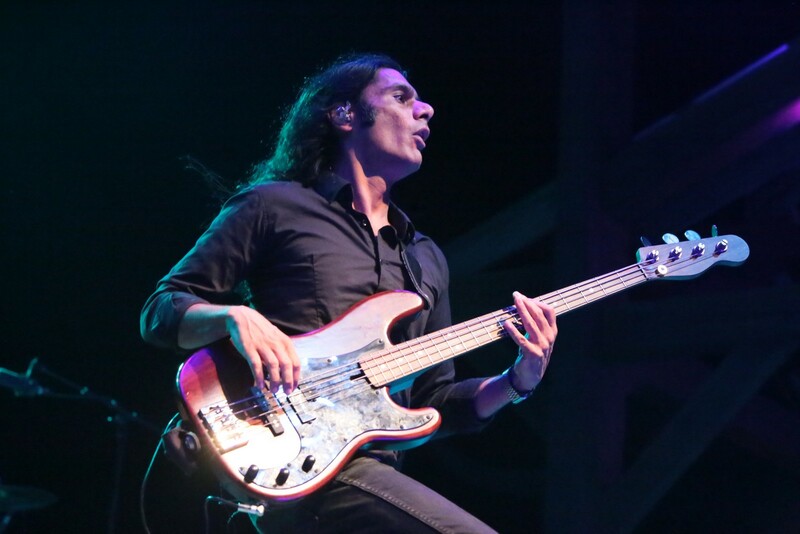 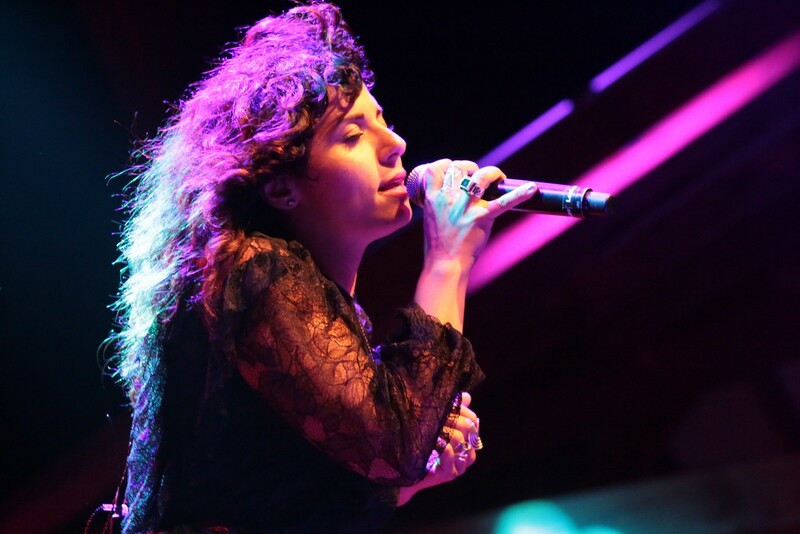 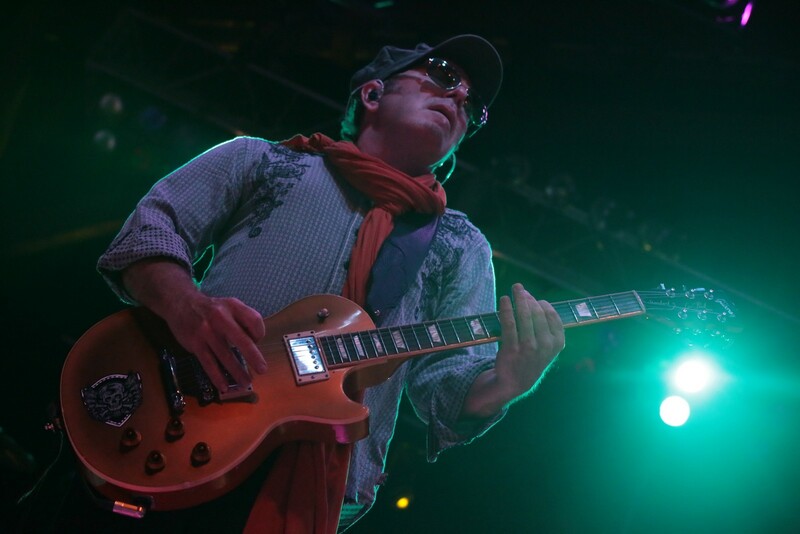 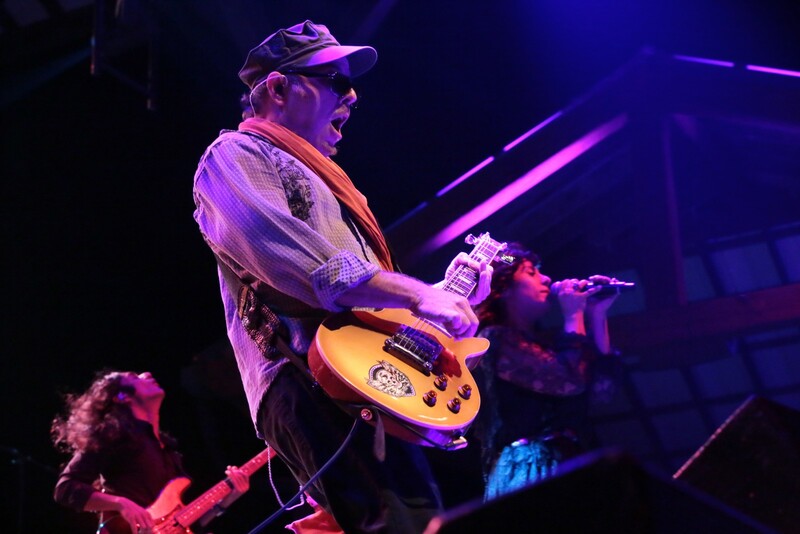 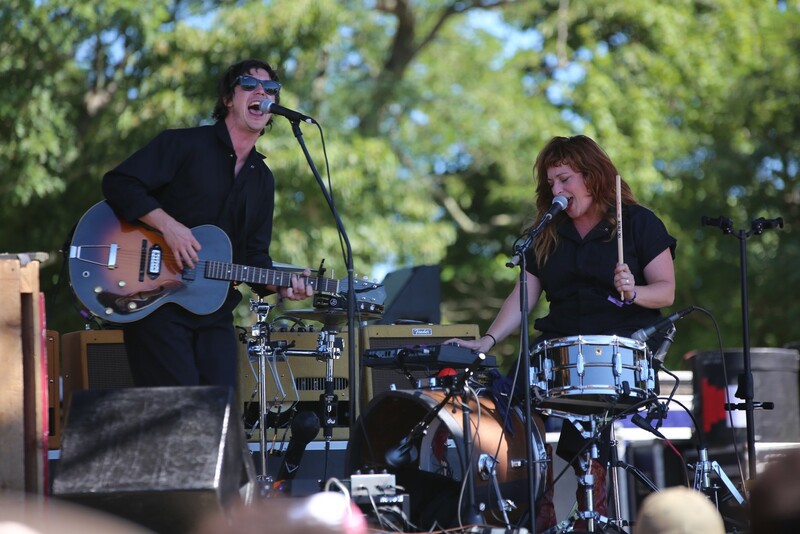 One of the most anticipated shows of the festivals was Thursday night's Thievery Corporation. 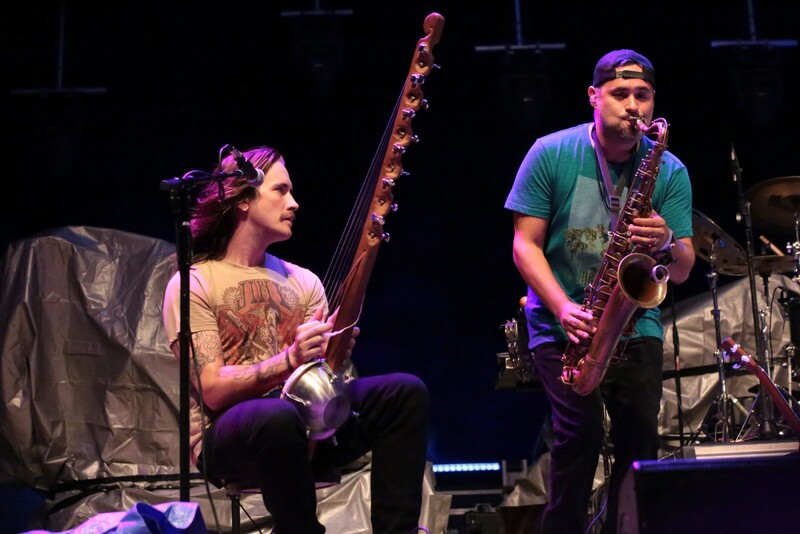 An amazing mix of electronica, funk, and bossa nova, Thievery Corporation's Eric Hilton and Rob Garza created their own sonic landscape that moved through hip-hop, rock, reggae, EDM, and even featured a sitar. 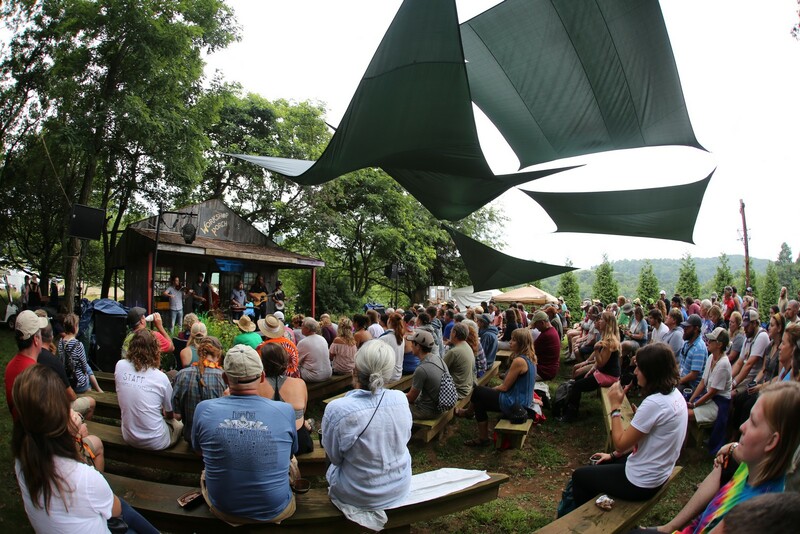 While most of the headliners play the main Dreaming Creek Stage, FloydFest veterans know there's just as much magic on the hillside stage. 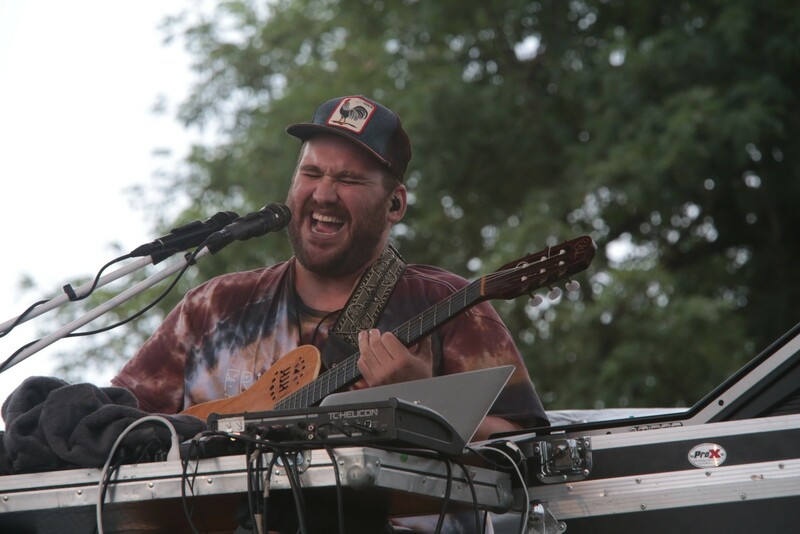 This year Big Something closed out the night with a fiery "machine set." 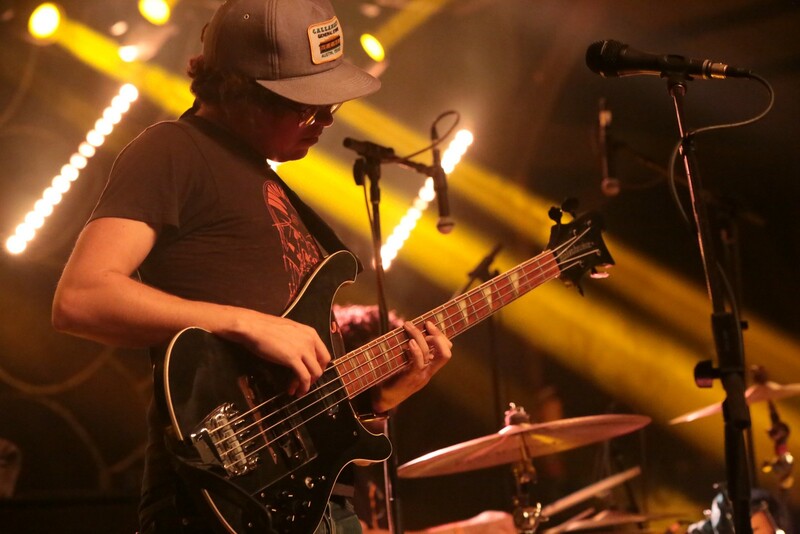 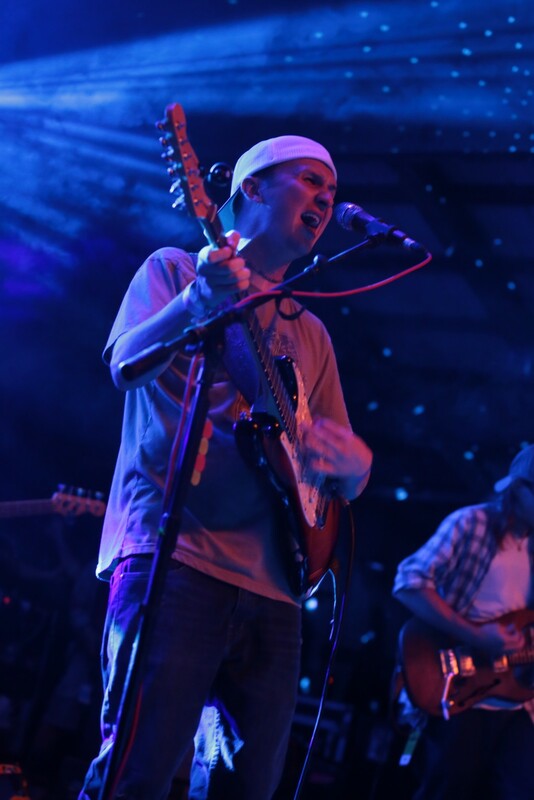 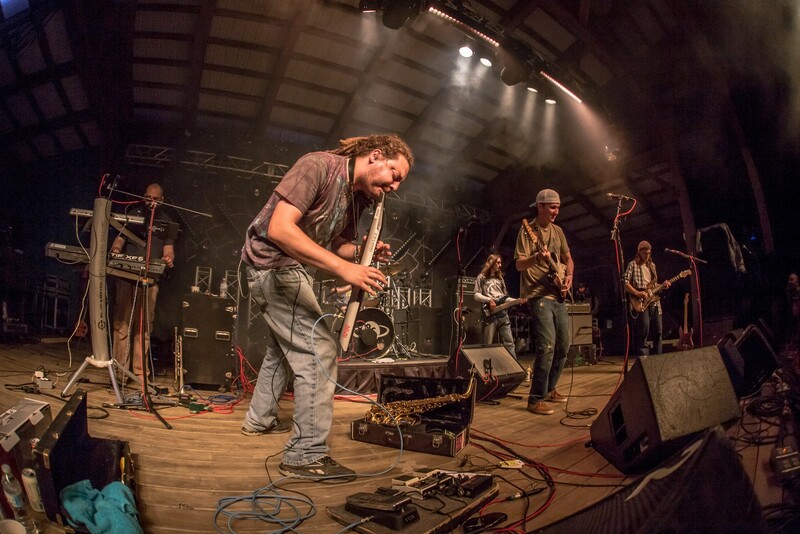 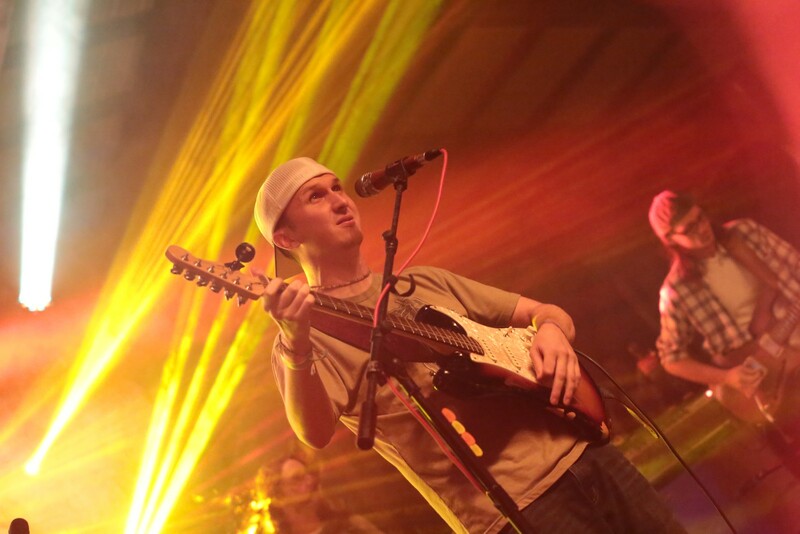 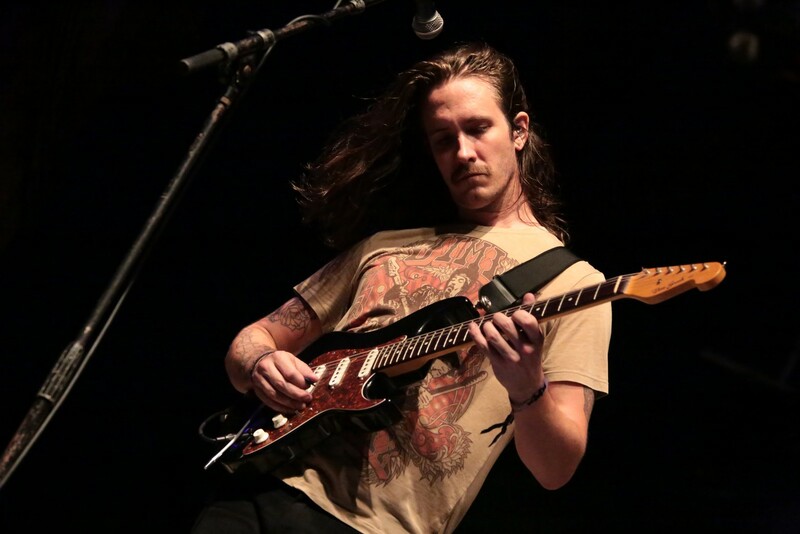 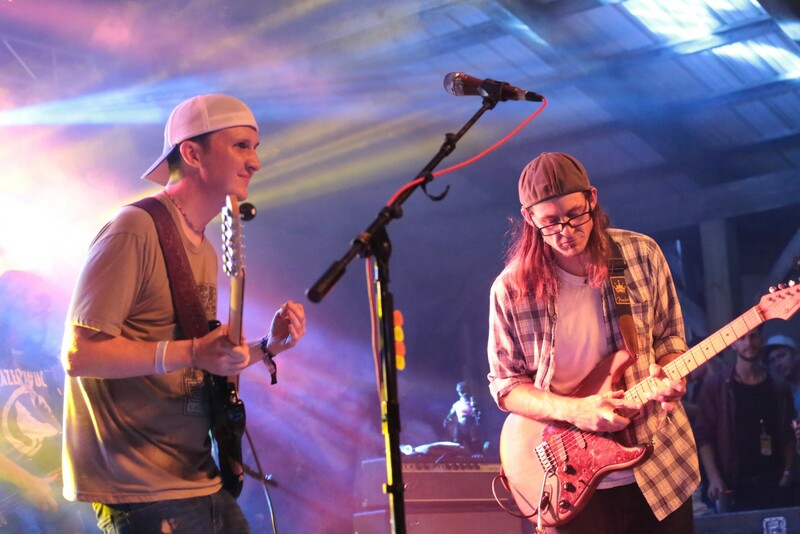 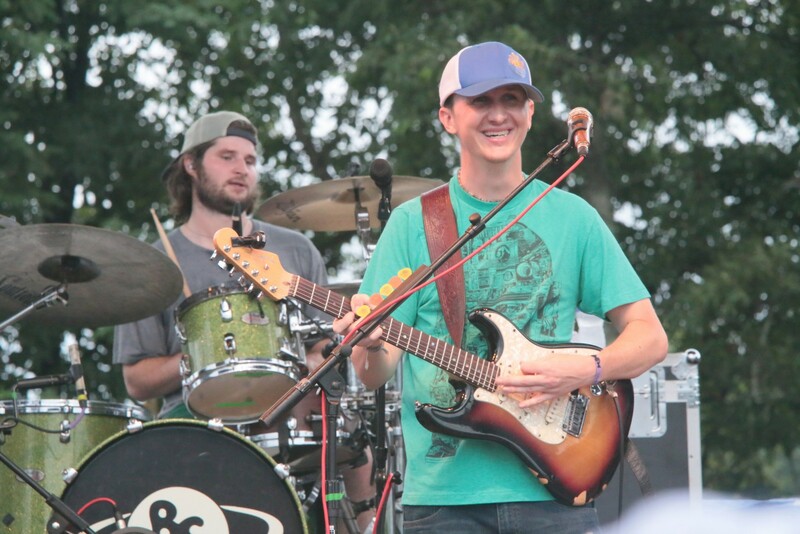 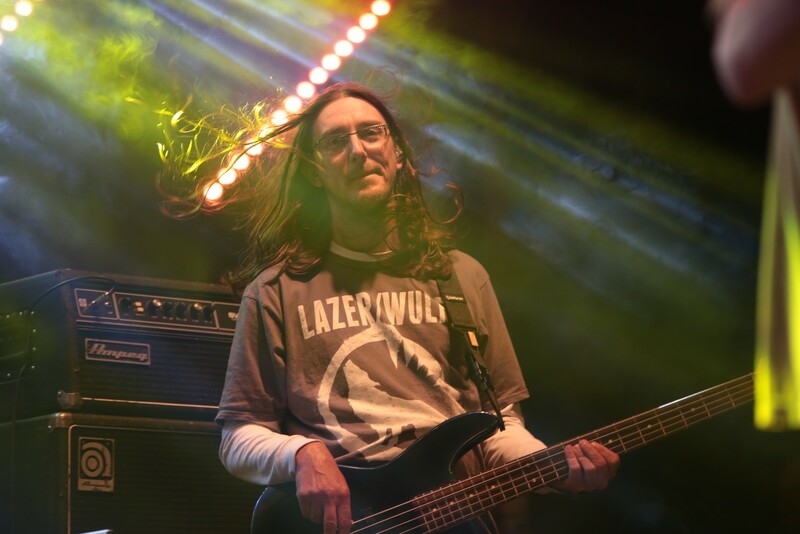 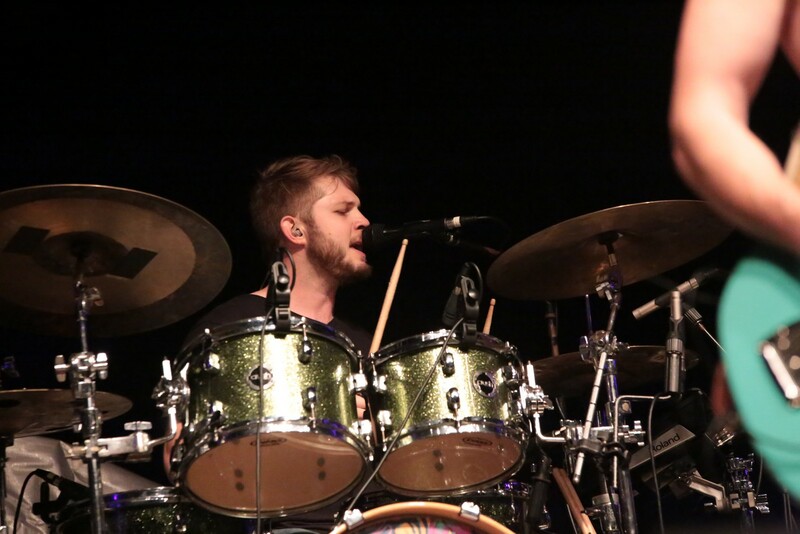 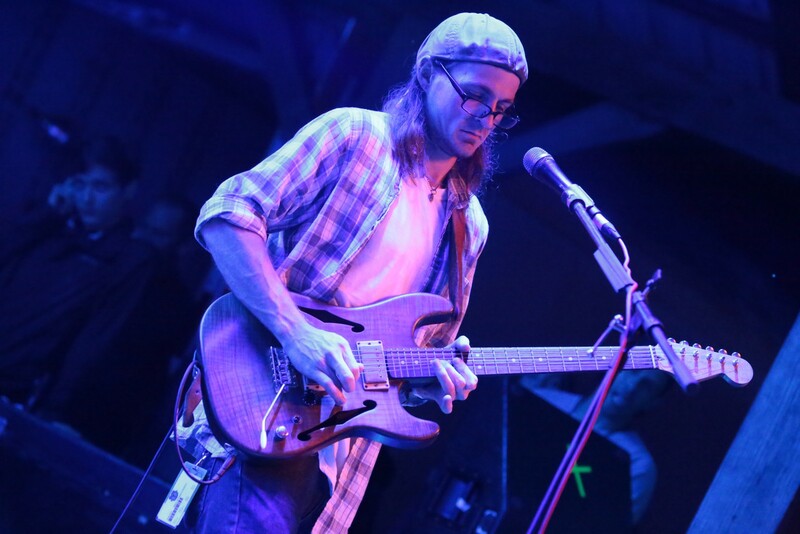 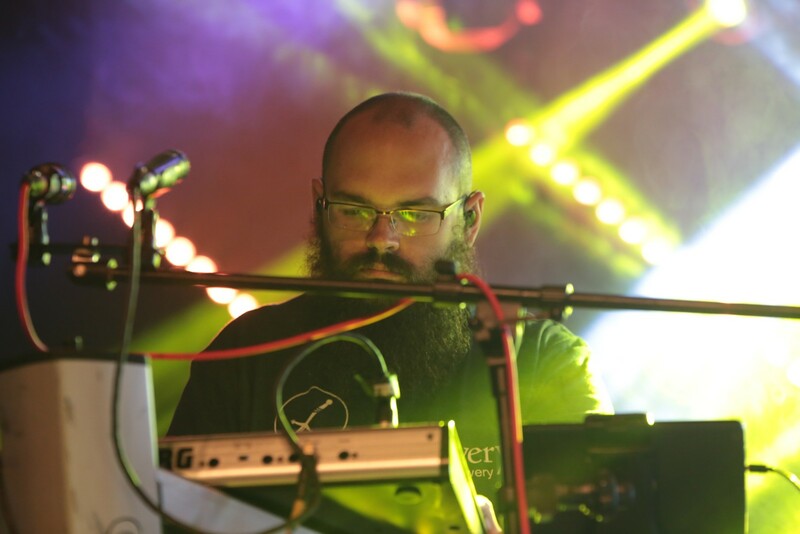 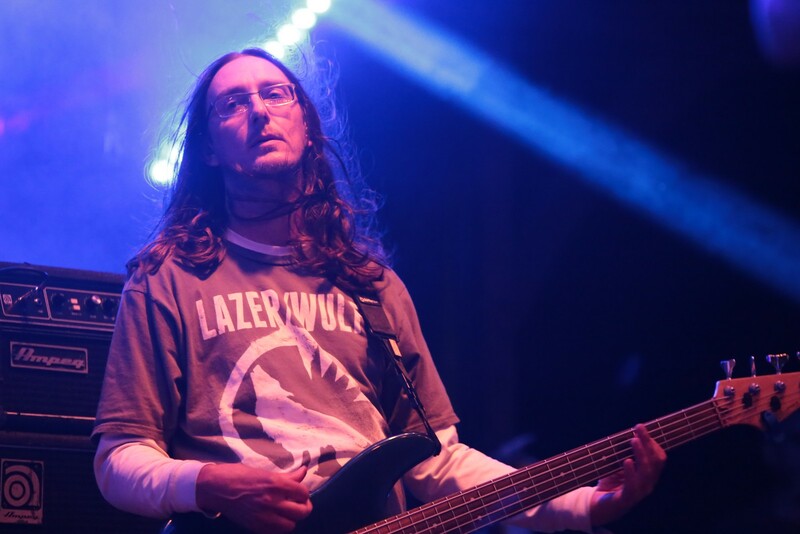 Opening with Pink Floyd's "Welcome To The Machine" and closing with Rage Against The Machine, the Burlington, NC band showed why they're the breakout stars of the southeastern jamband scene. 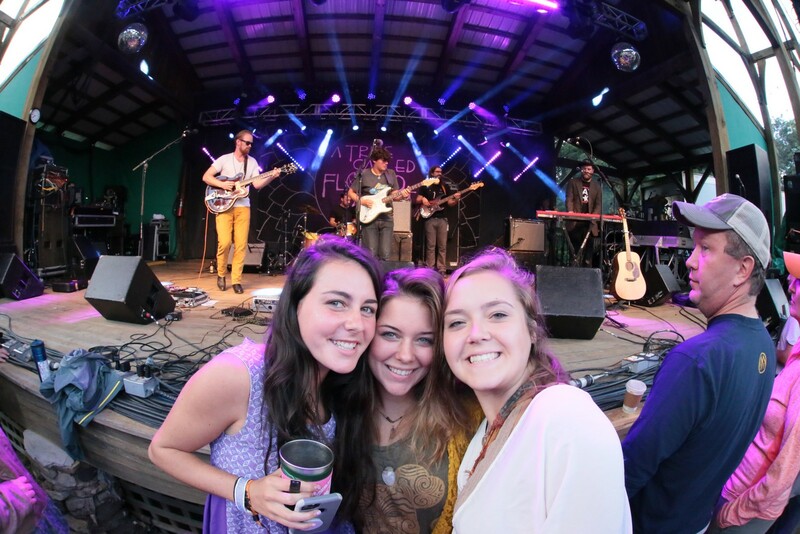 As Friday morning comes around, the festival is in full swing and there's no better time to have a FloydFest Wedding! 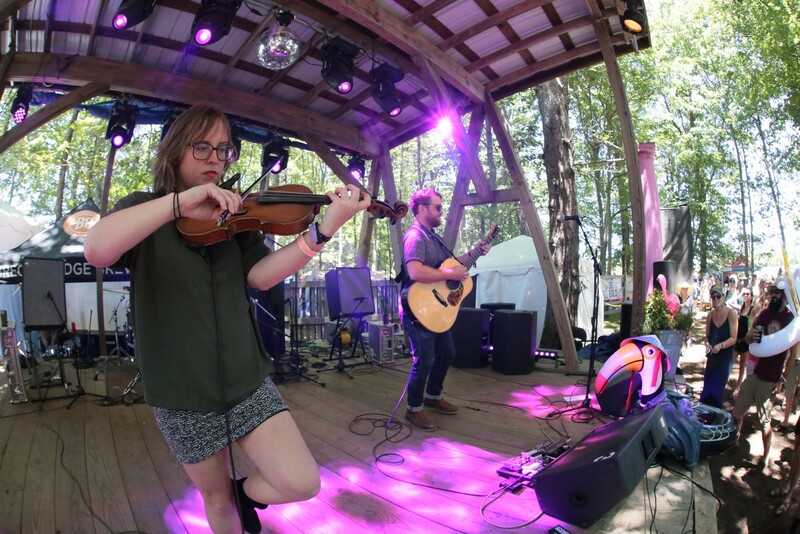 Sam Calhoun, one of the festival's full time employees has officiated dozens of weddings; enough for the festival to actually offer a "wedding package" to interested parties. 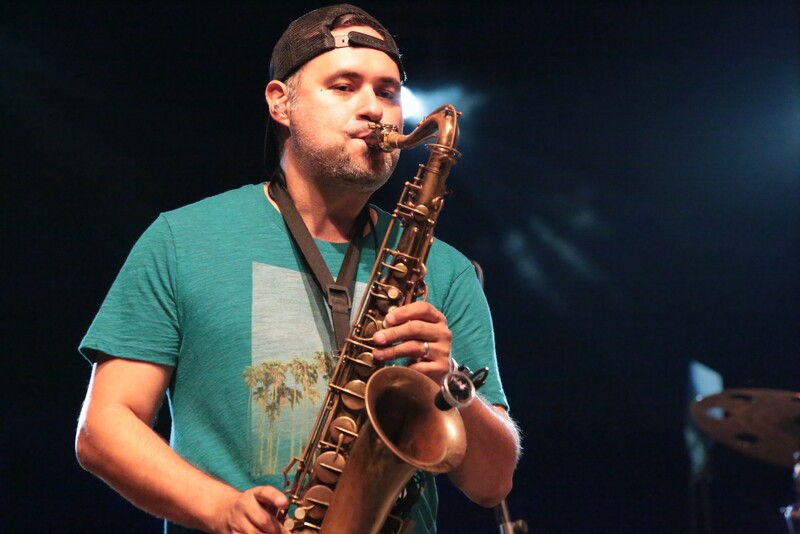 Congrats to Daniel and Lauren Krofcheck on their special day! 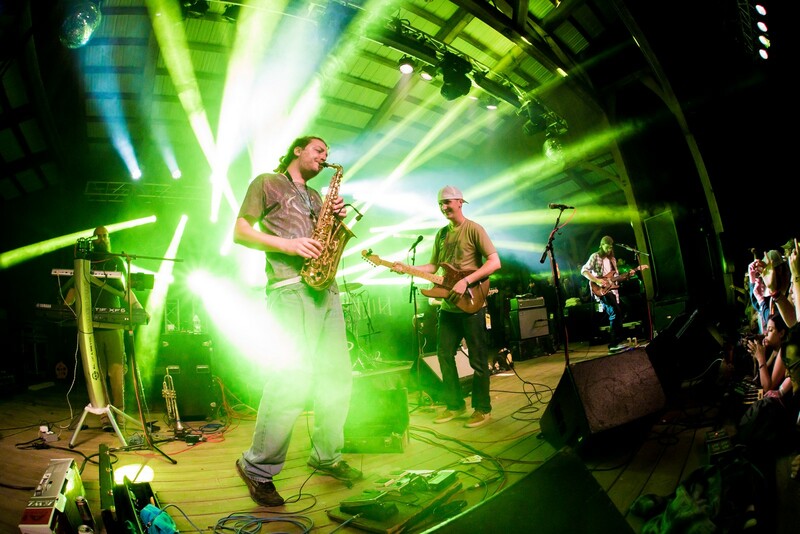 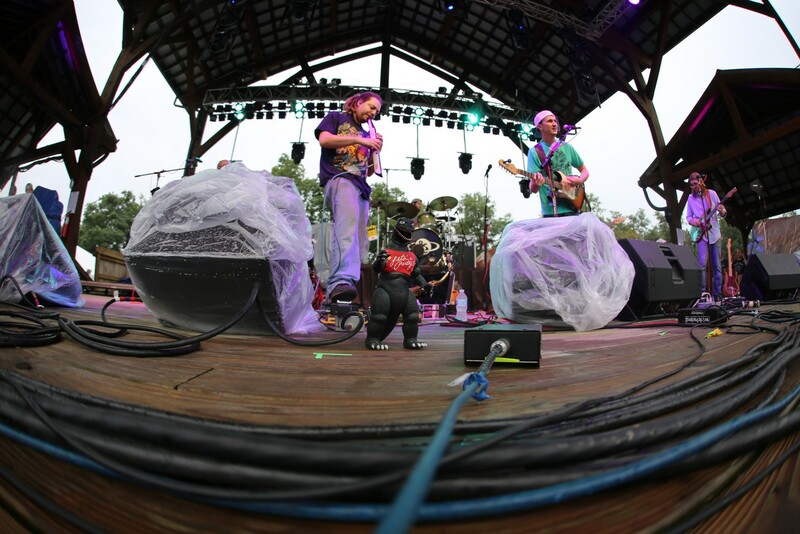 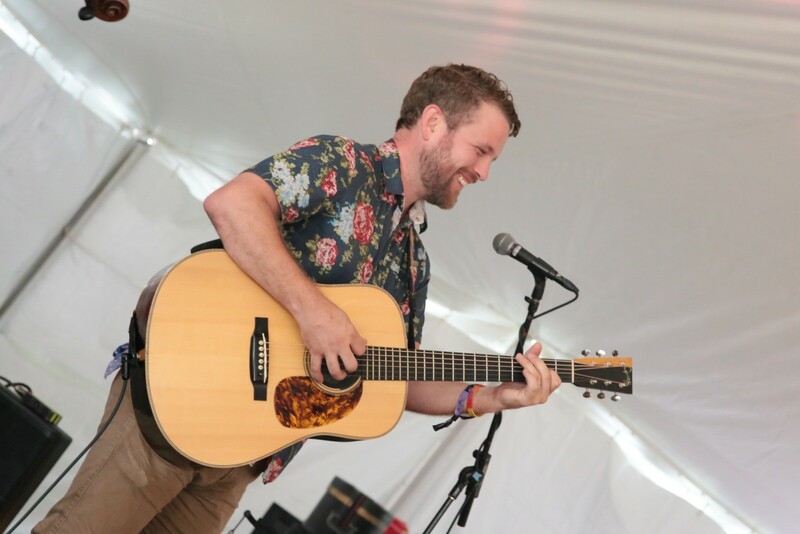 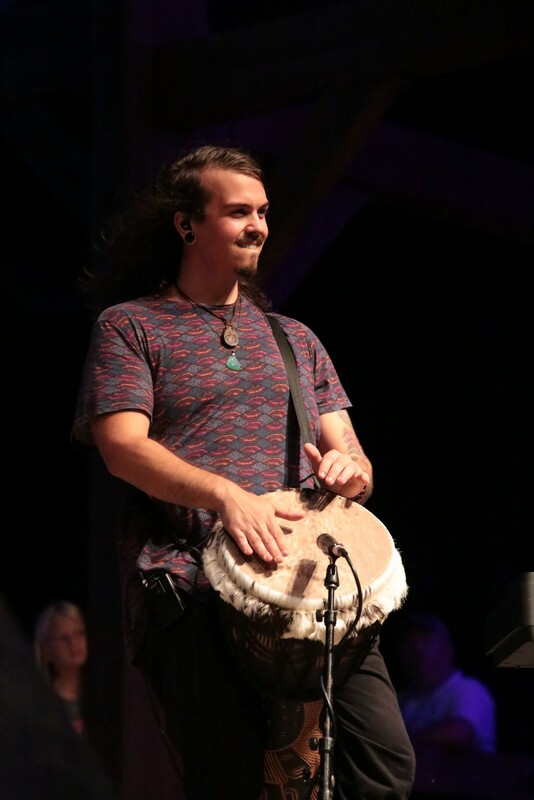 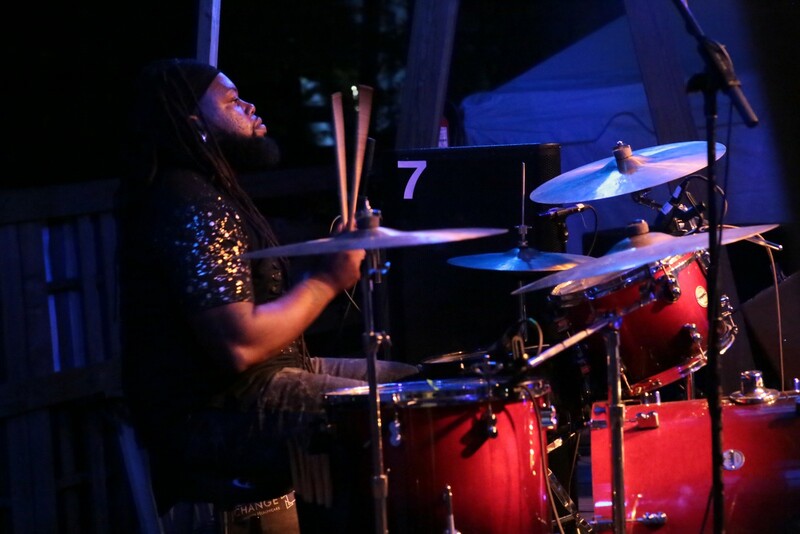 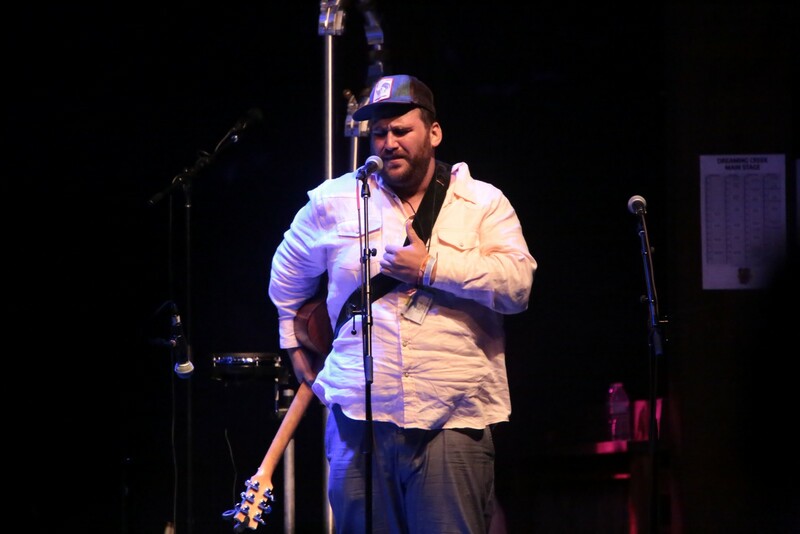 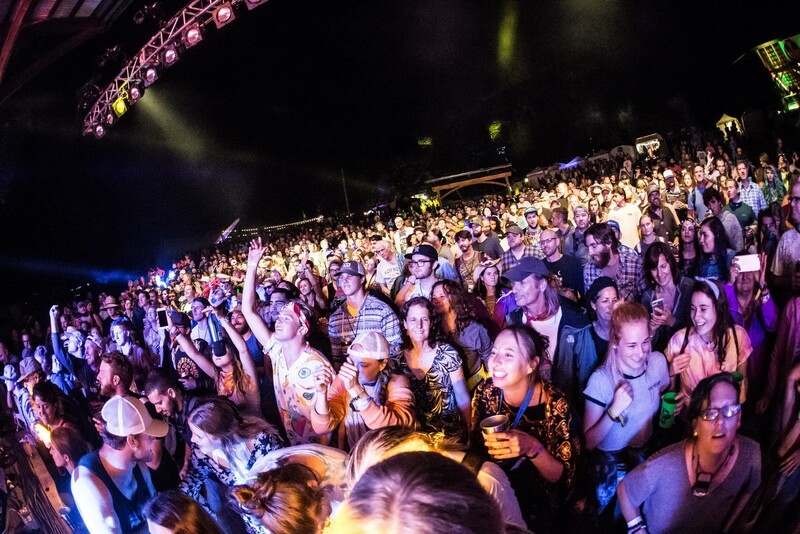 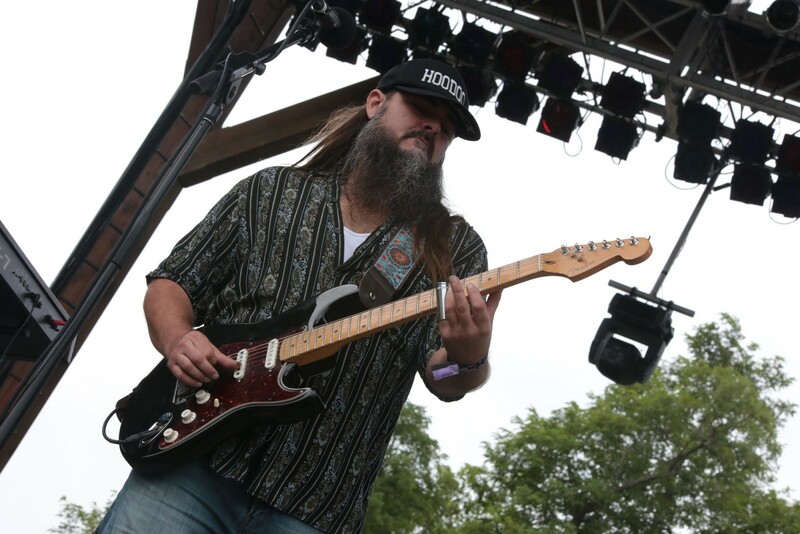 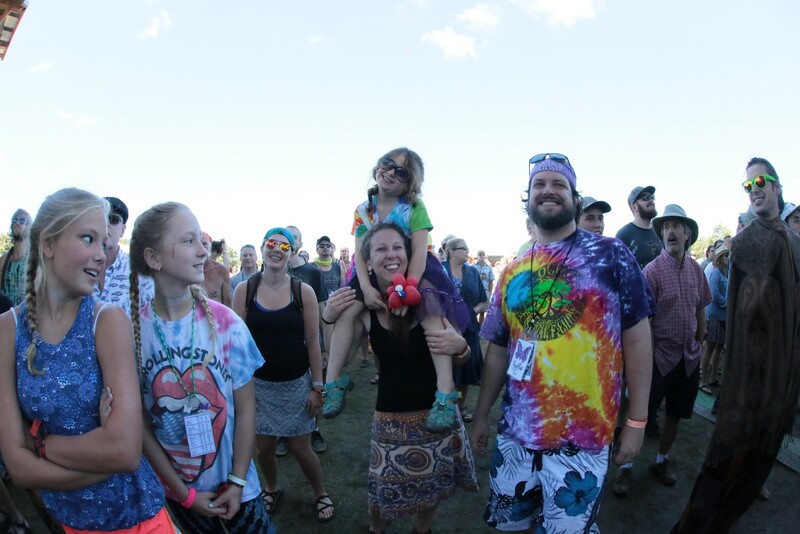 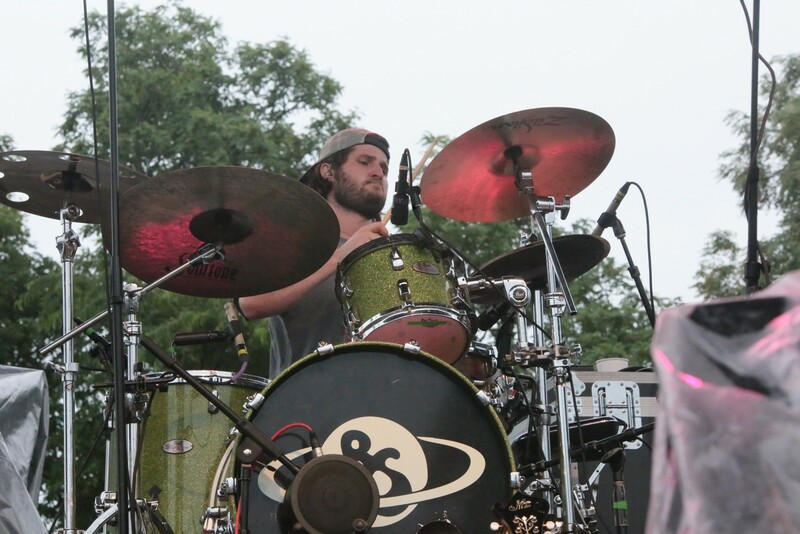 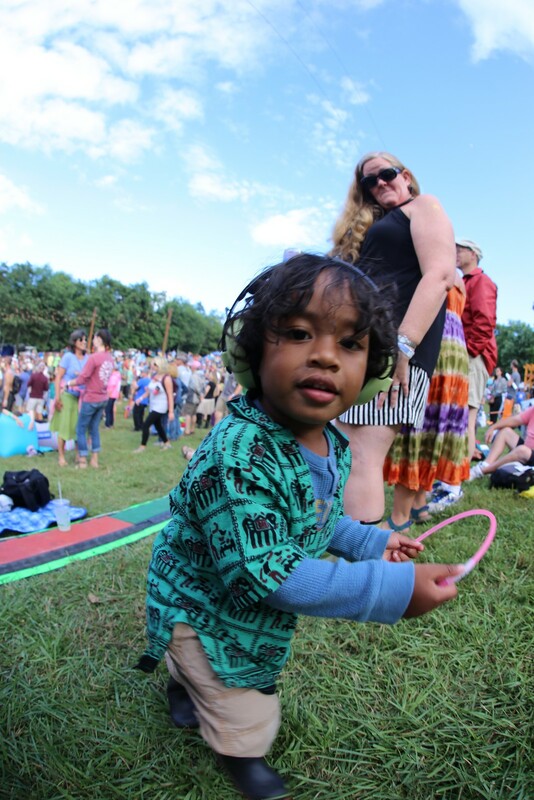 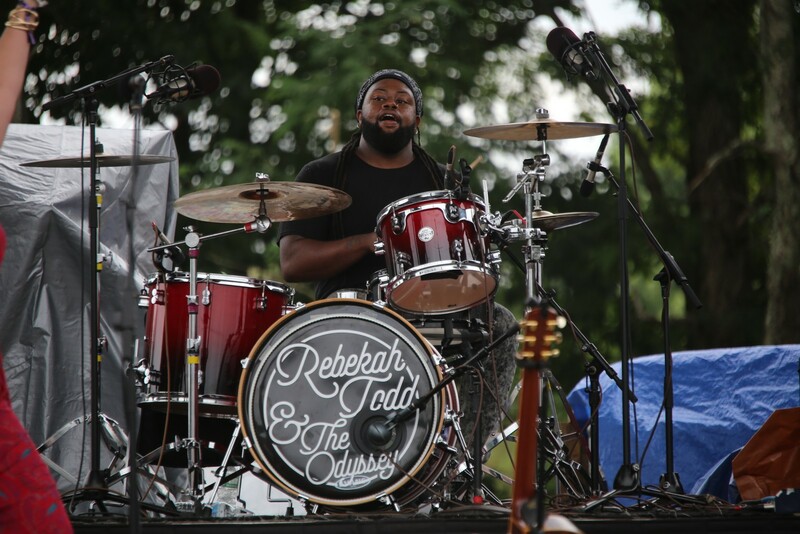 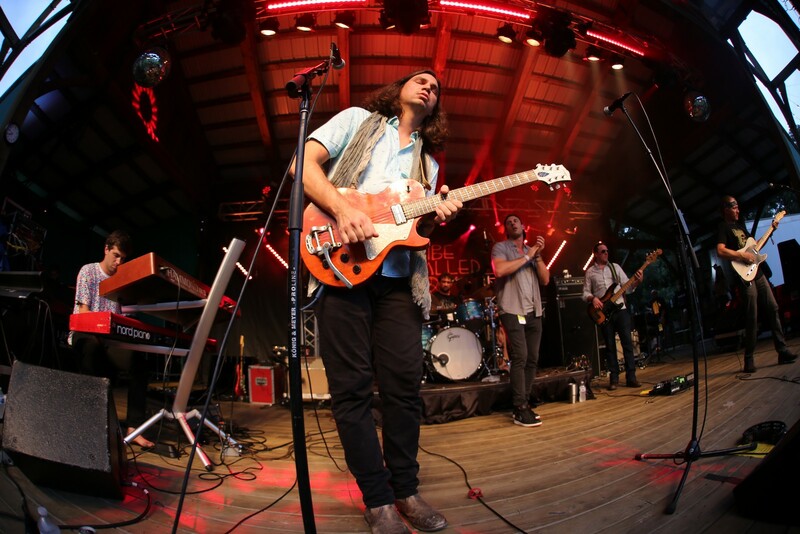 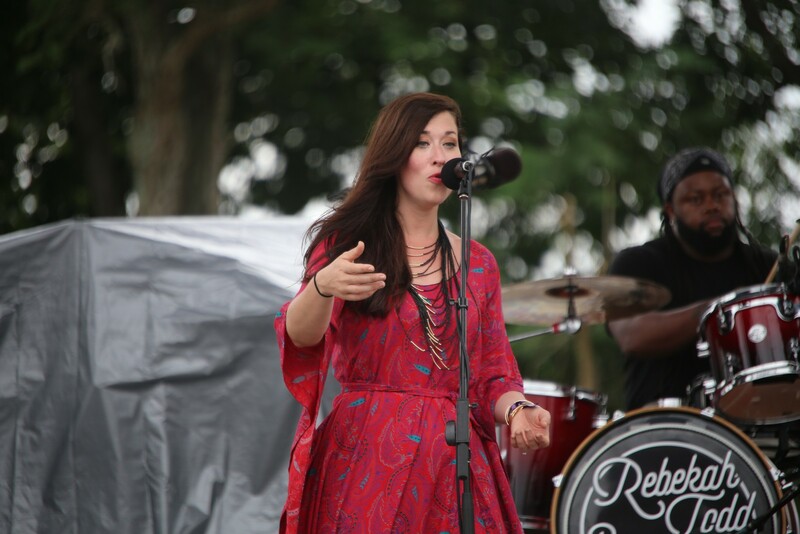 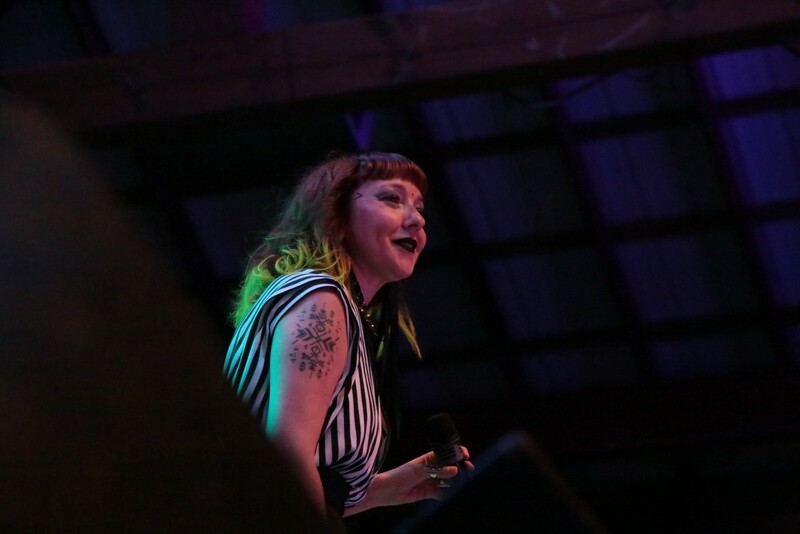 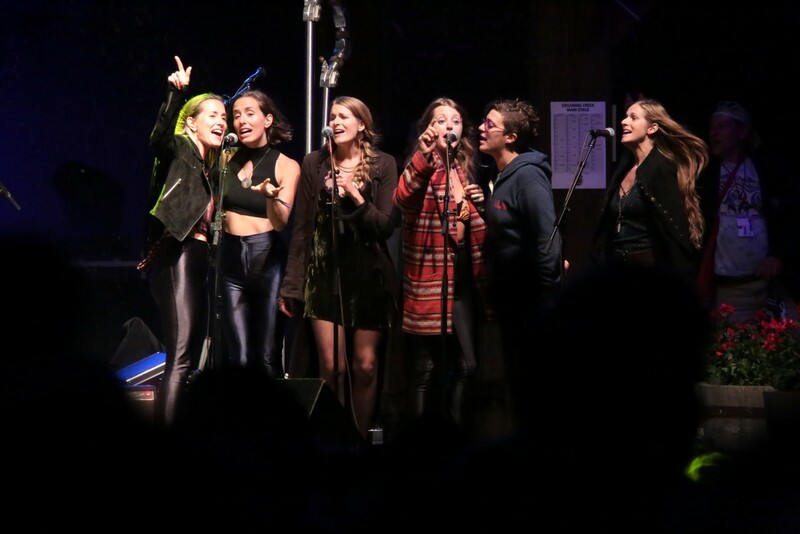 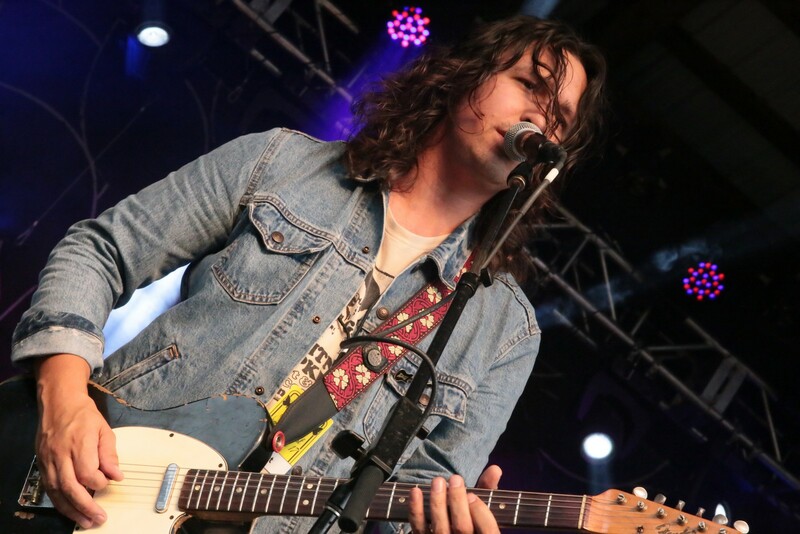 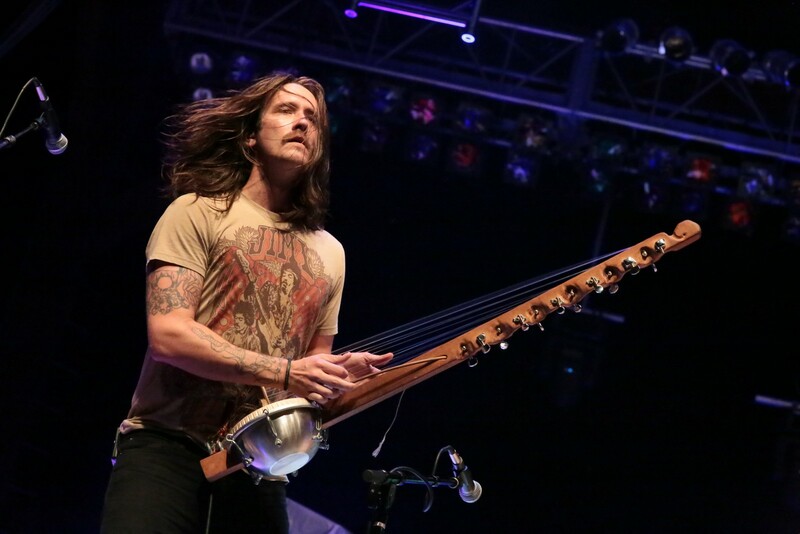 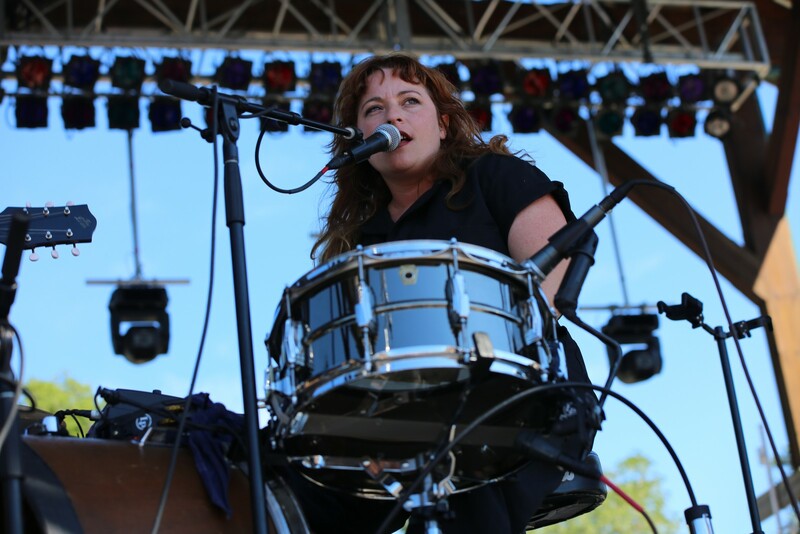 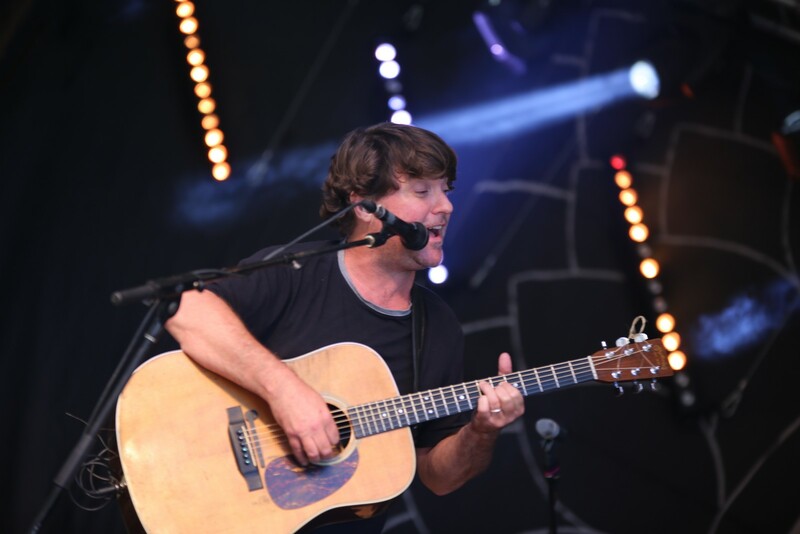 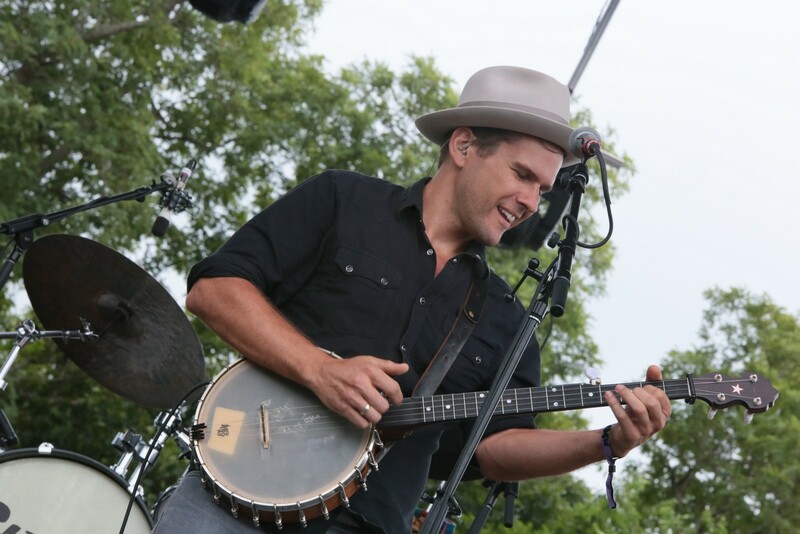 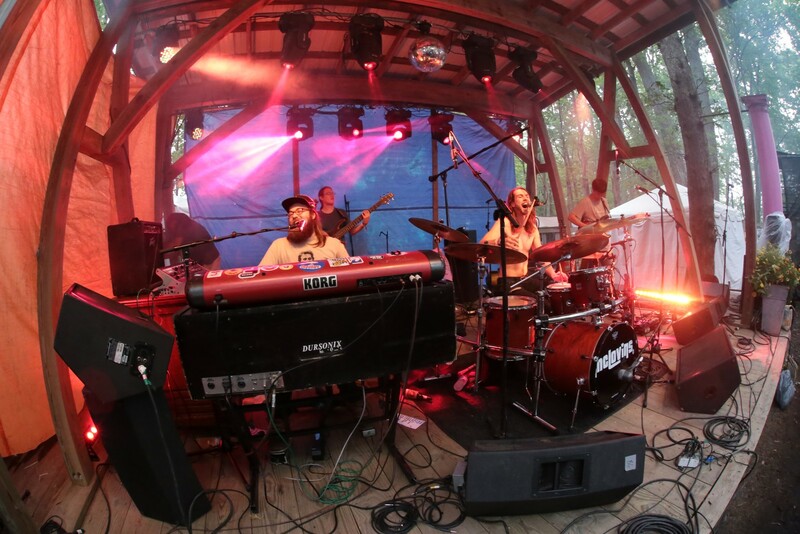 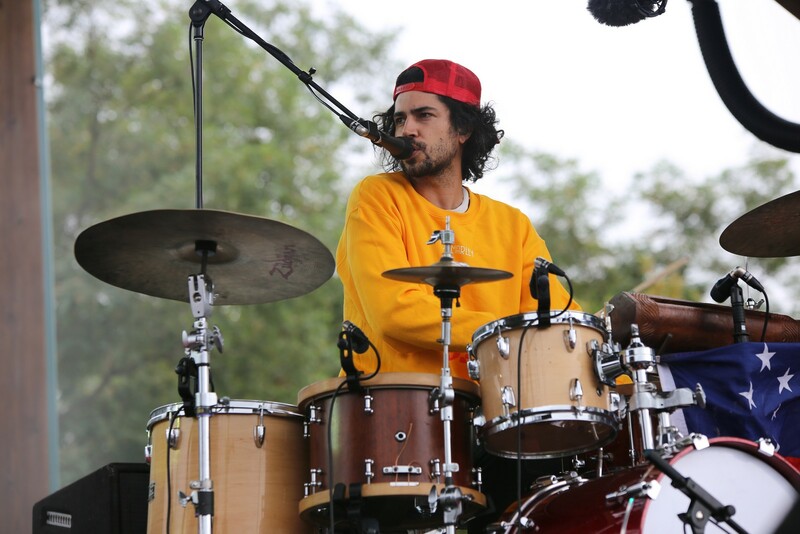 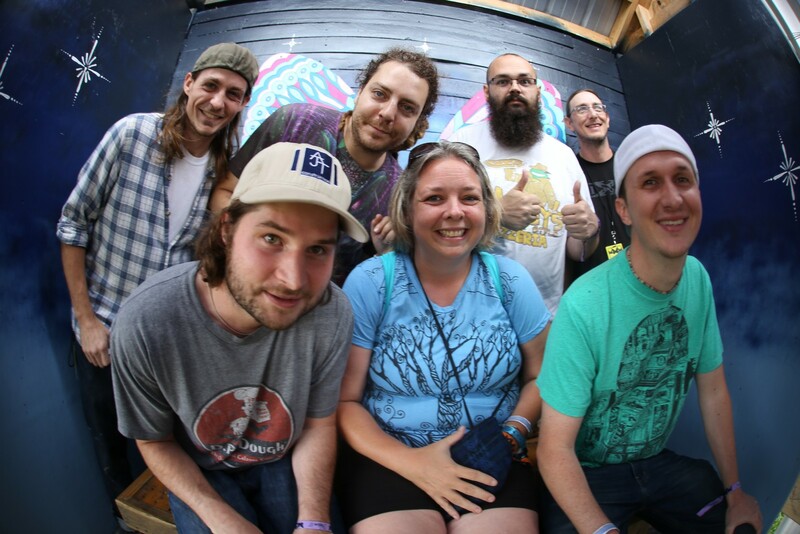 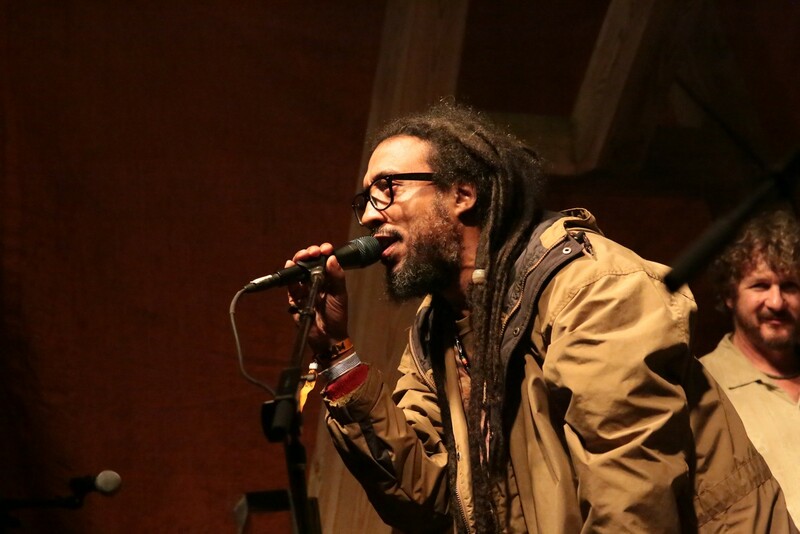 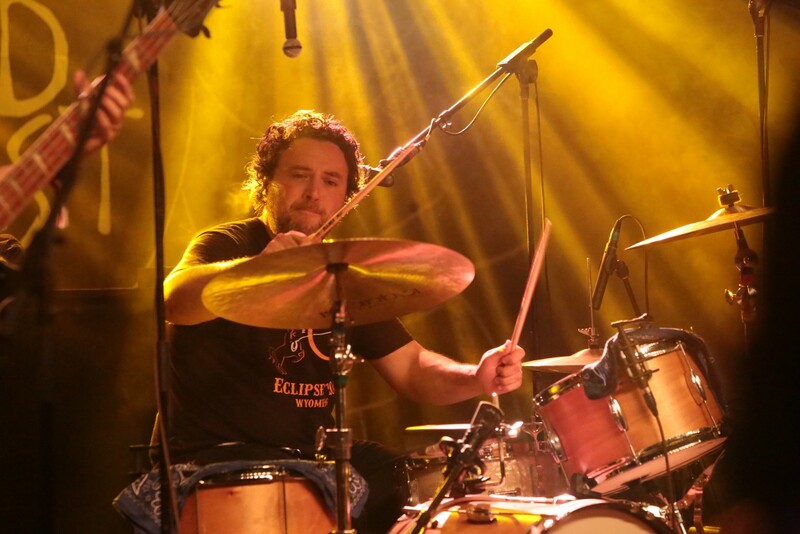 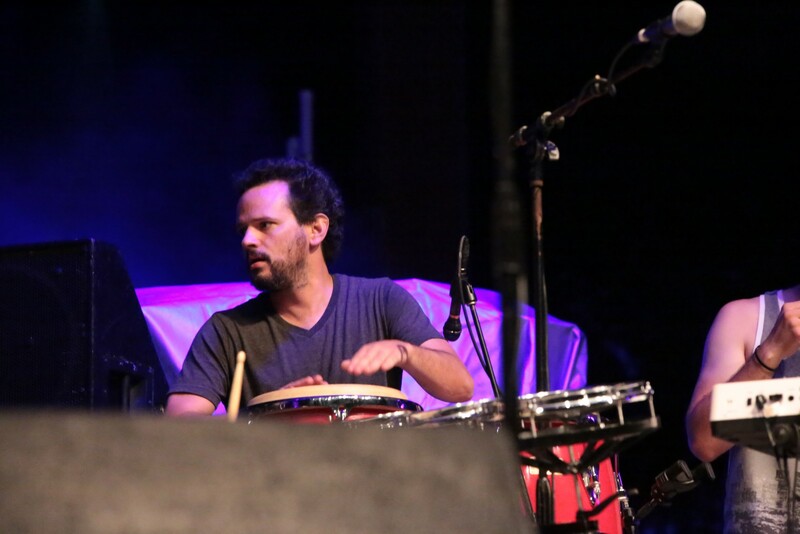 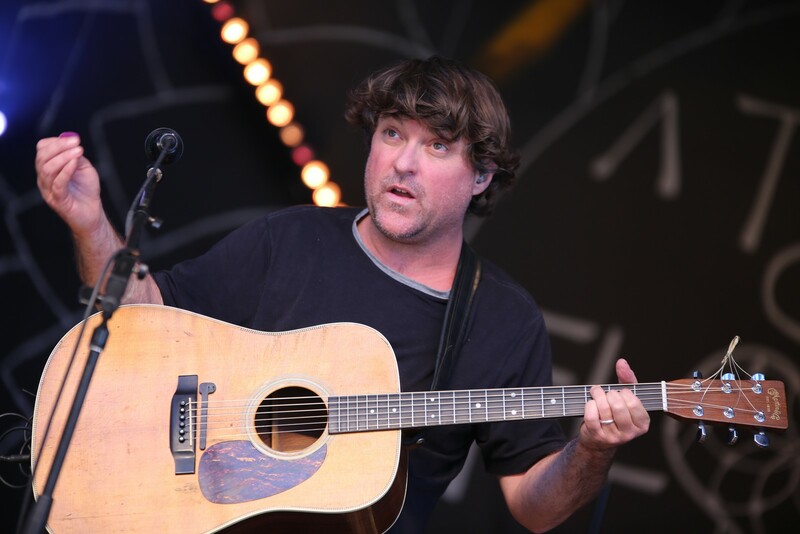 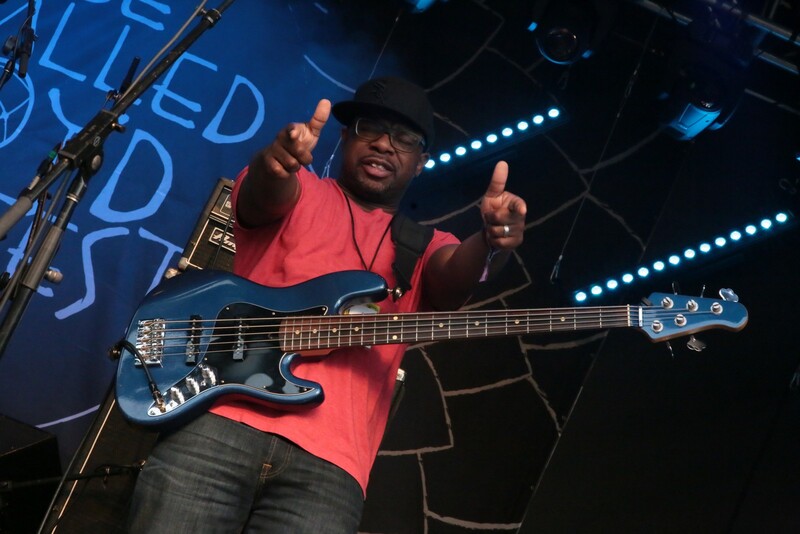 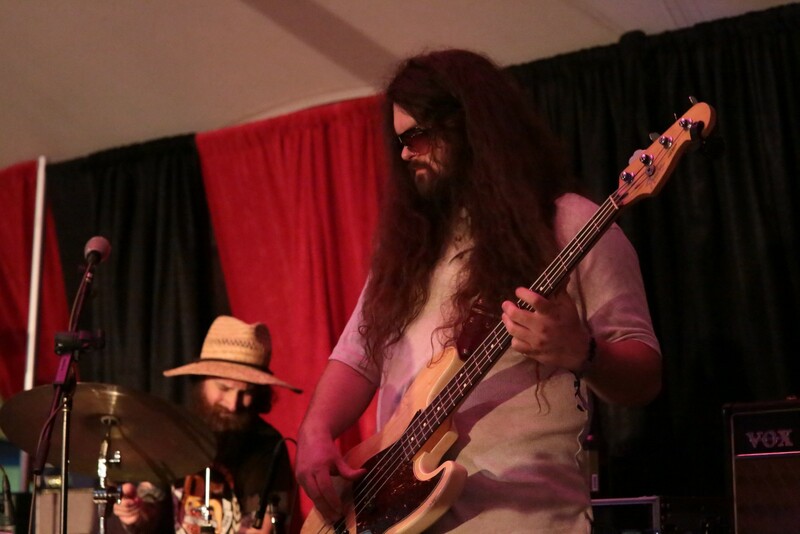 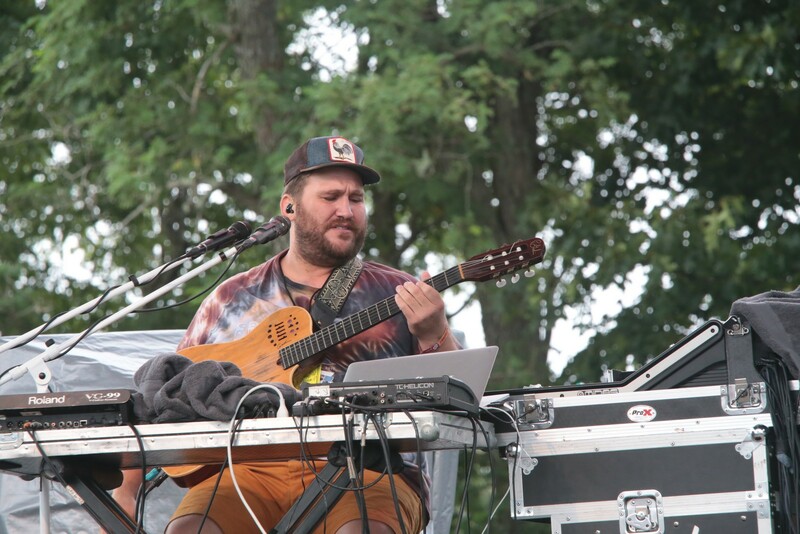 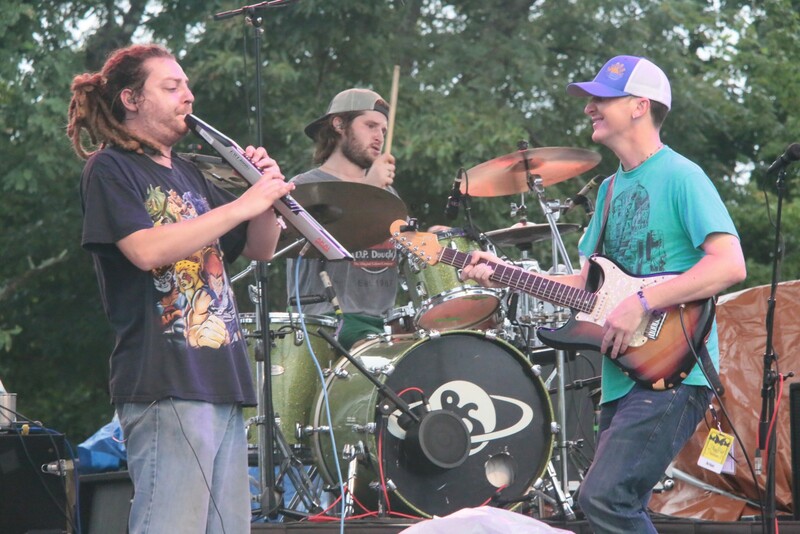 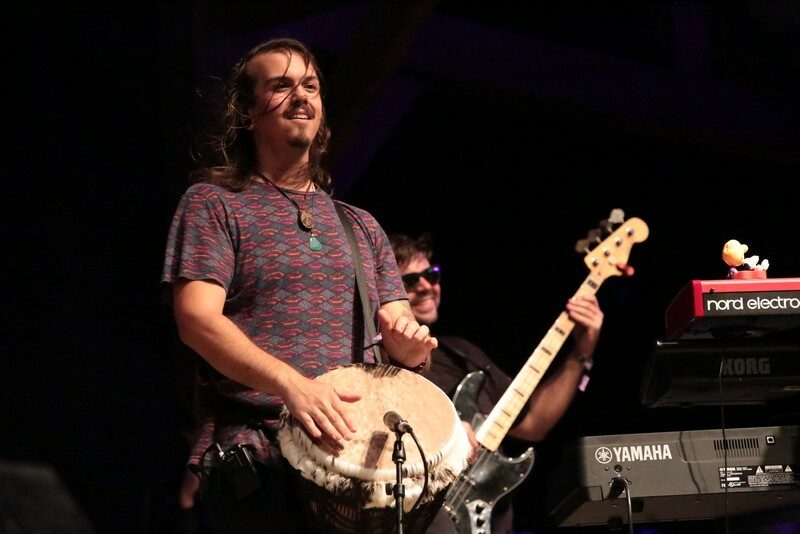 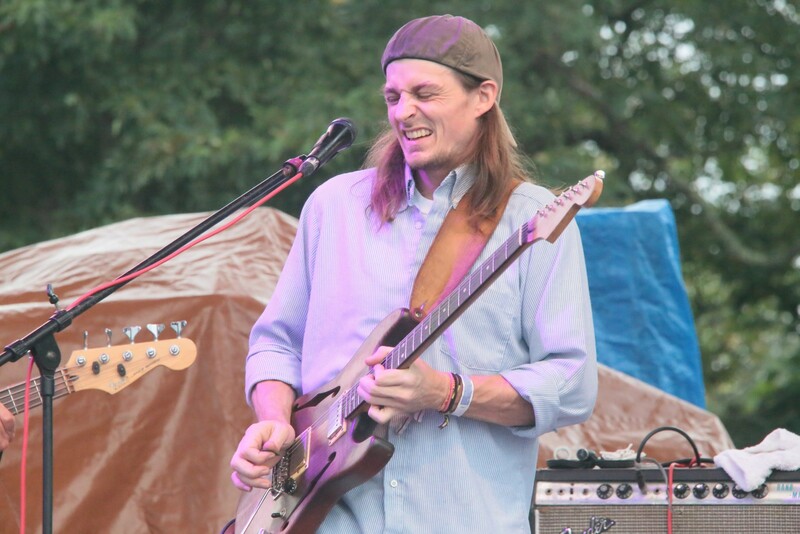 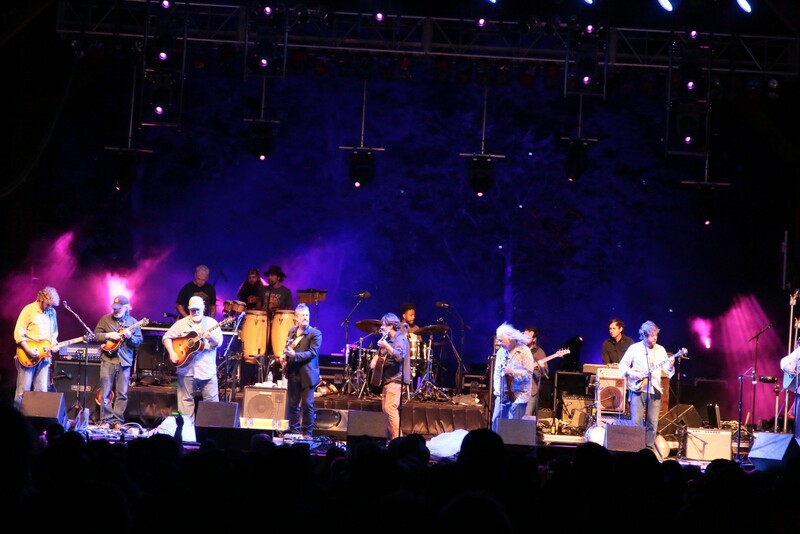 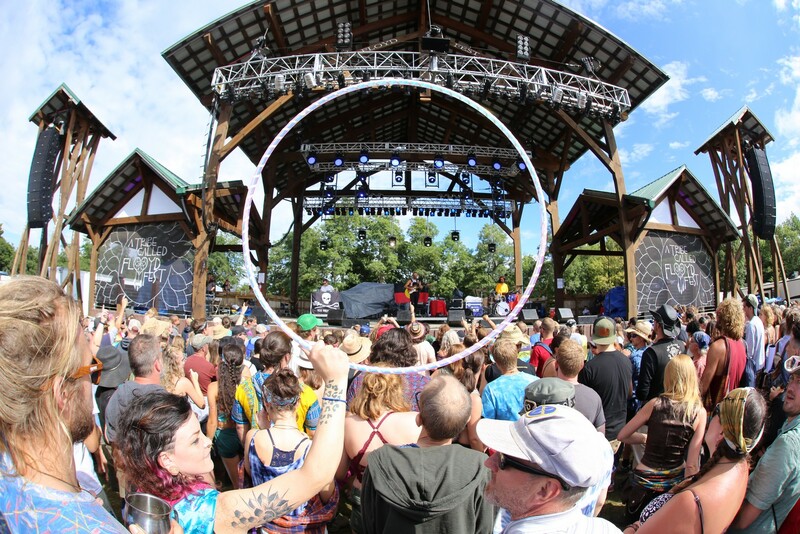 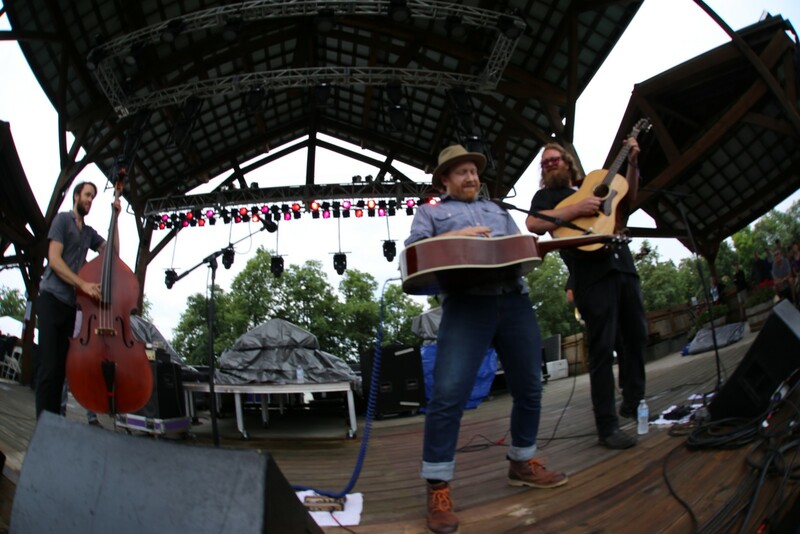 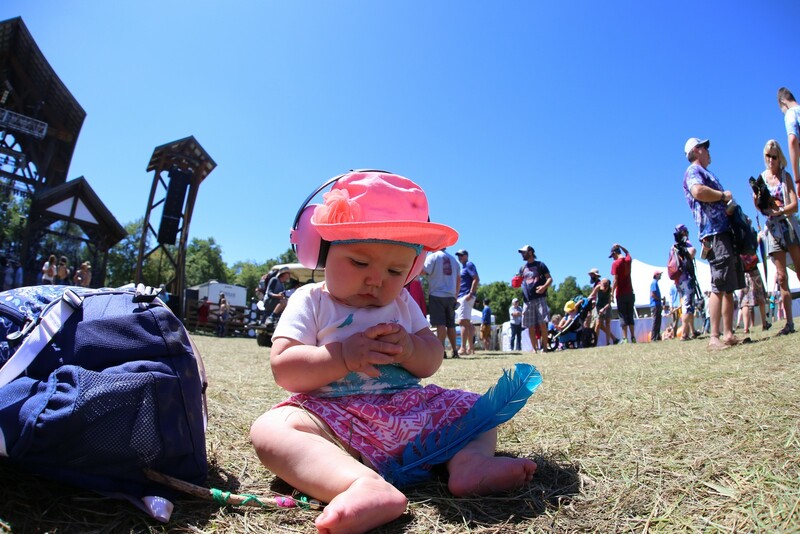 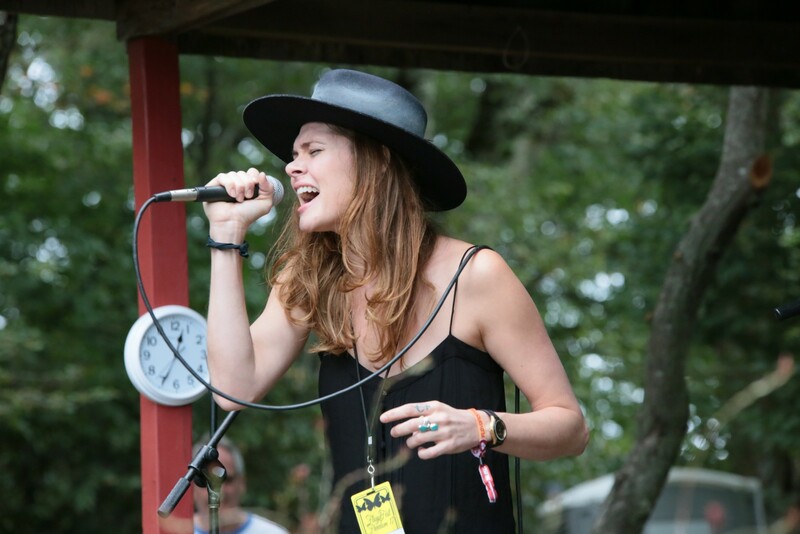 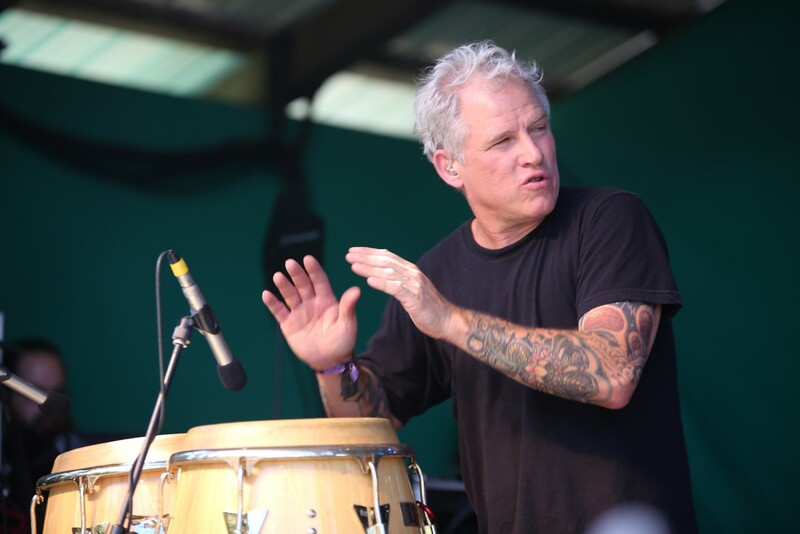 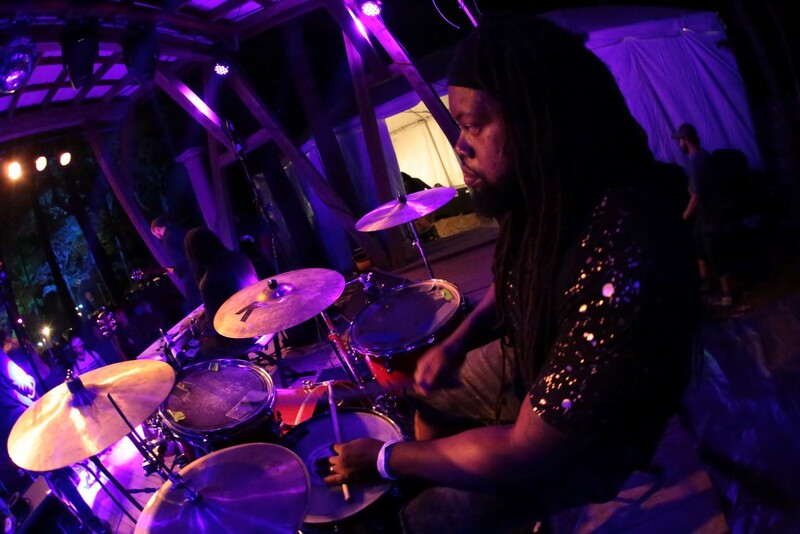 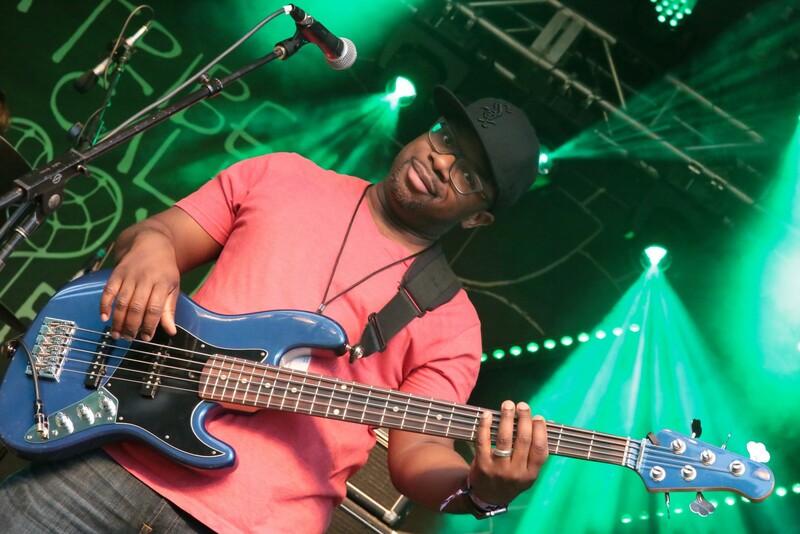 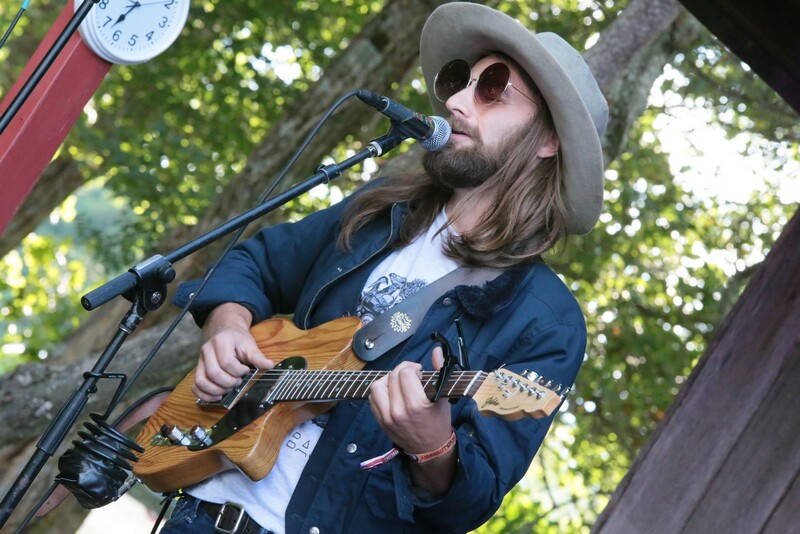 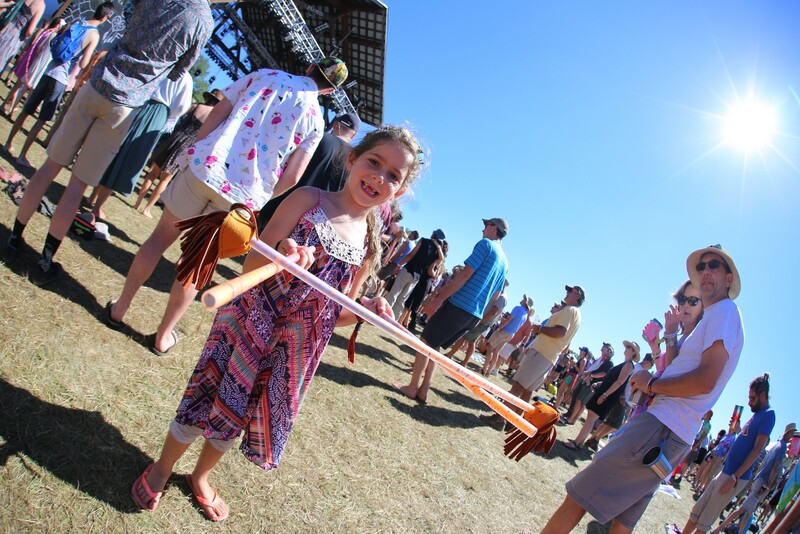 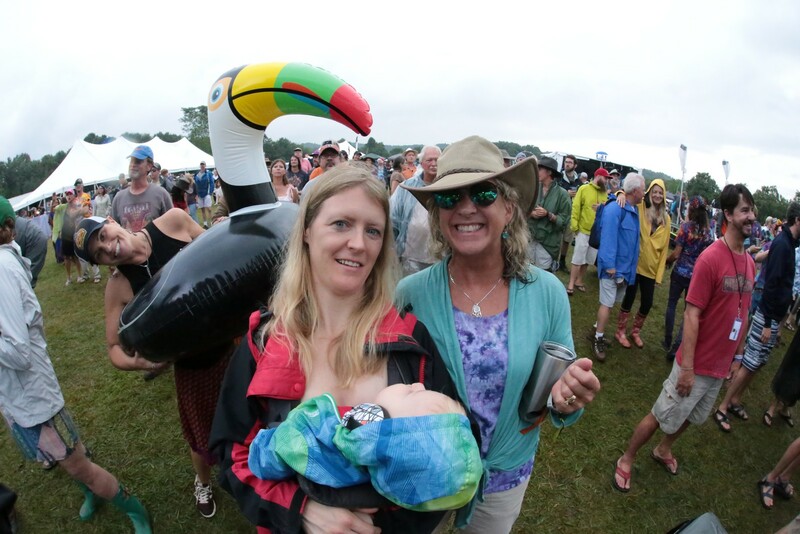 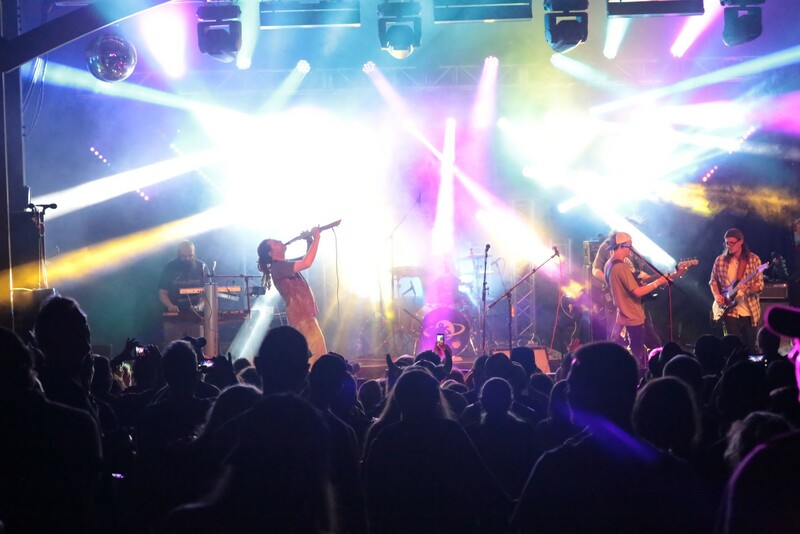 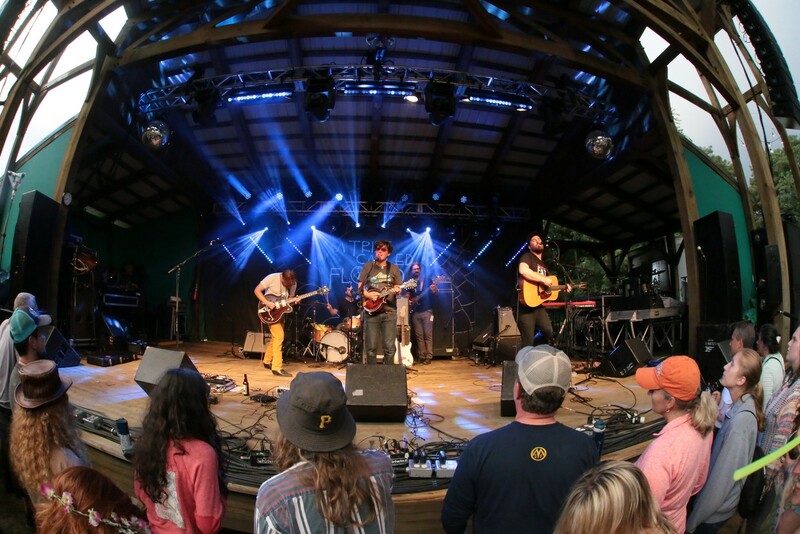 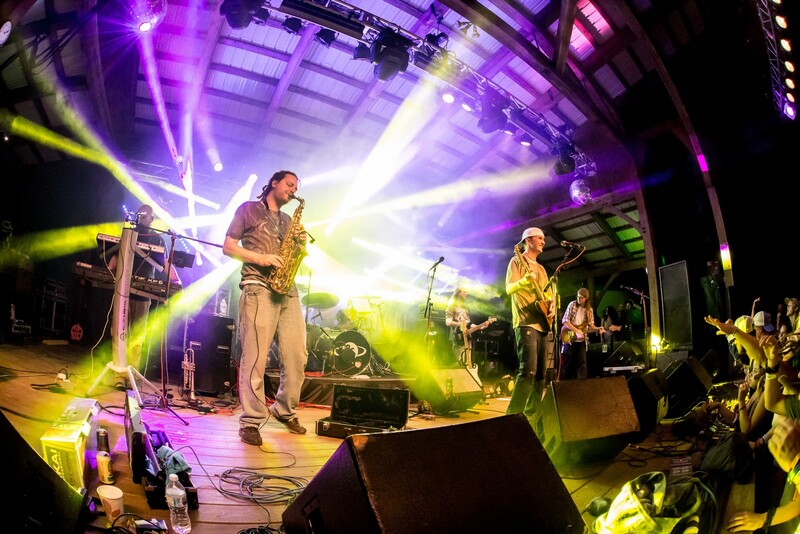 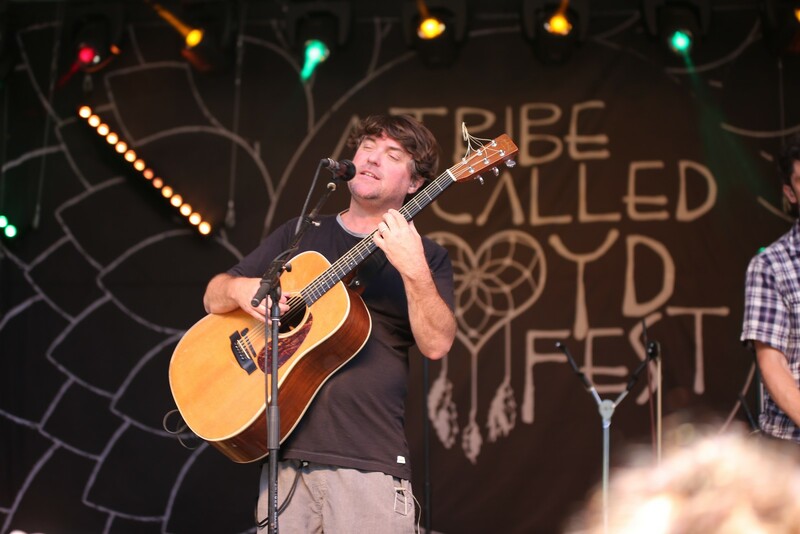 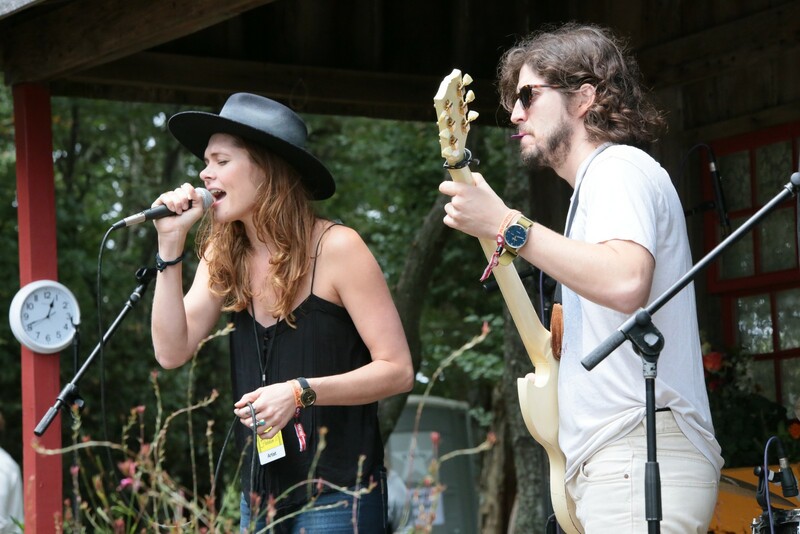 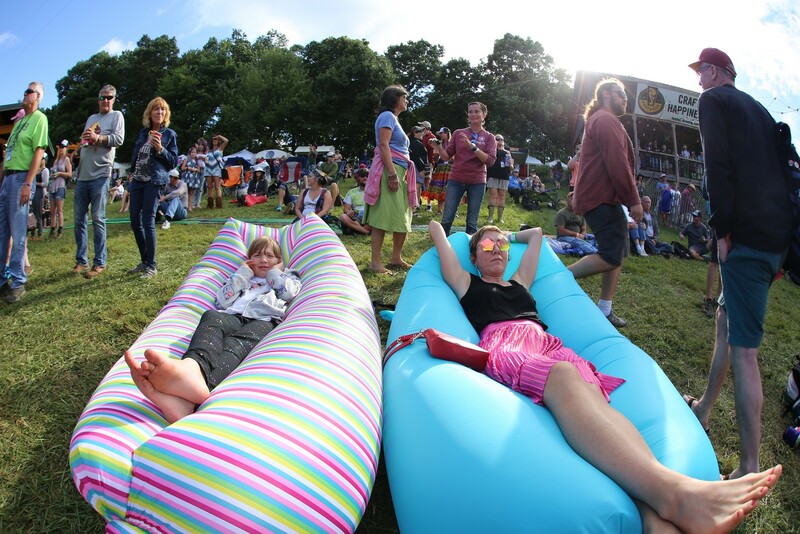 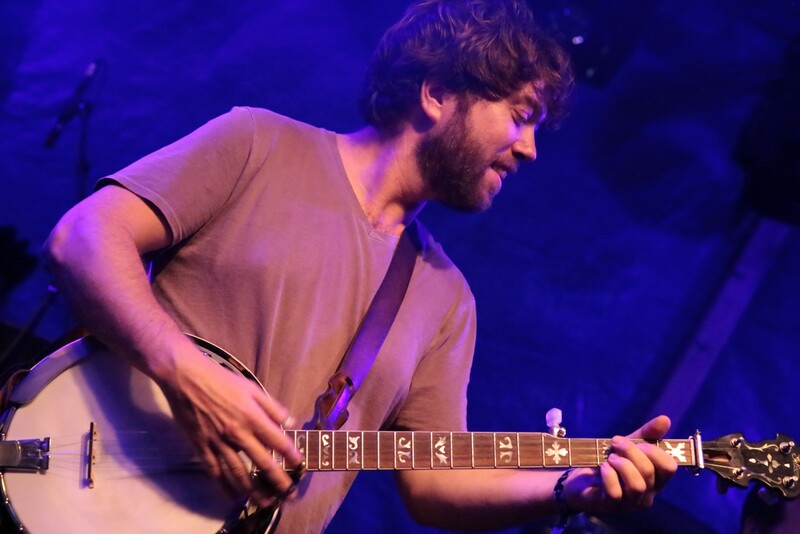 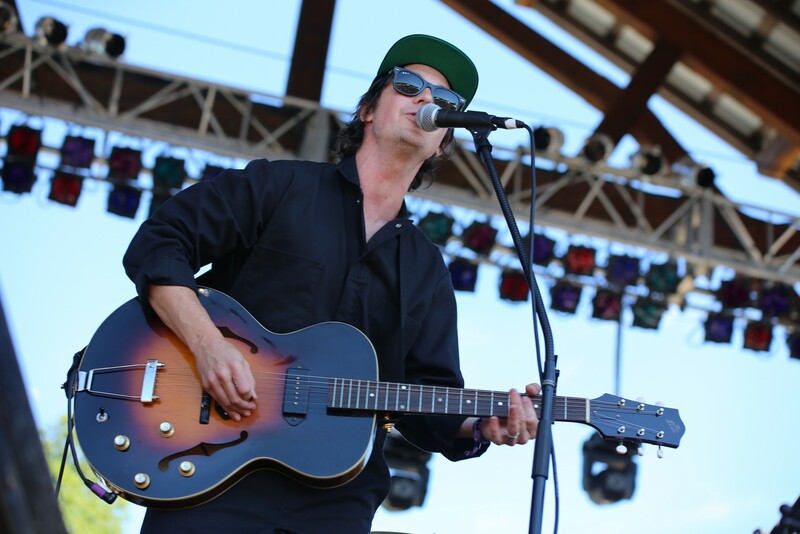 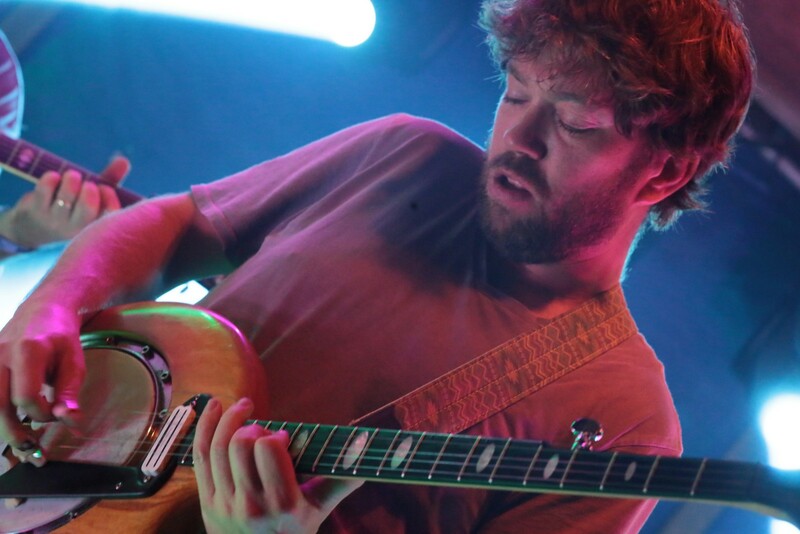 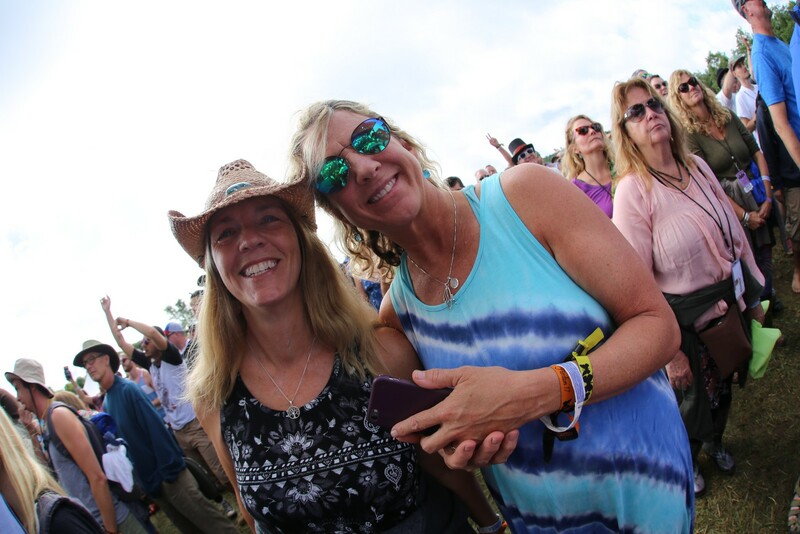 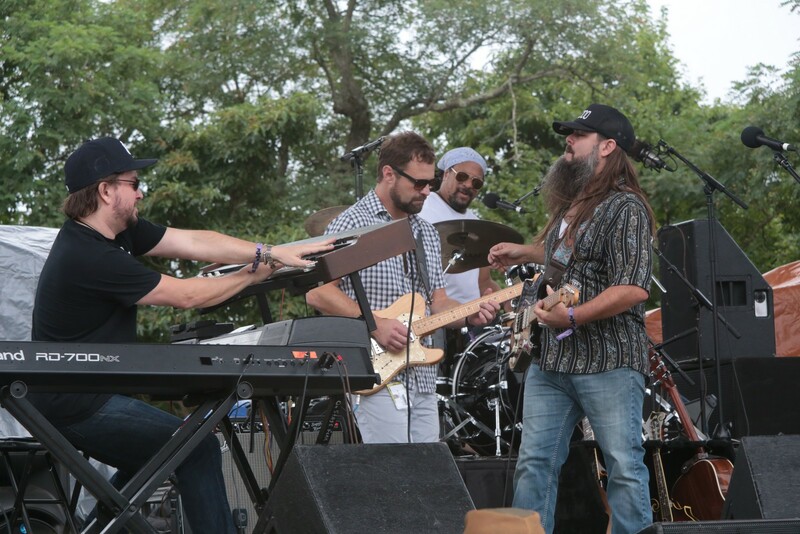 Friday saw mainstage performances by Zach Deputy, Big Something, and Steel Pulse. 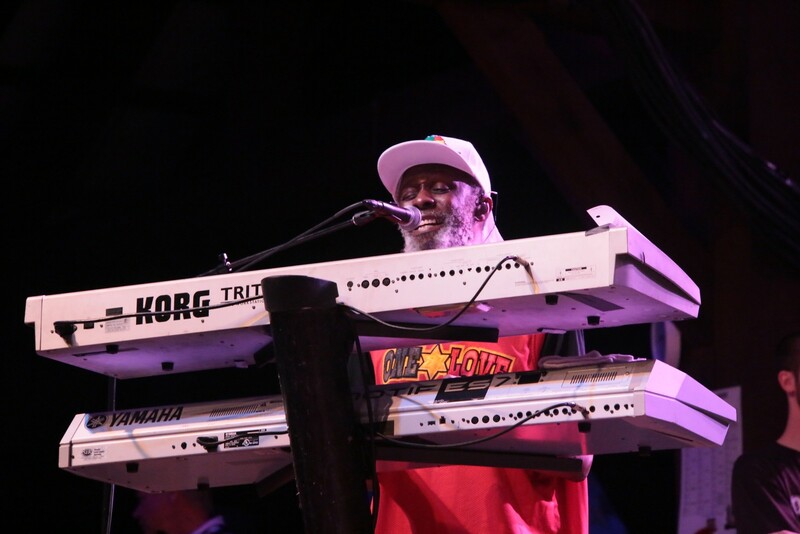 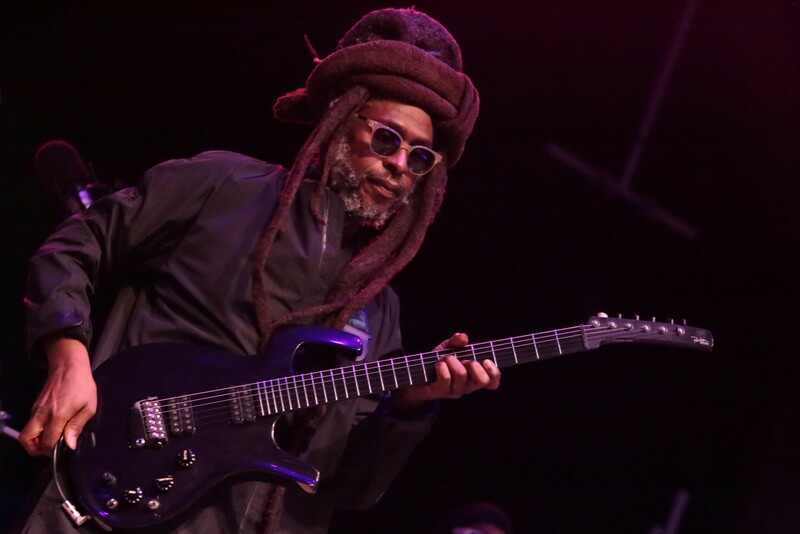 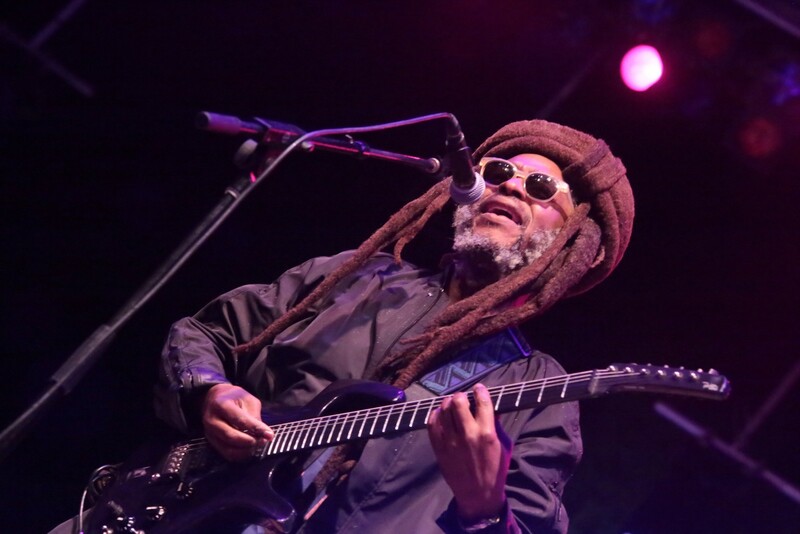 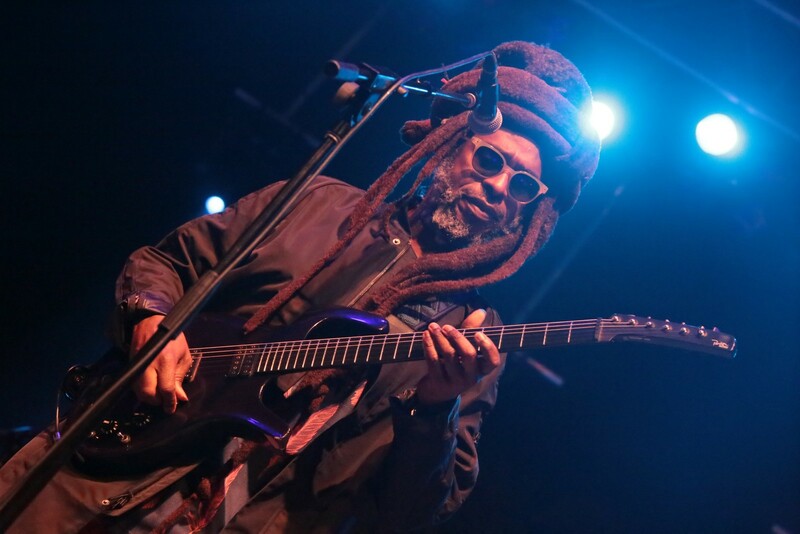 Steel Pulse from Birmingham, England, features frontman David "Dread" Hinds, and keyboardist Selwyn Brown. 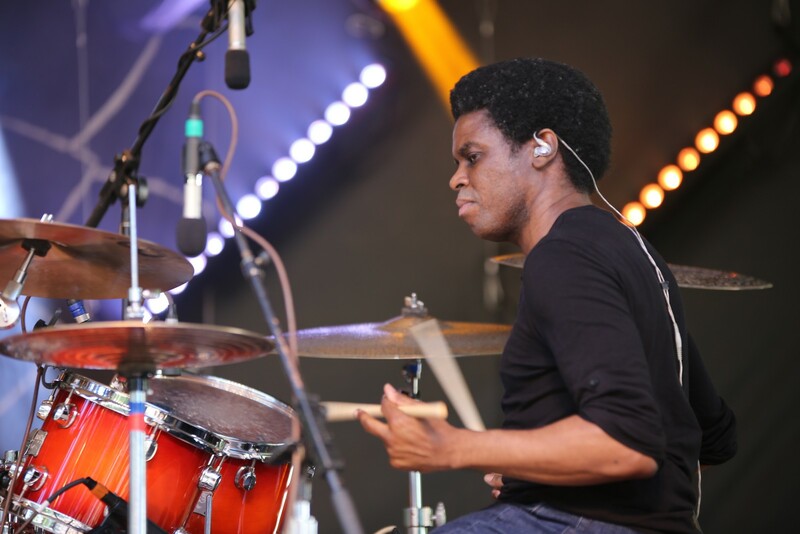 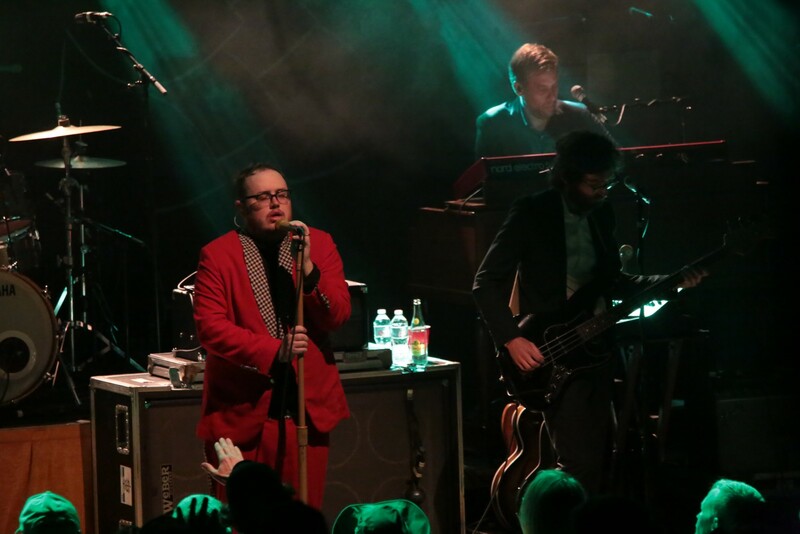 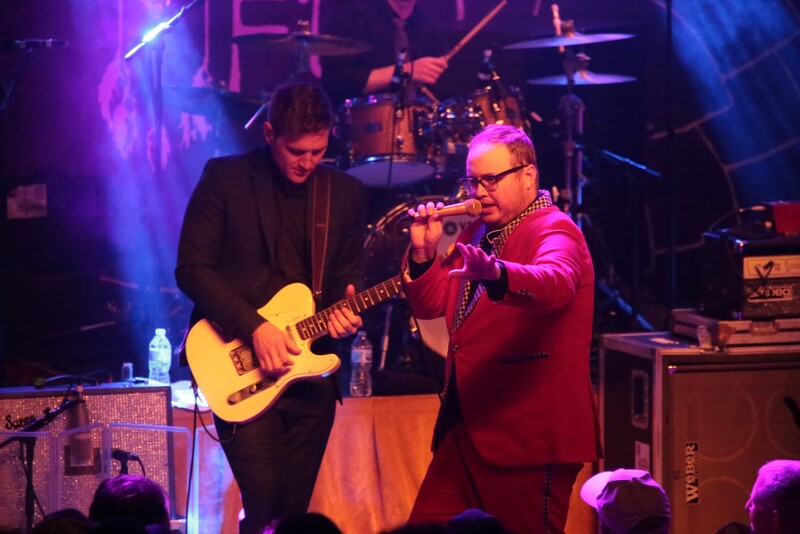 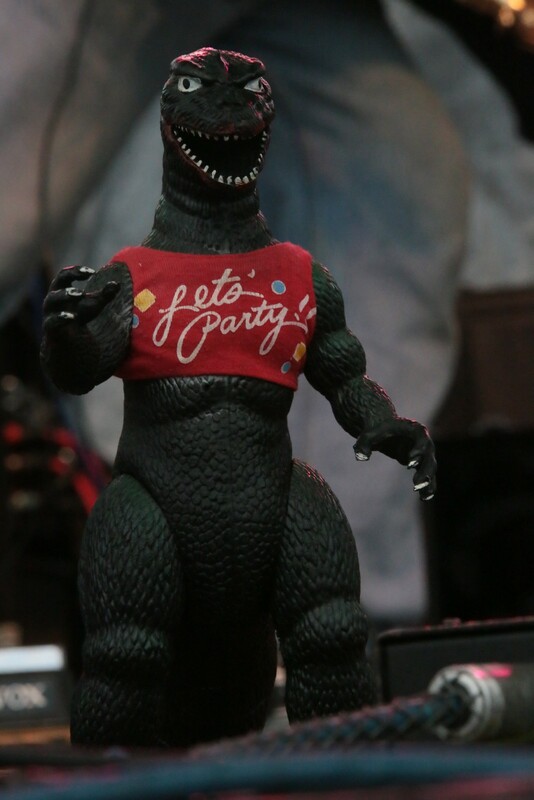 They're known for their positive lyrics and made up for their unexcused tardiness by playing a high-energy show that got the crowd bouncing with jazzy horn lines and a deep bass groove. 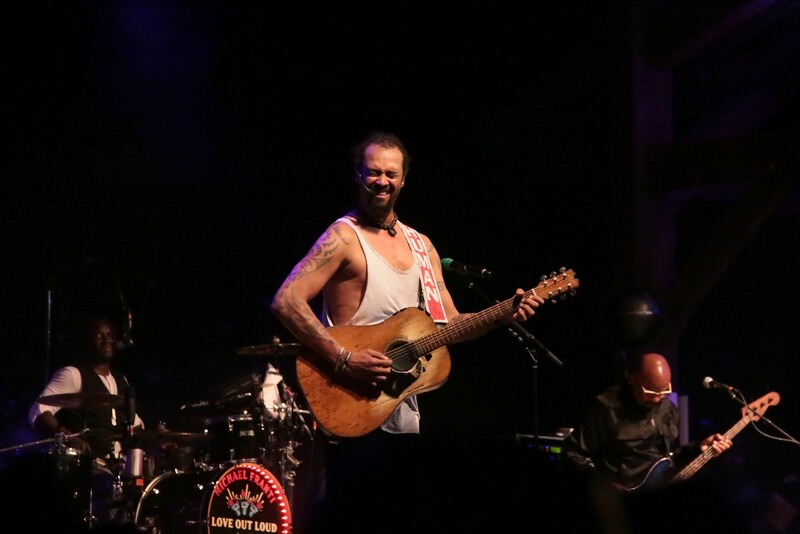 Michael Franti and Spearhead were the main headliners for Friday night. 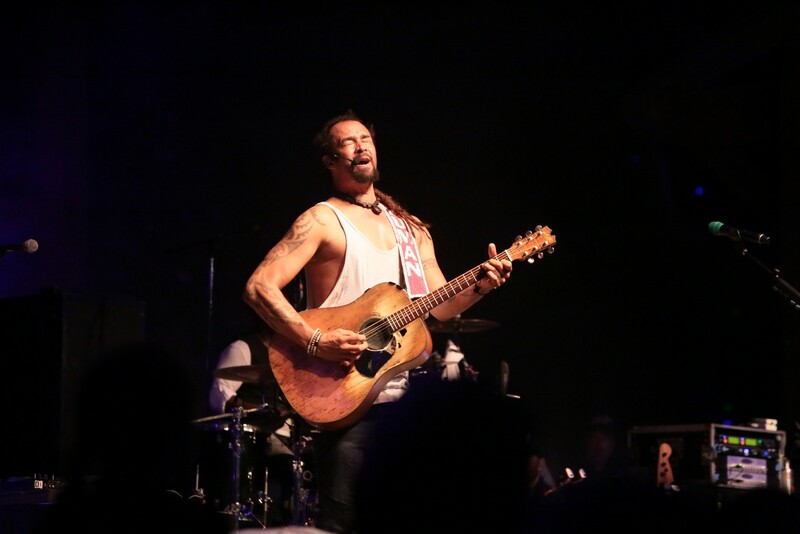 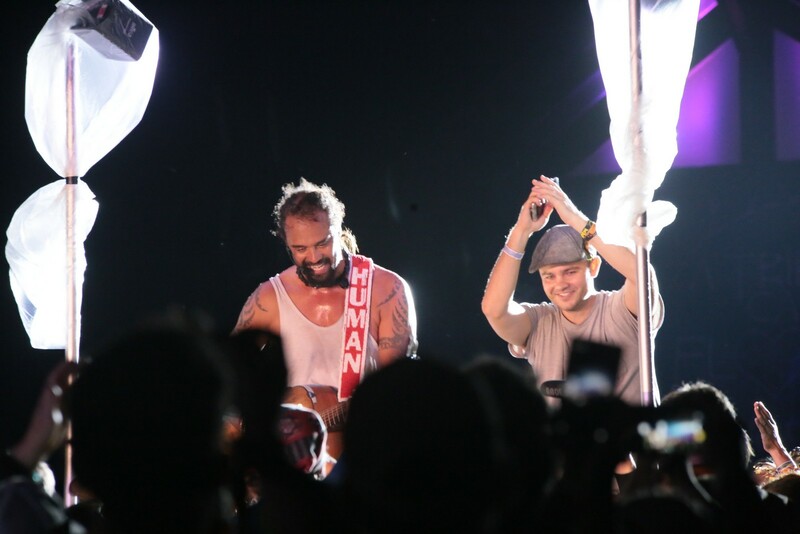 At one point Franti got off the mainstage and made his way to a platform in the middle of the field. 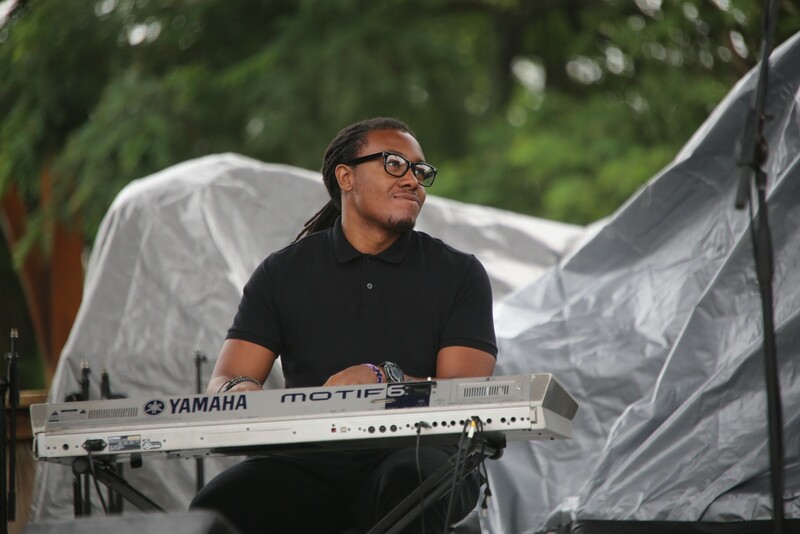 There he entertained the back half of the audience with a few solo numbers while bringing up various people to share their joy and dance moves. 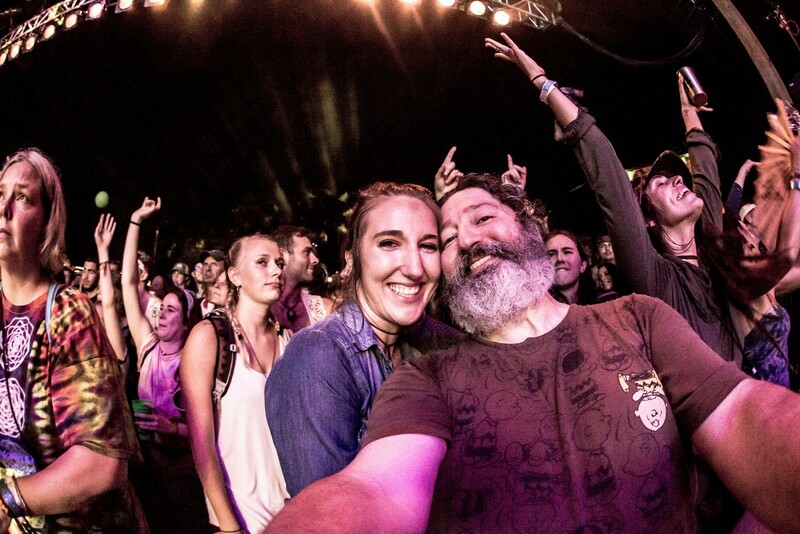 He got slightly political for a moment, which is very typical for him, telling the crowd, "I wake up every morning and the first thing I do is kiss my wife...and the second thing I do is check my phone and say 'what the eff is going on?!' 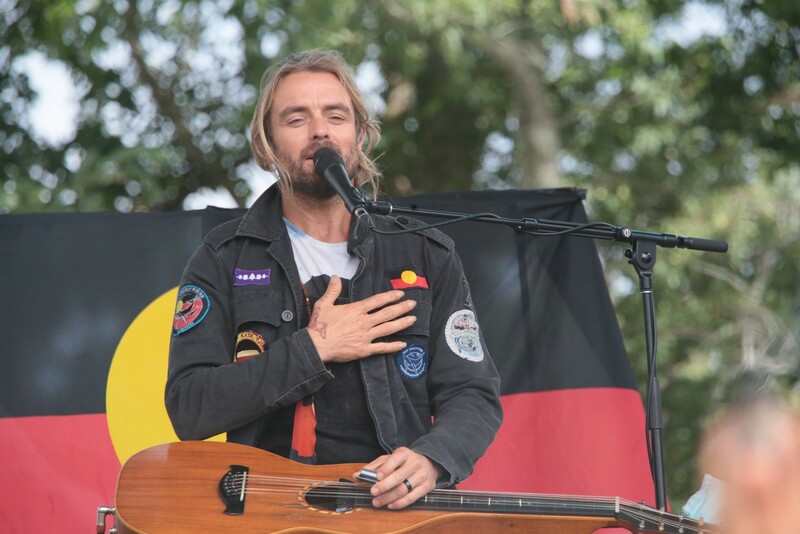 I believe that right now, more than ever, with all the division that we see in our country and our planet, we need those of us who care about our planet to be speaking out from our hearts, louder than we ever have before." 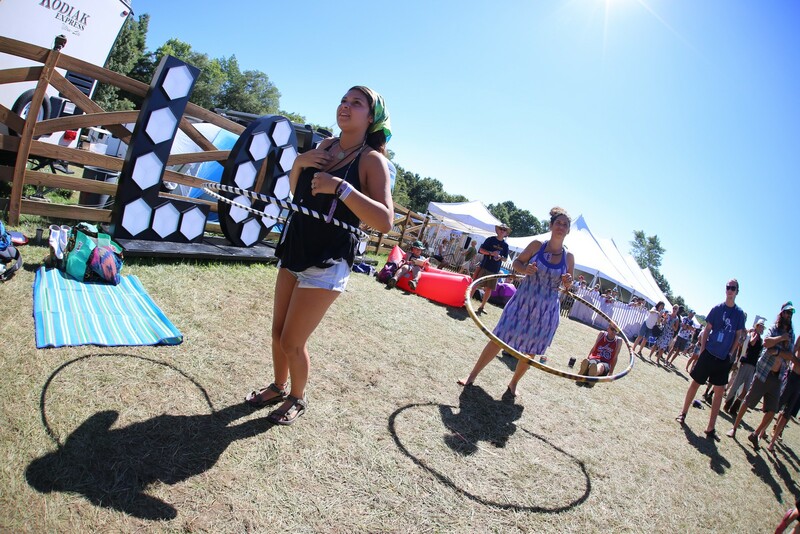 At one point, Maria Ekaterina got onstage to do some fancy "hooping" with him. 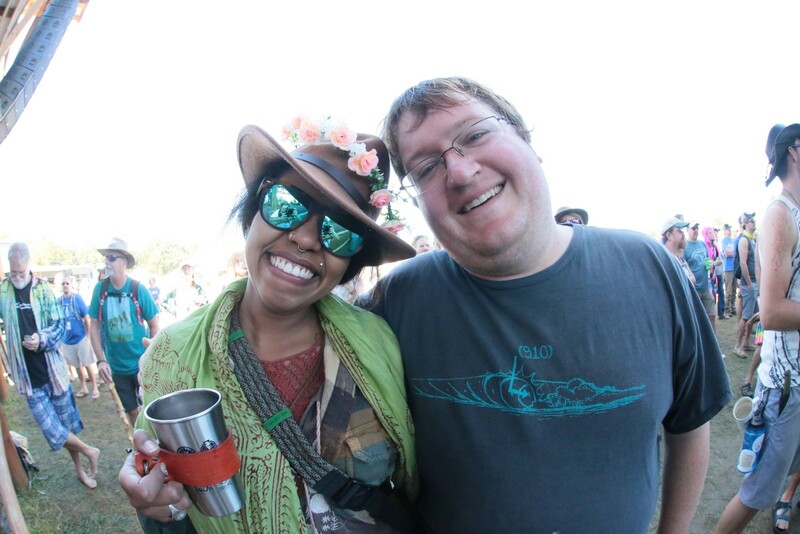 Little did she know that her long time boyfriend and well-known FloydFest photographer Roger Gupta, had a little surprise for her. 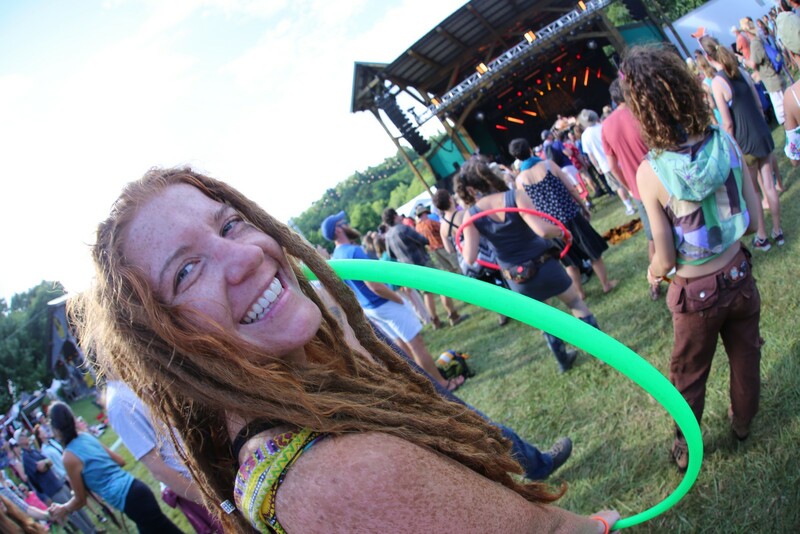 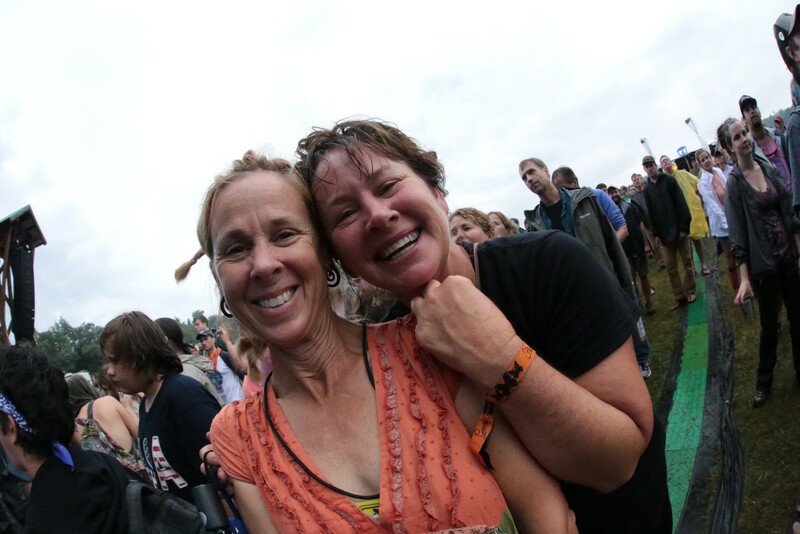 Another beautiful FloydFest moment. 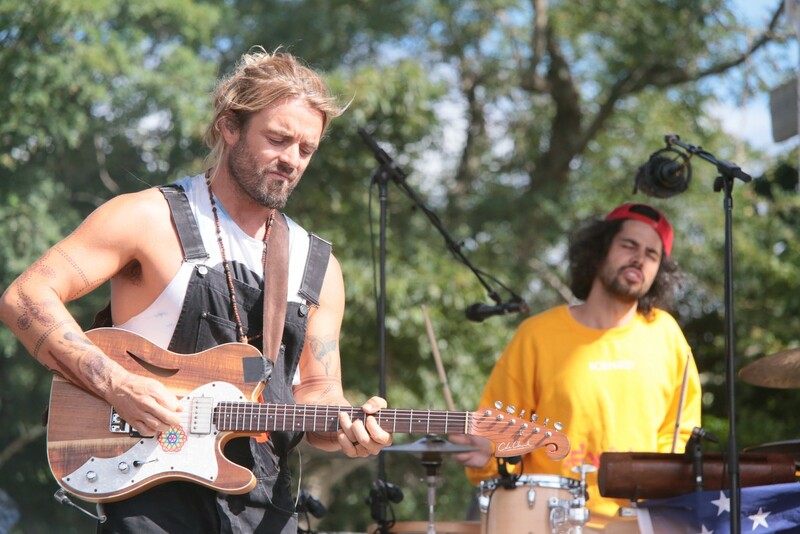 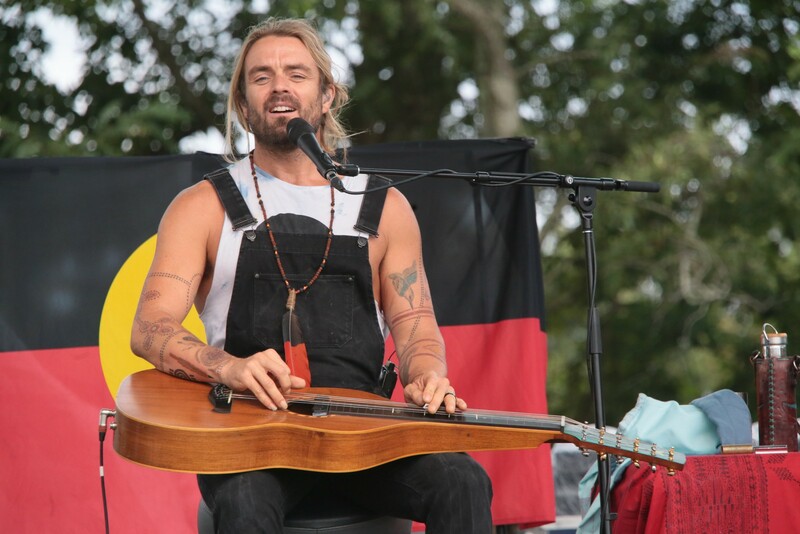 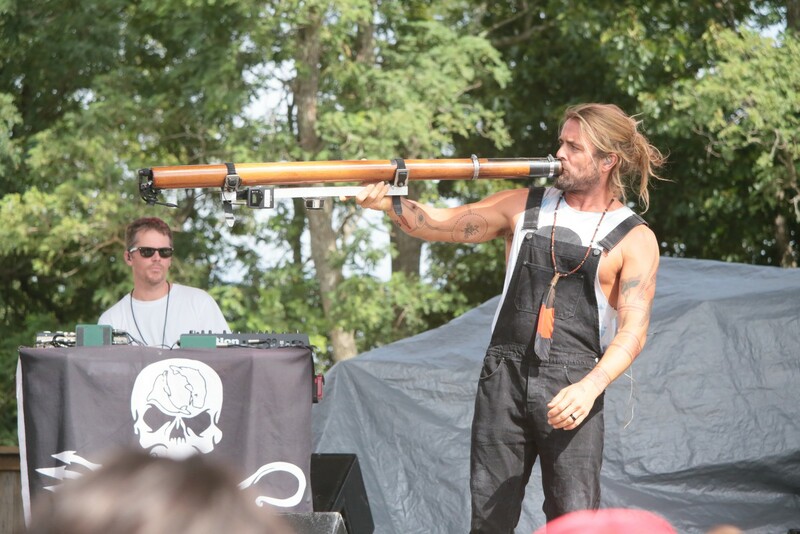 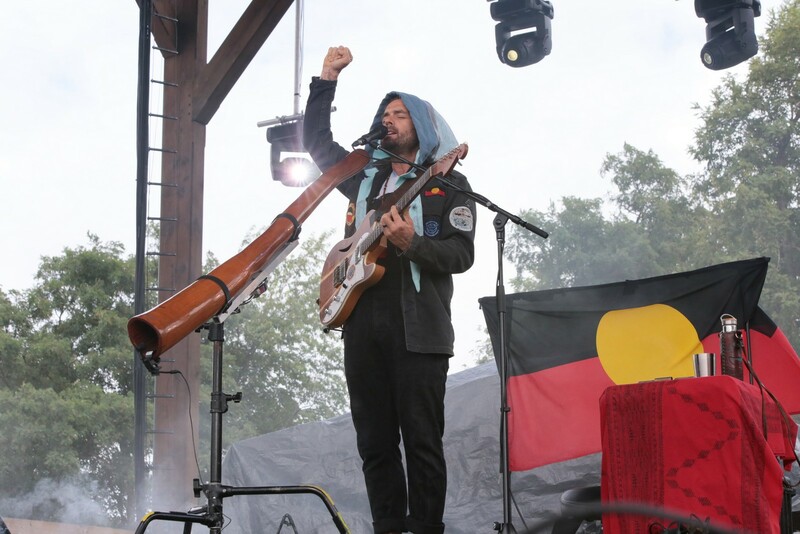 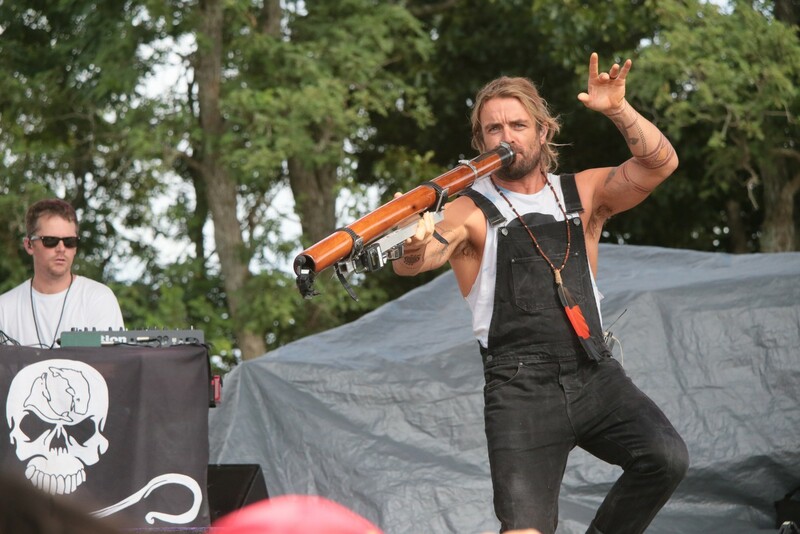 One of the most memorable sets of Saturday was Xavier Rudd. 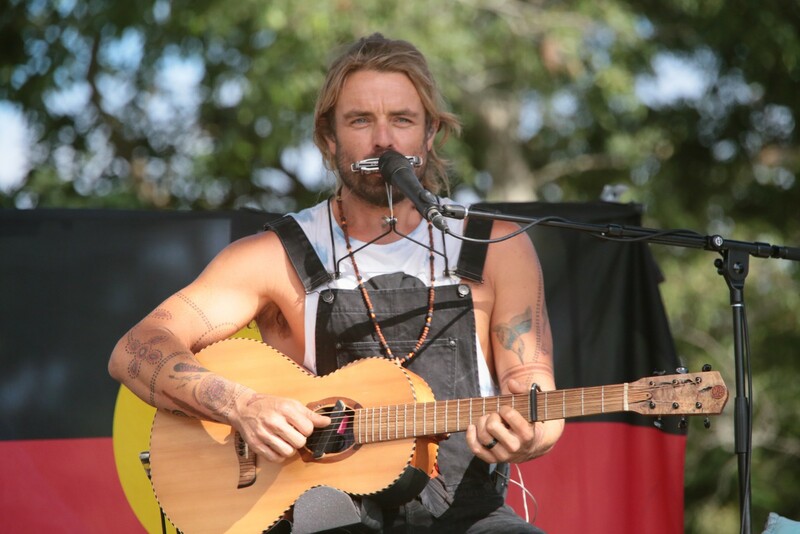 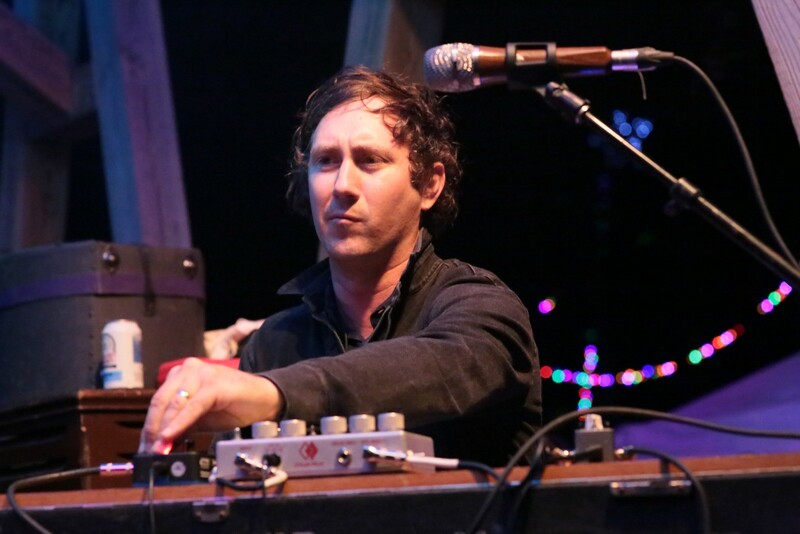 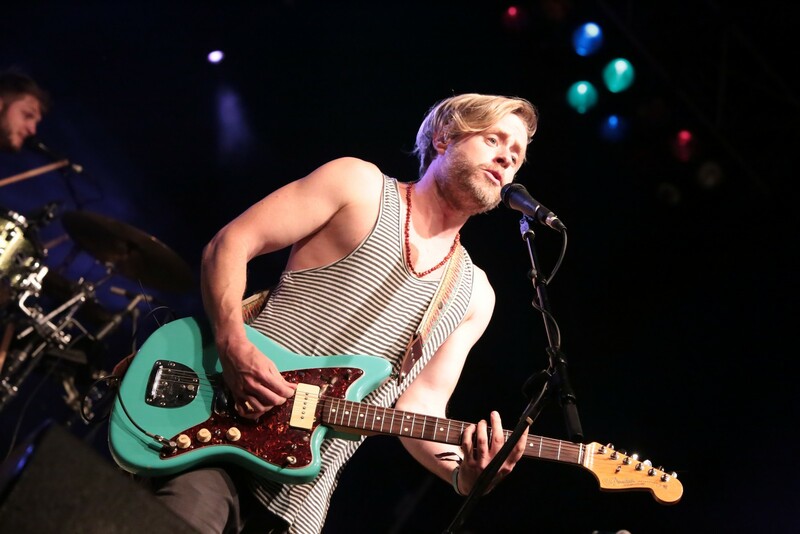 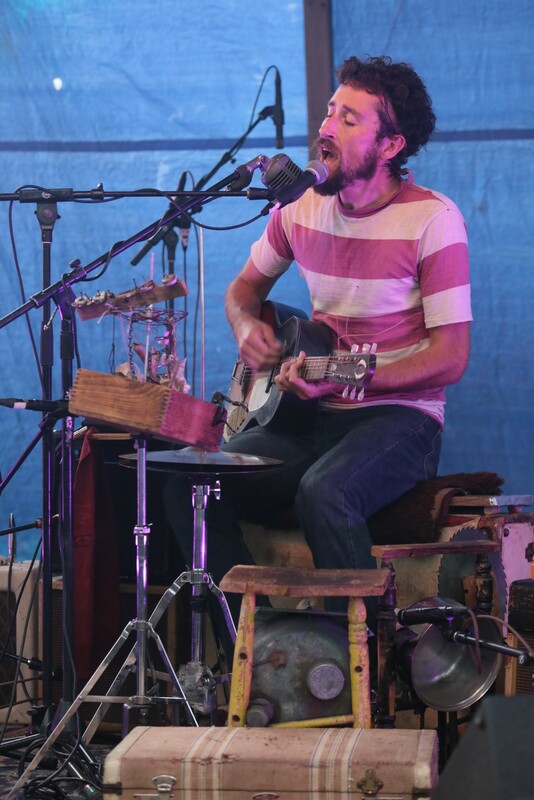 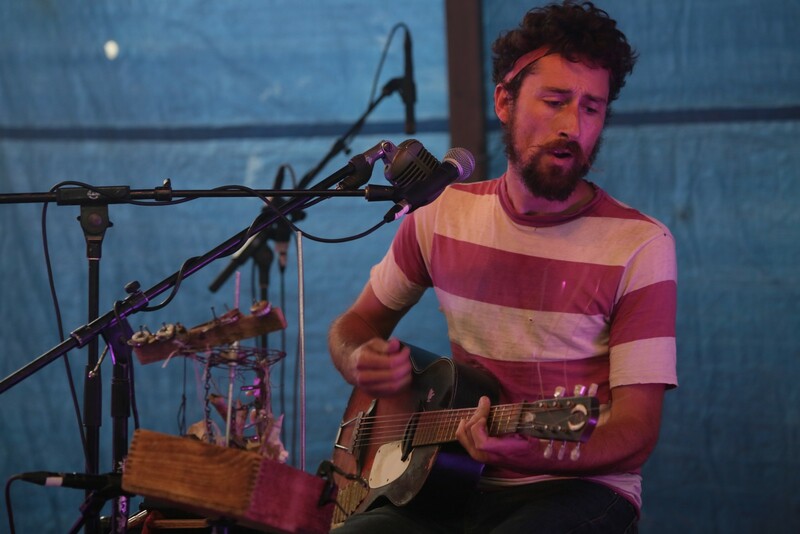 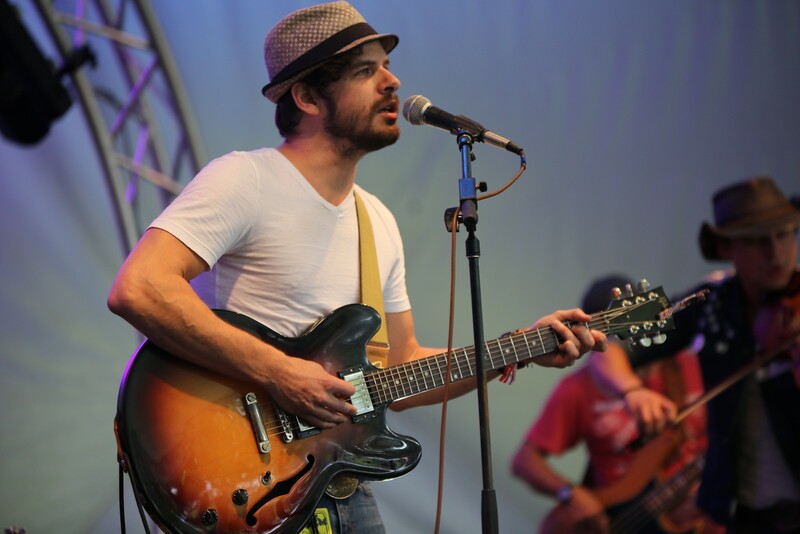 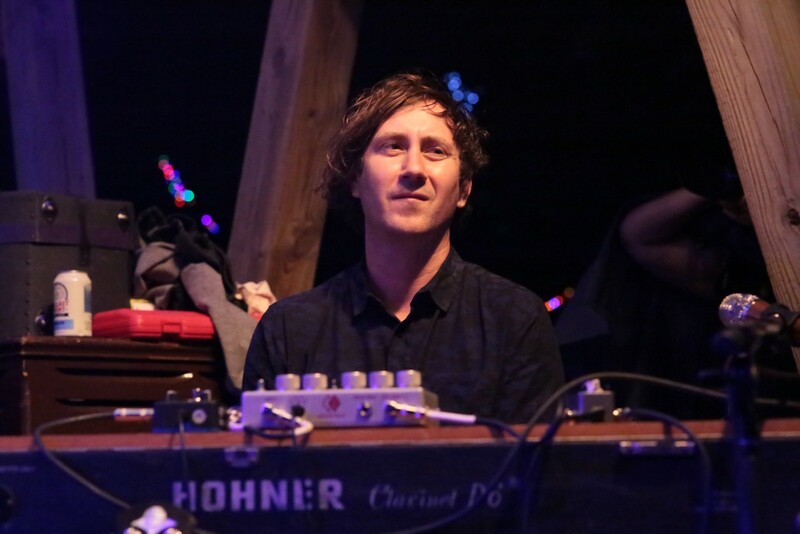 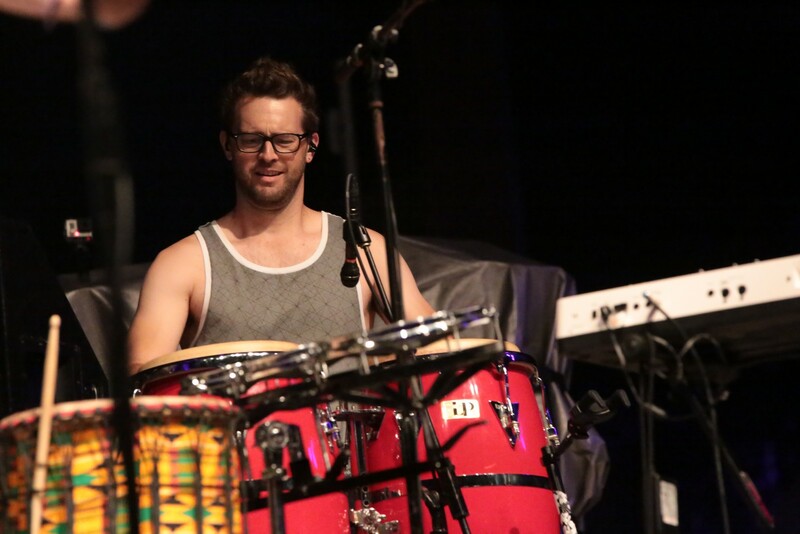 Rudd is a singer-songwriter and multi-instrumentalist from Jan Juc, Australia. 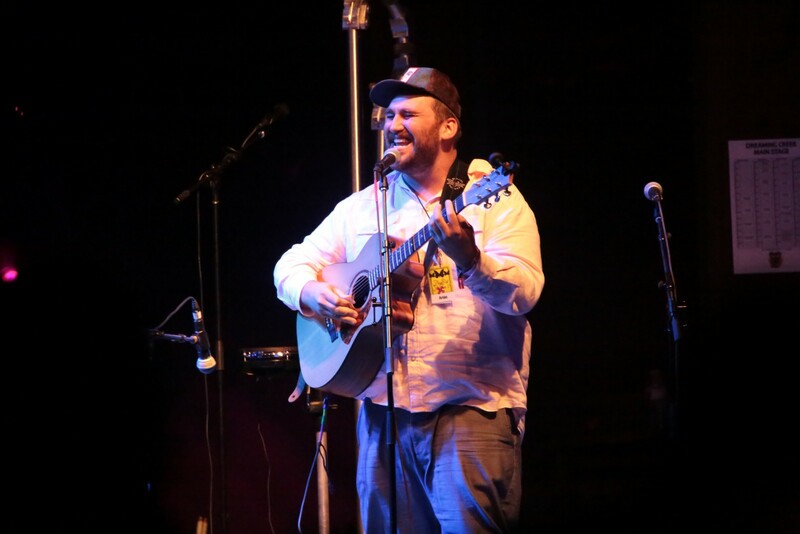 His music is described as "socially conscious," and he's found a fine balance of singing about the things he cares deeply about, especially the environment, without ever coming off as preachy. 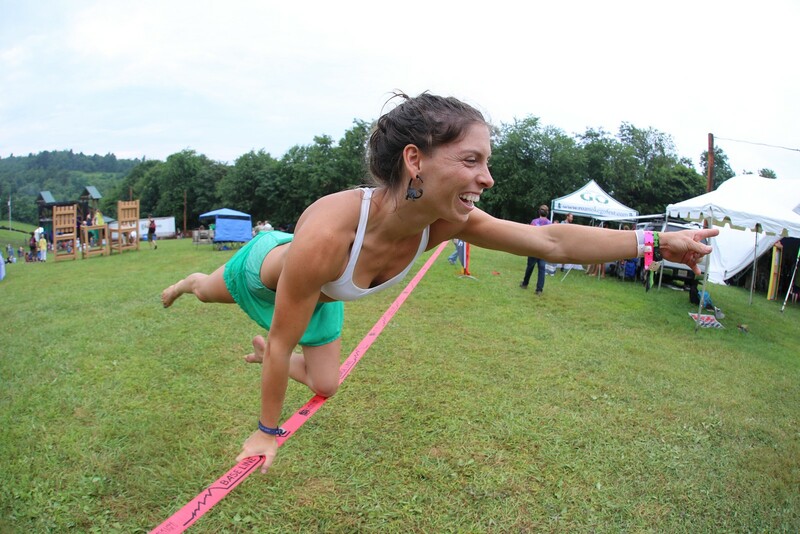 That's a much harder balance to find than most people realize. 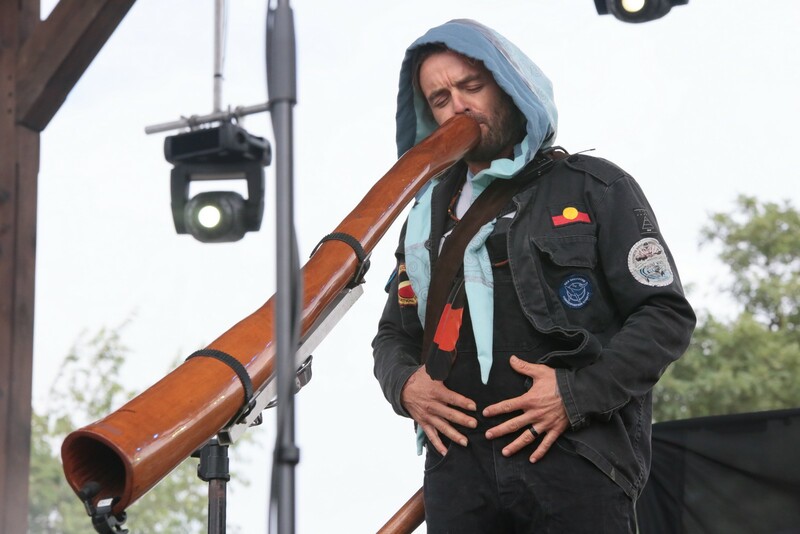 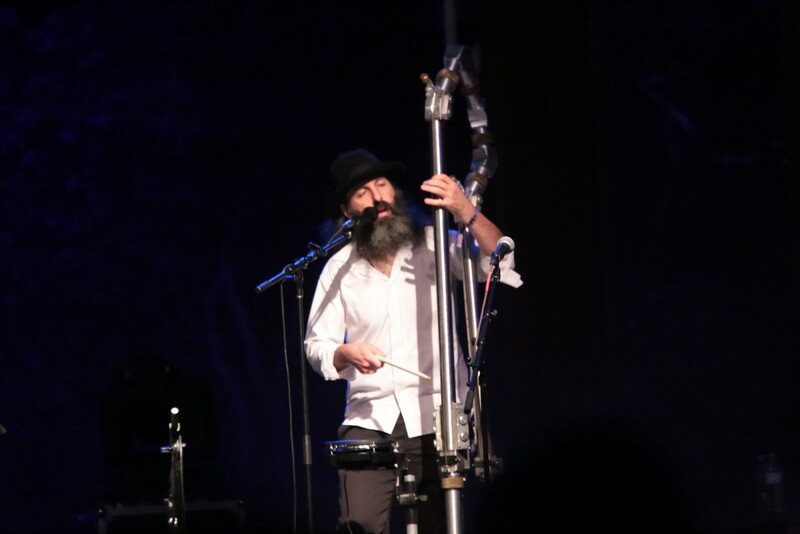 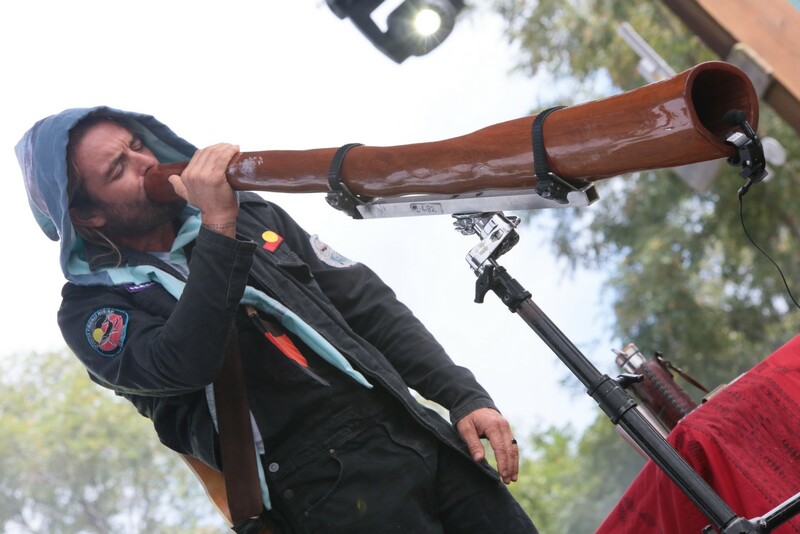 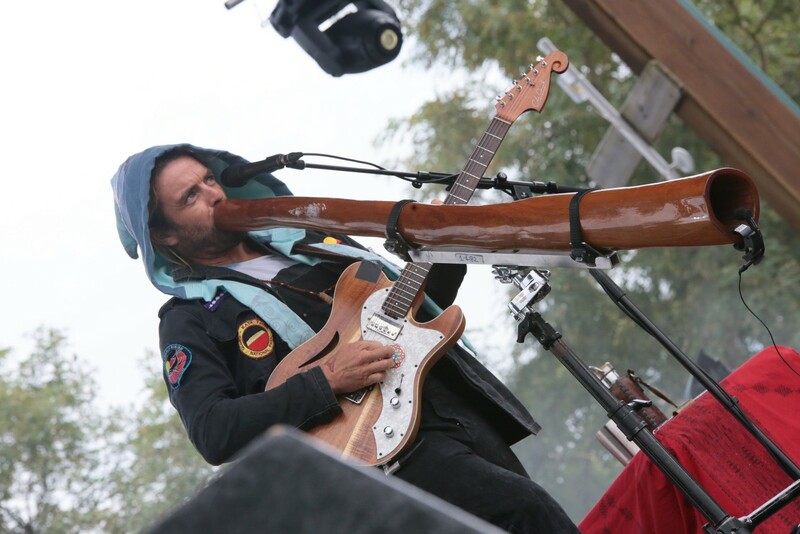 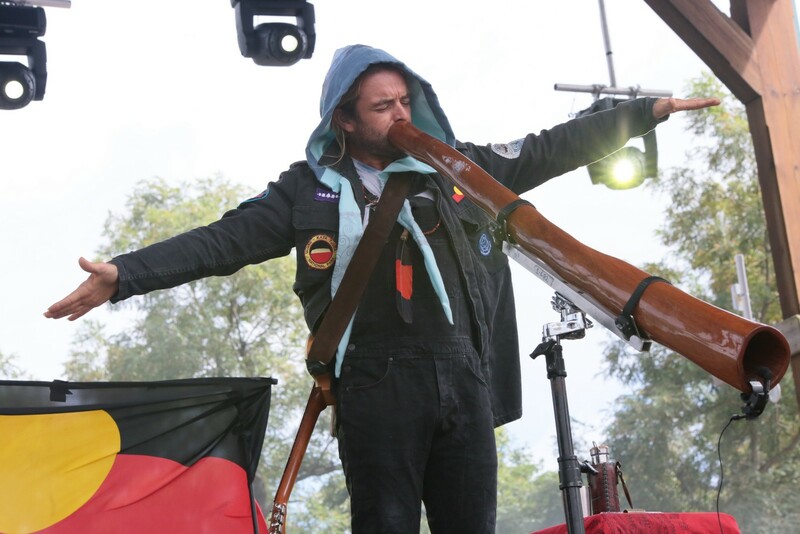 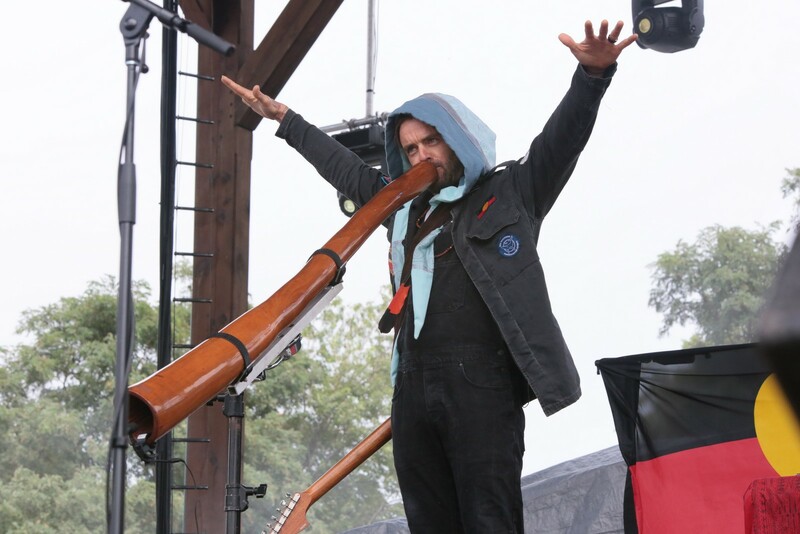 He's also one of the most fascinating didgeridoo players you'll ever see. 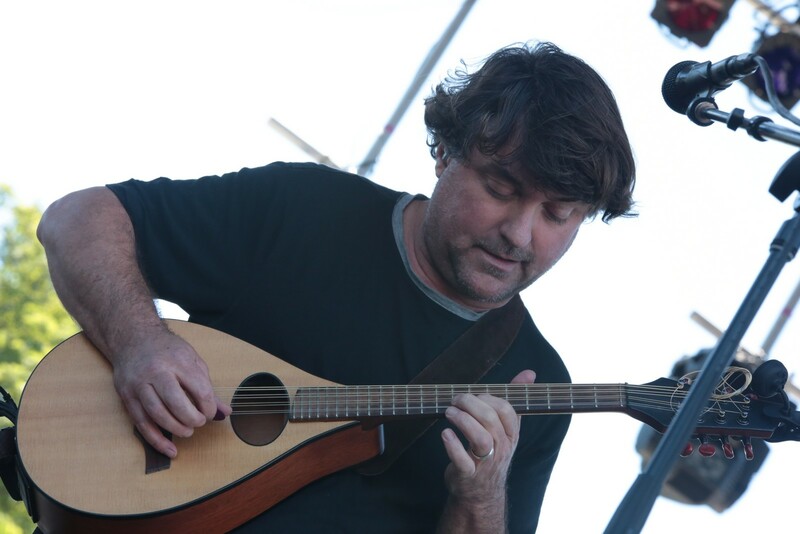 Keller Williams and the T Sisters. 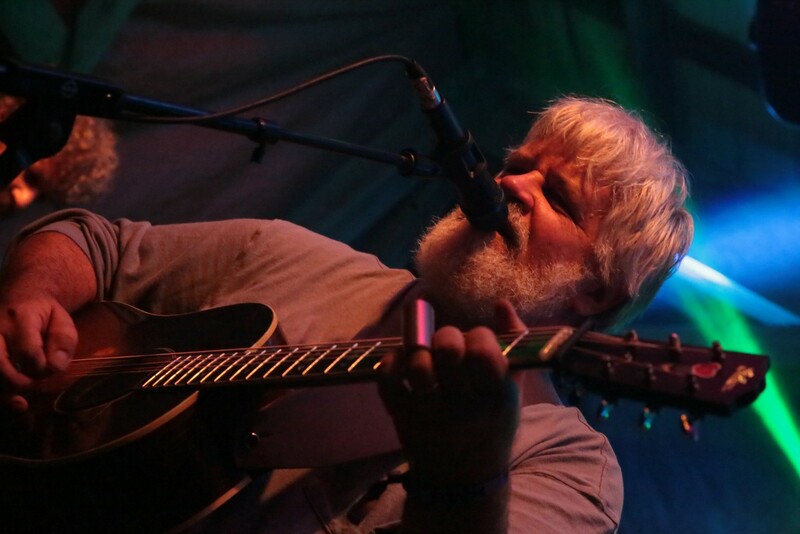 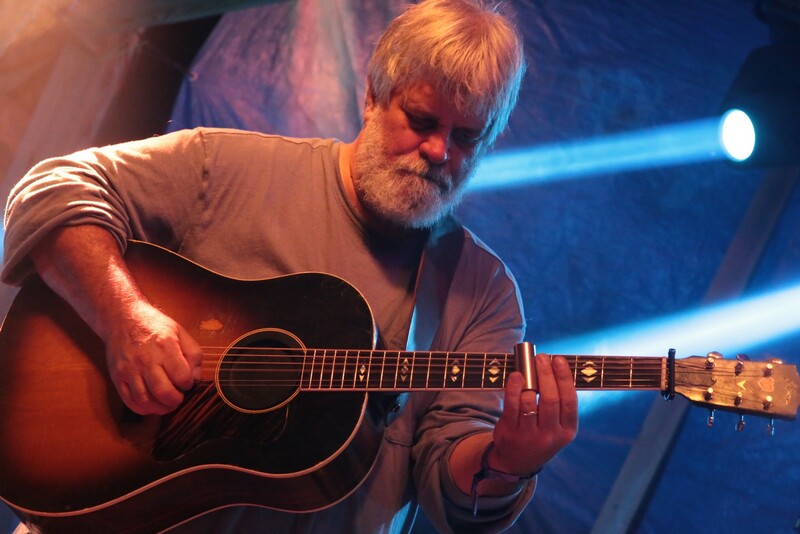 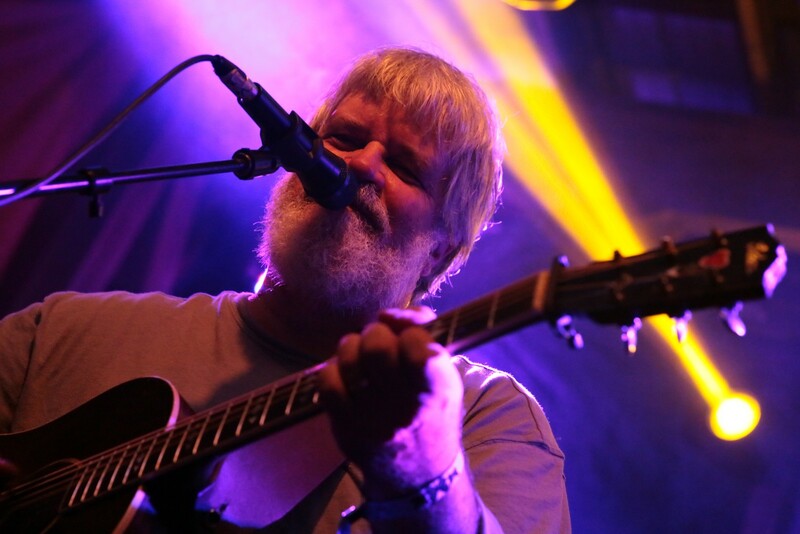 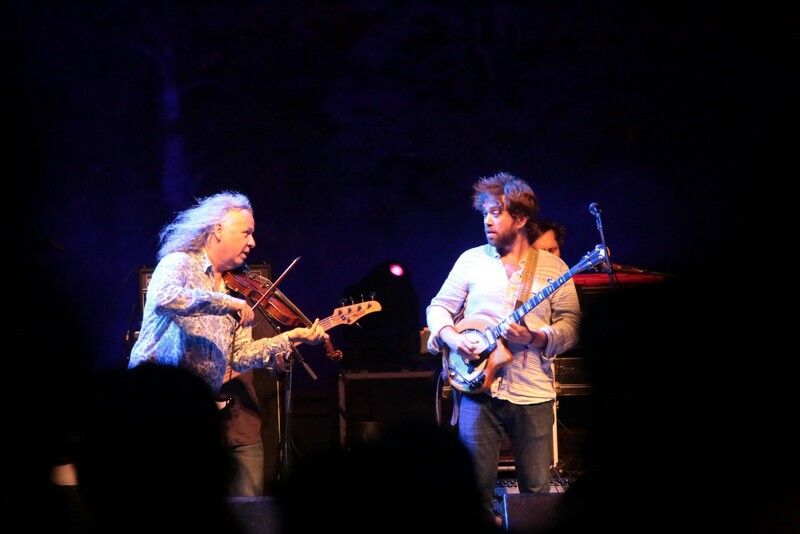 Andy Thorn of Leftover Salmon. 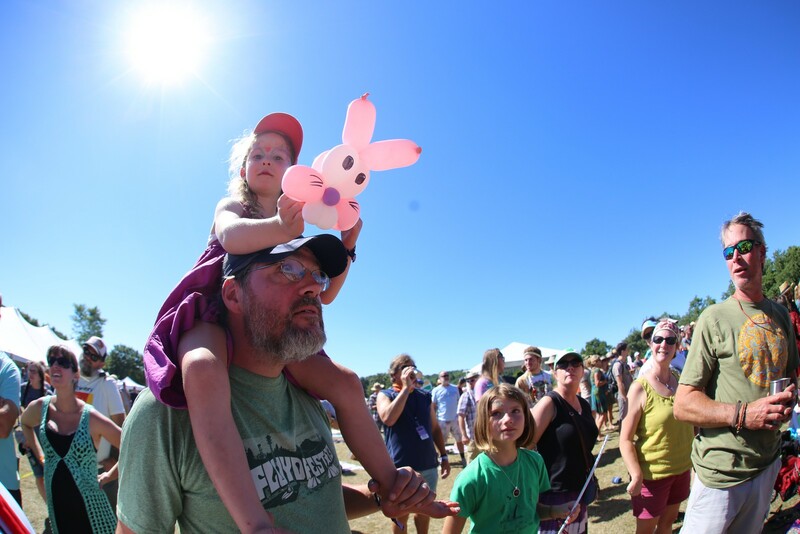 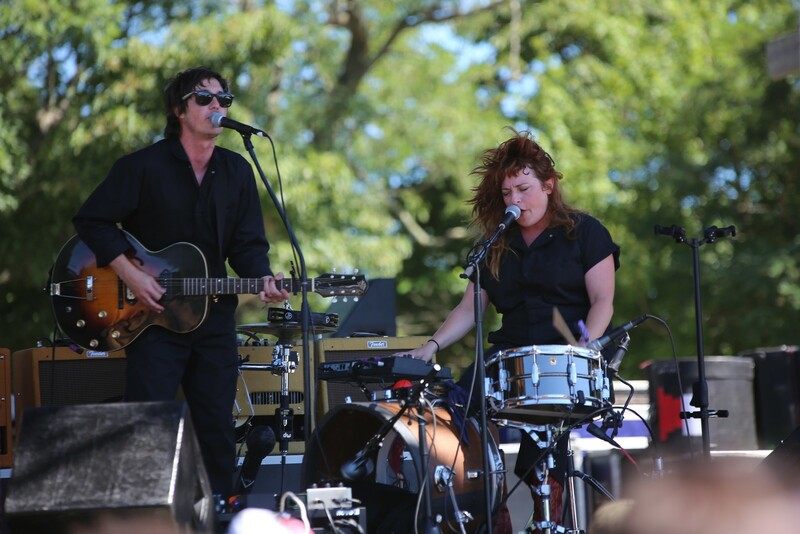 A lot of people looked past the Marty Stuart show that closed out Sunday at the main stage. 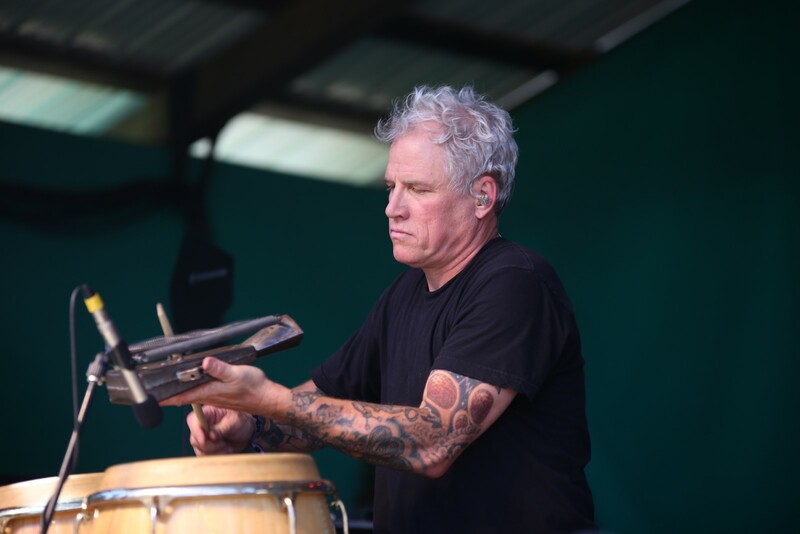 Marty is not just an American music icon, but he's also an historian. 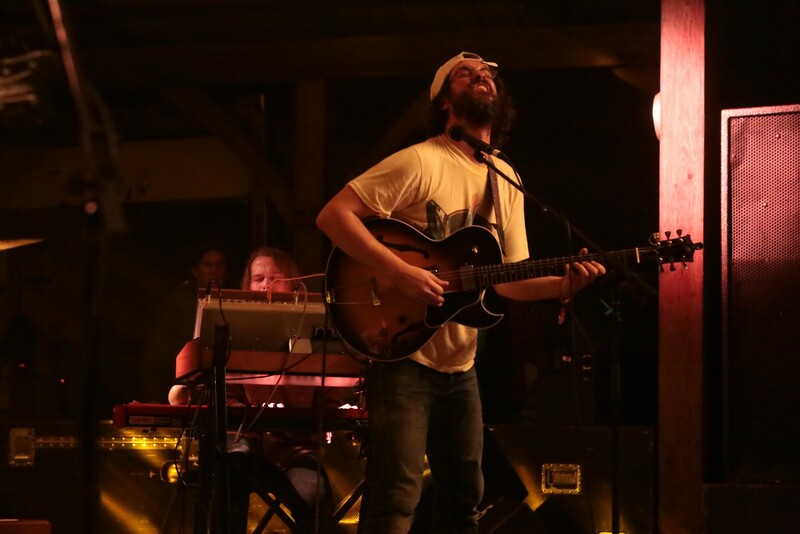 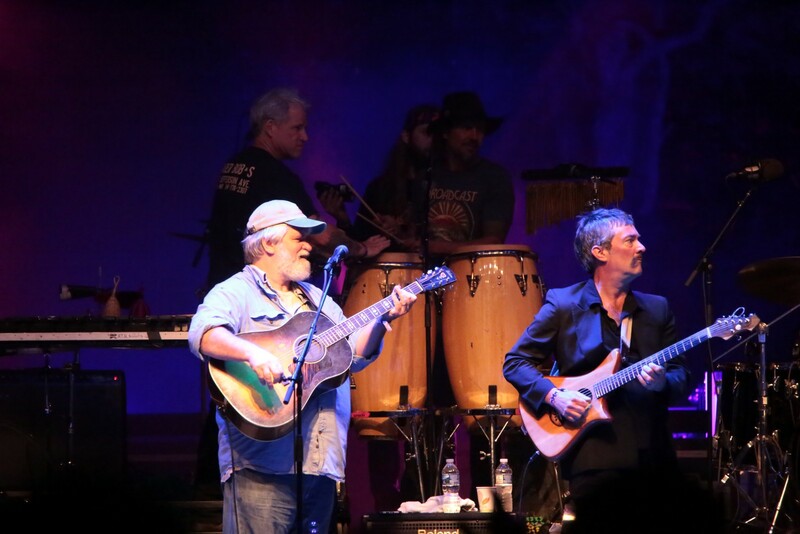 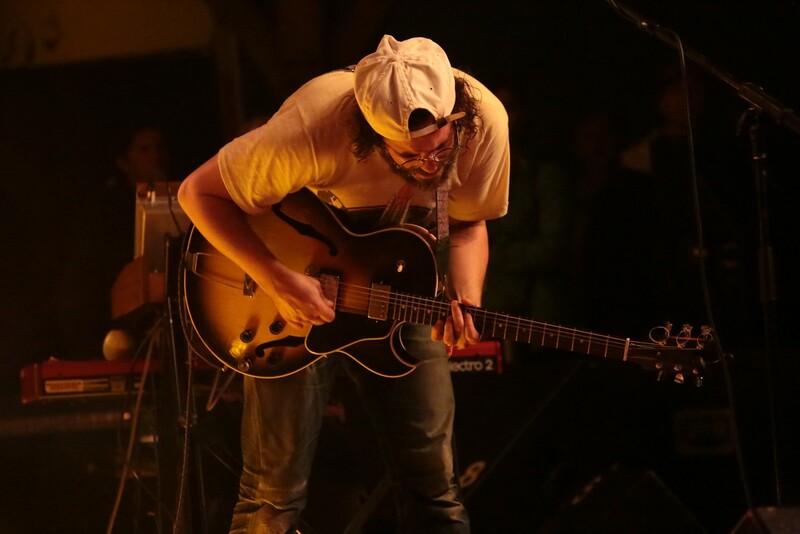 From playing vintage guitars to telling great stories, he puts on a very engaging and high-energy live show. 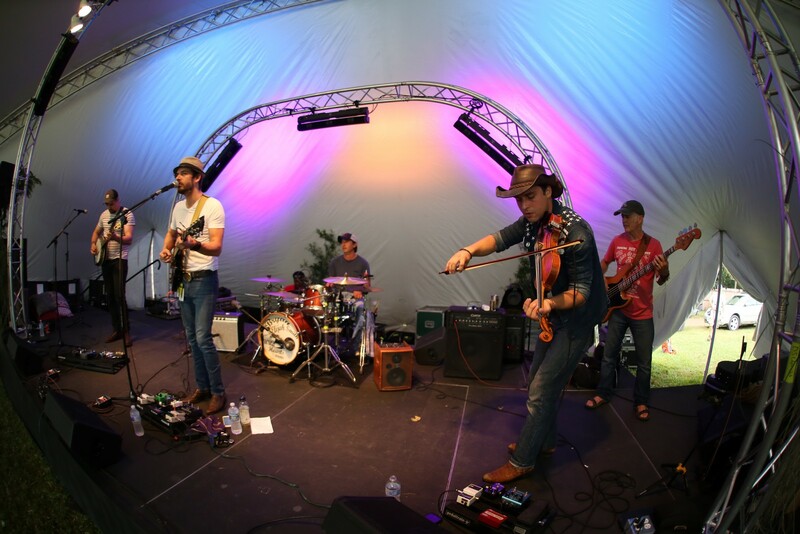 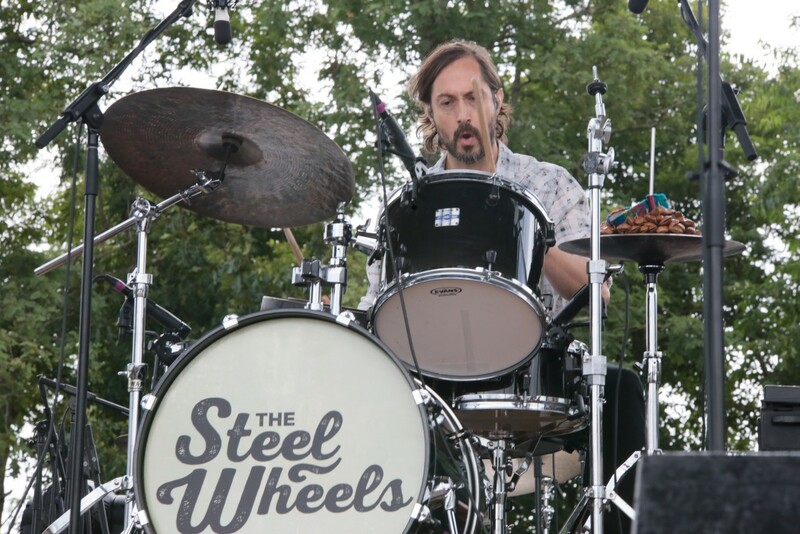 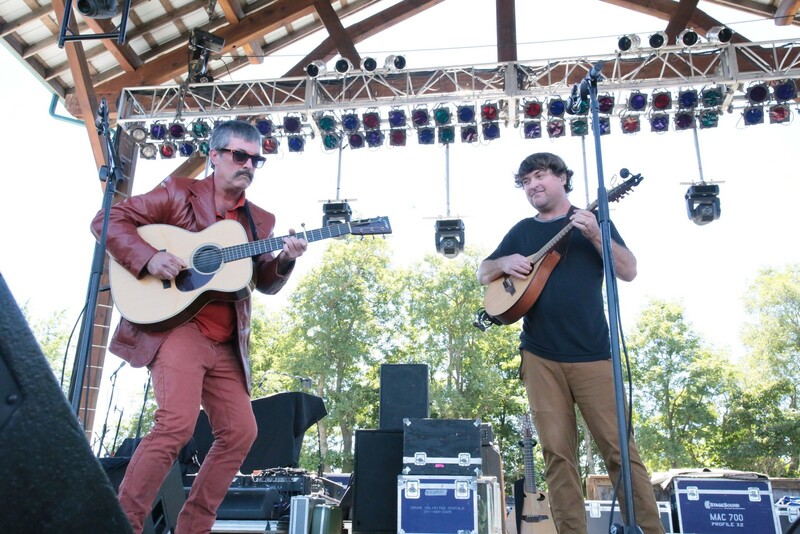 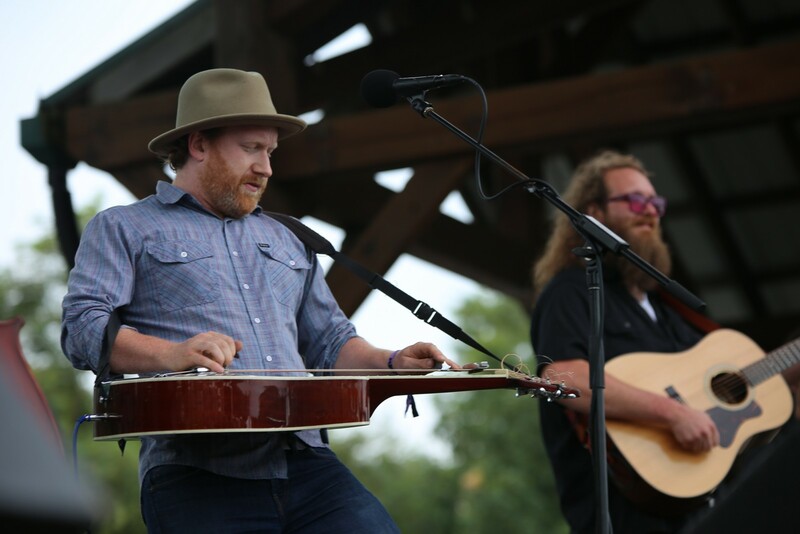 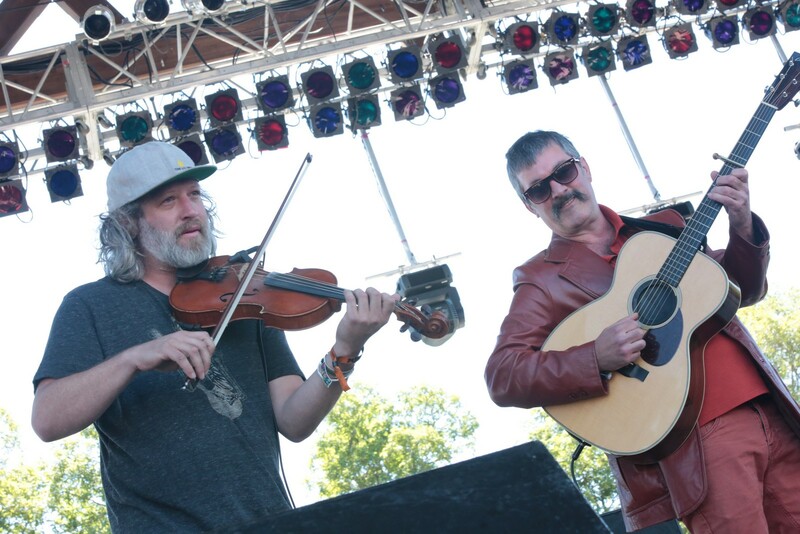 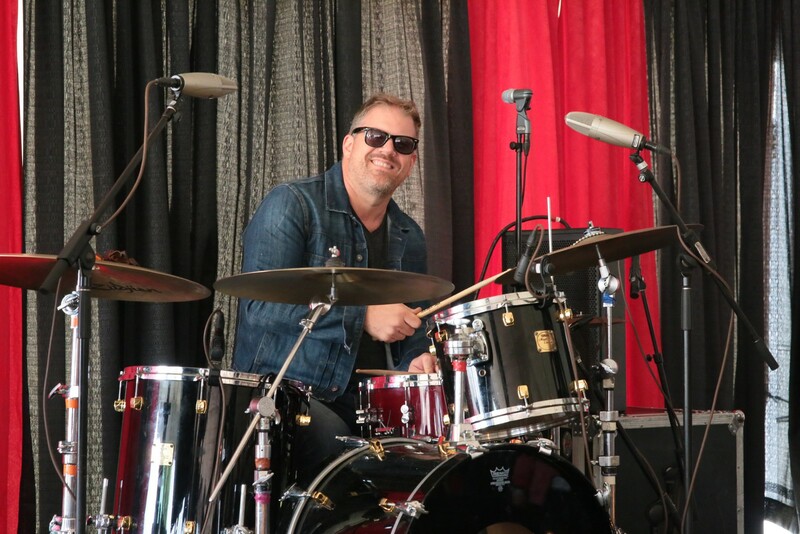 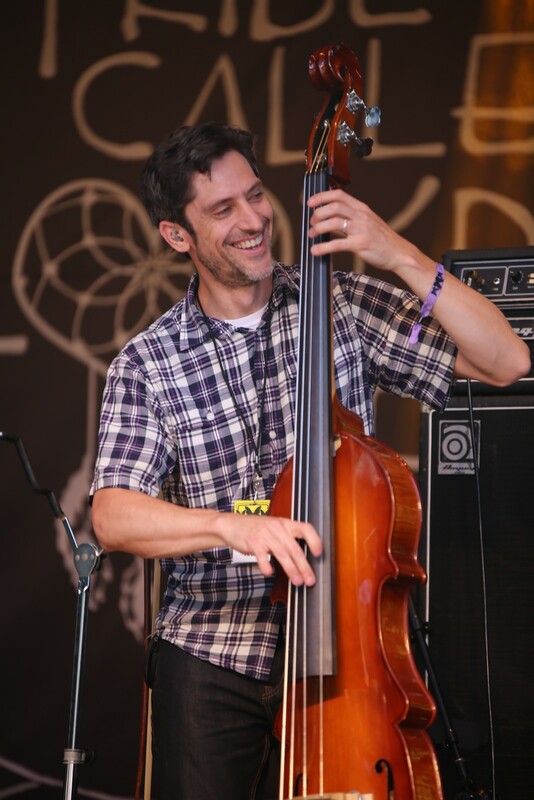 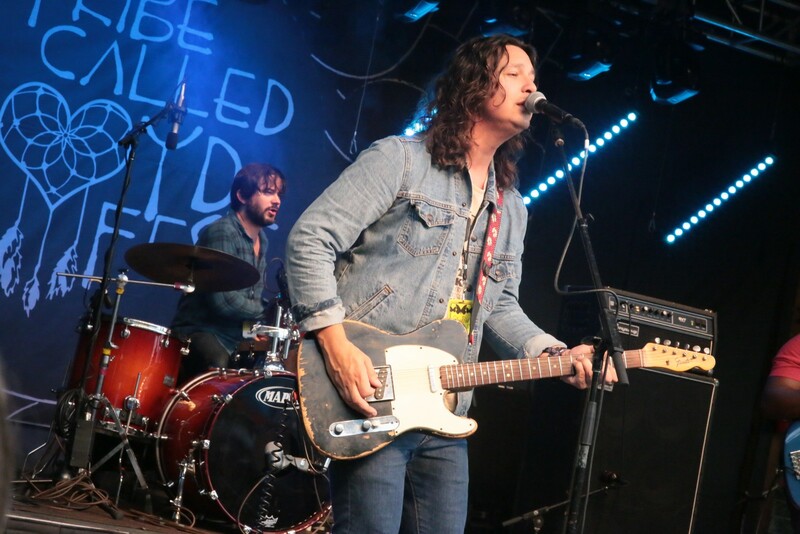 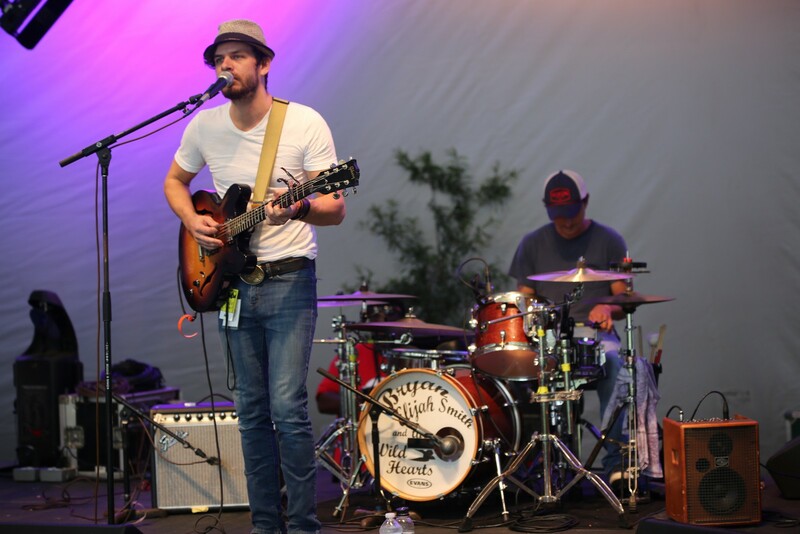 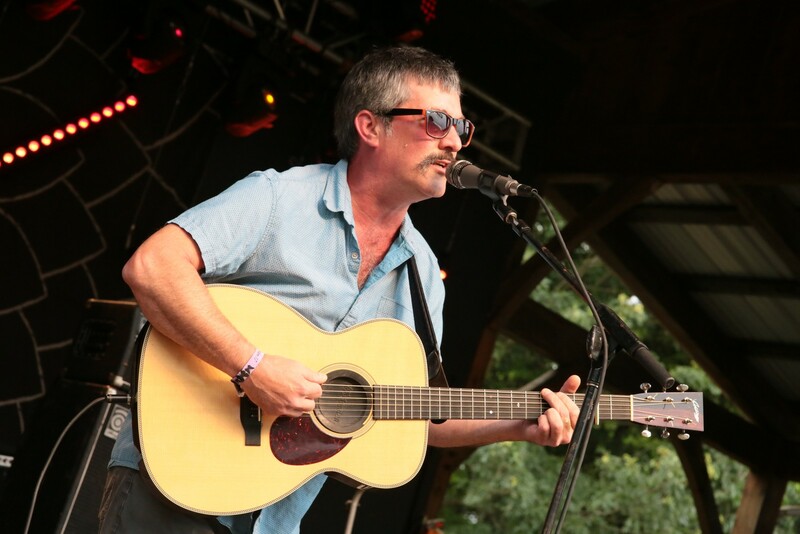 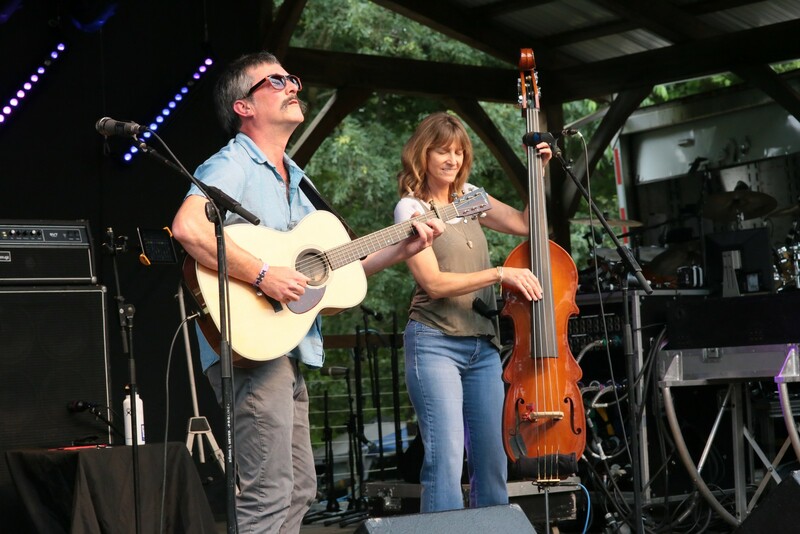 He quickly jumps genres, from bluegrass to honky-tonk to swooning country, Stuart and his band, The Fabulous Superlatives, were one of the highlights of the entire festival. 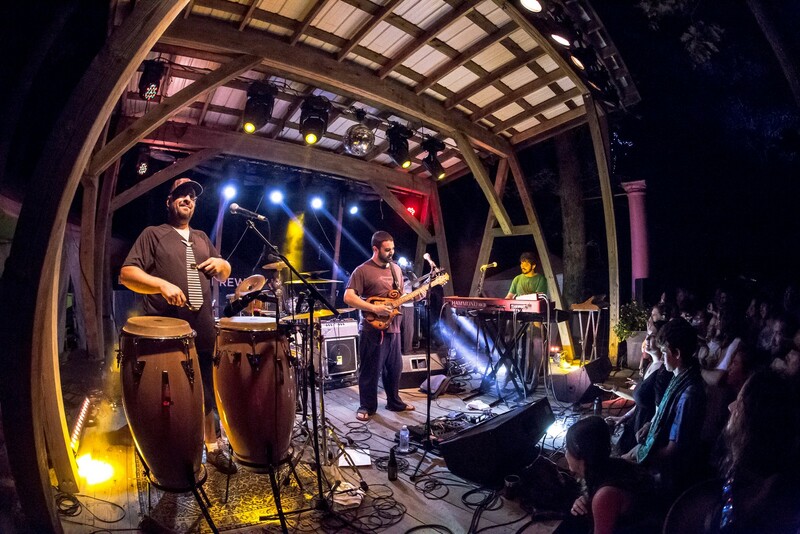 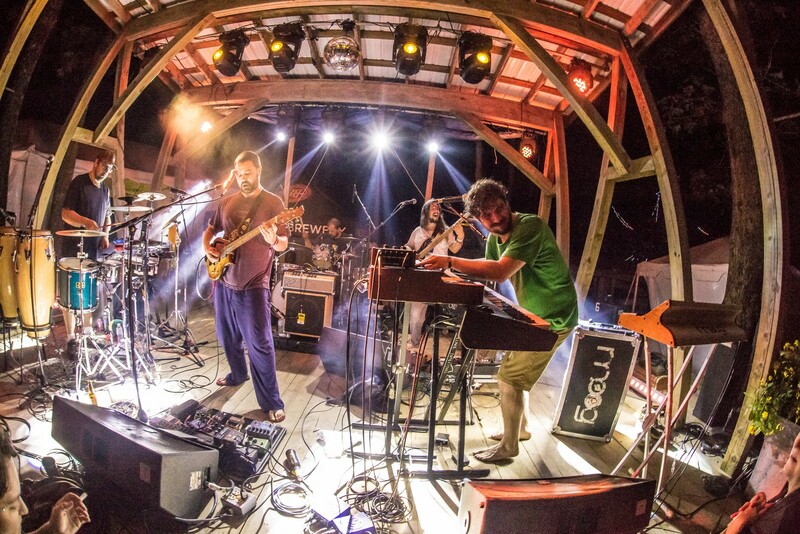 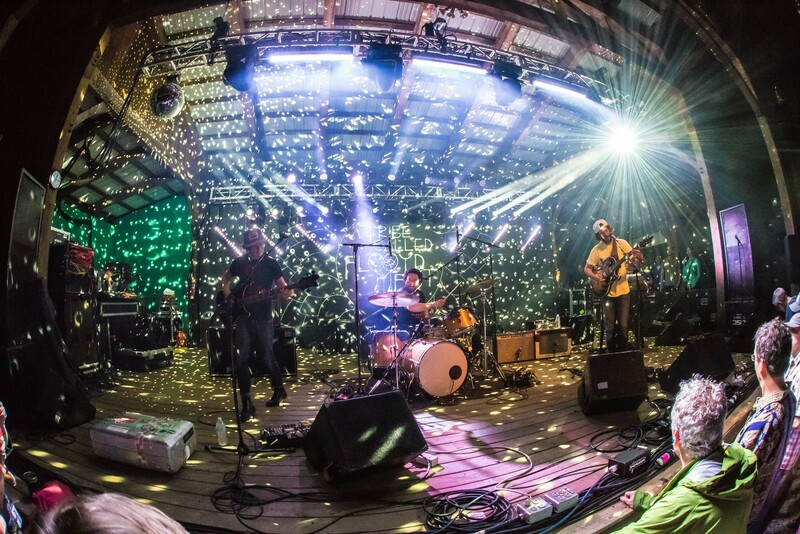 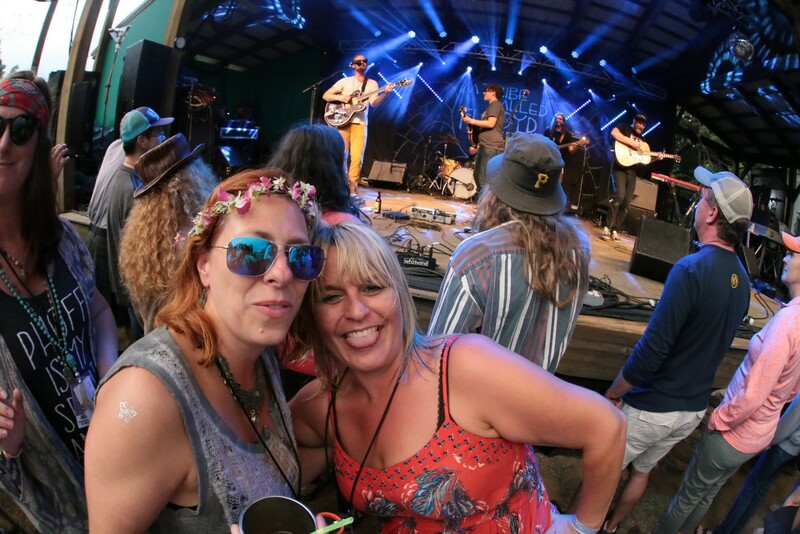 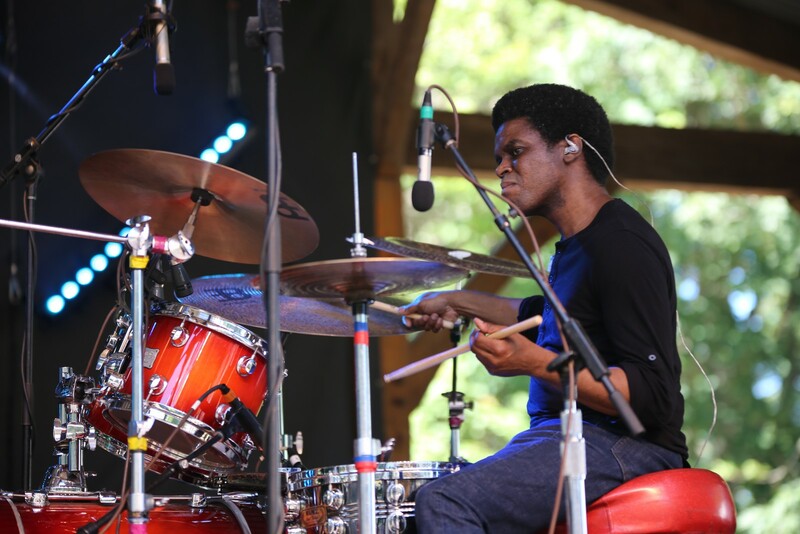 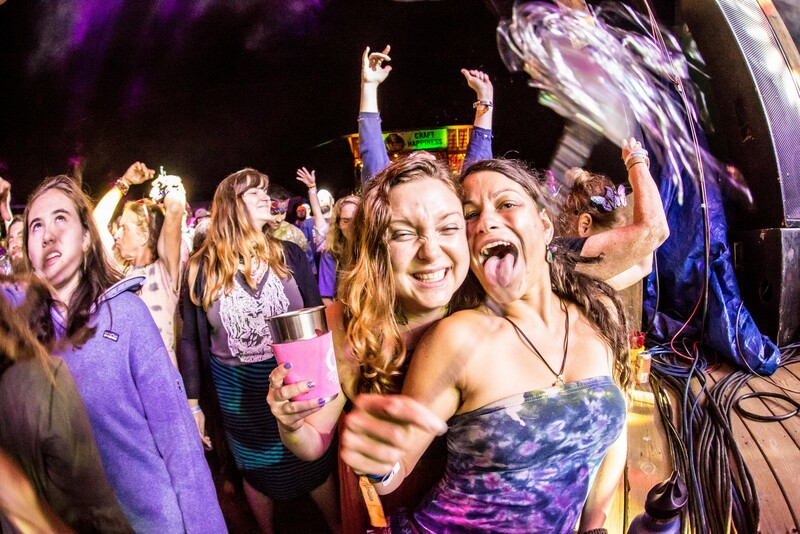 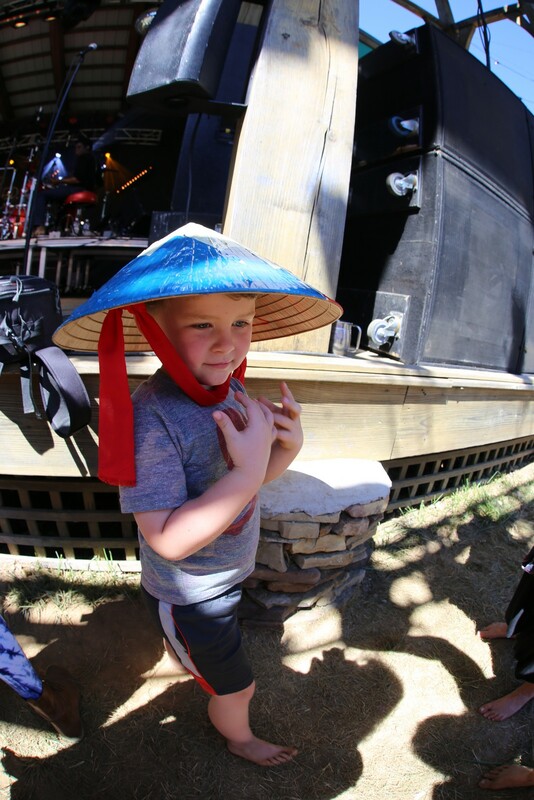 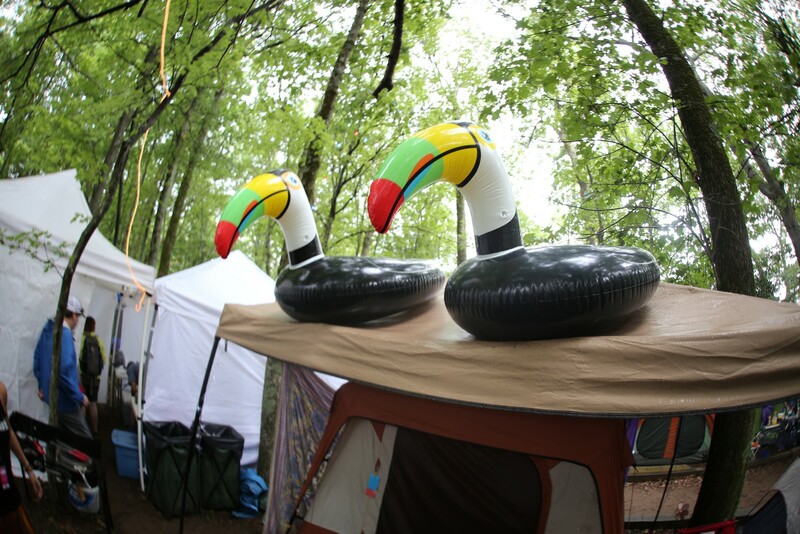 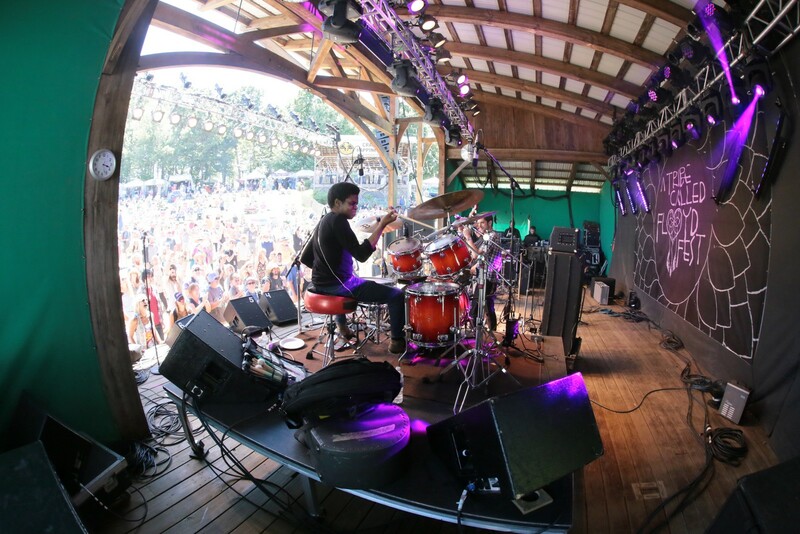 A 2017 FloydFest review would not be complete without talking about Vurro. 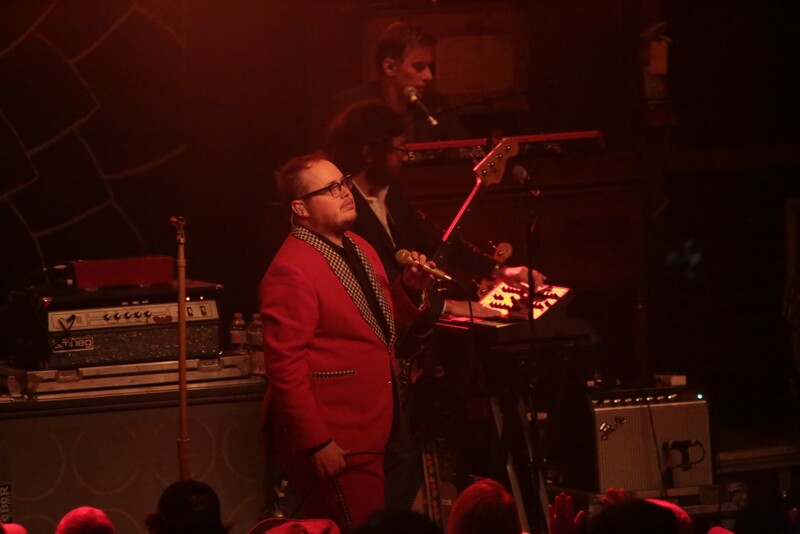 Half-man, half-cow, and all boogie-woogie piano, this show was one of the most interesting and eclectic of the whole weekend and definitely had the largest "buzz." 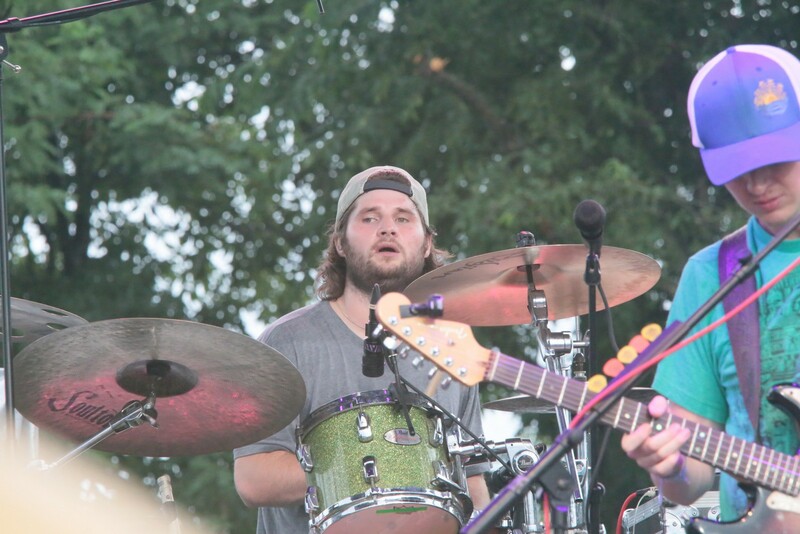 "Have you seen Vurro yet?" 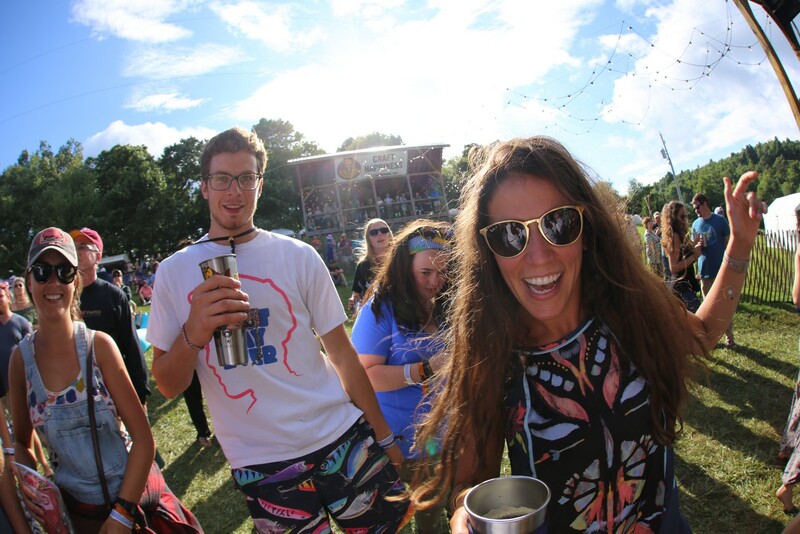 was probably the most common phrase overheard throughout the weekend. 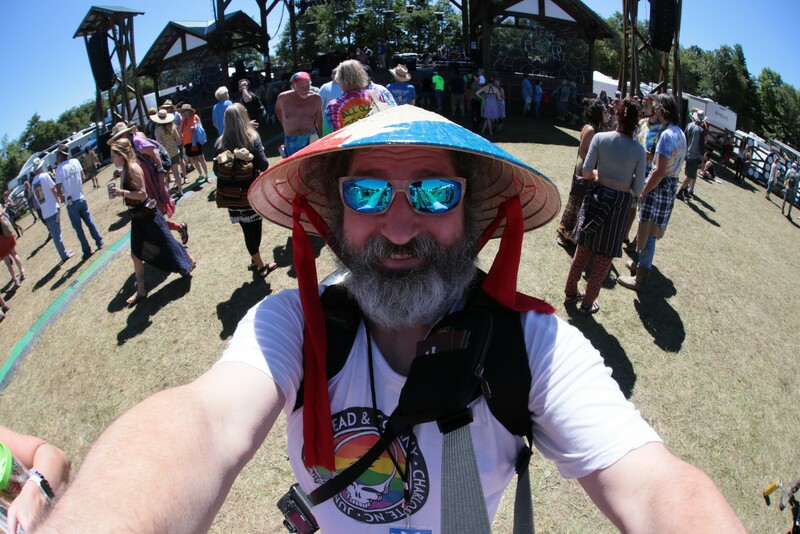 I think it's fitting to end this review of FloydFest with a quote from a good friend of mine, Jamie Reynolds. 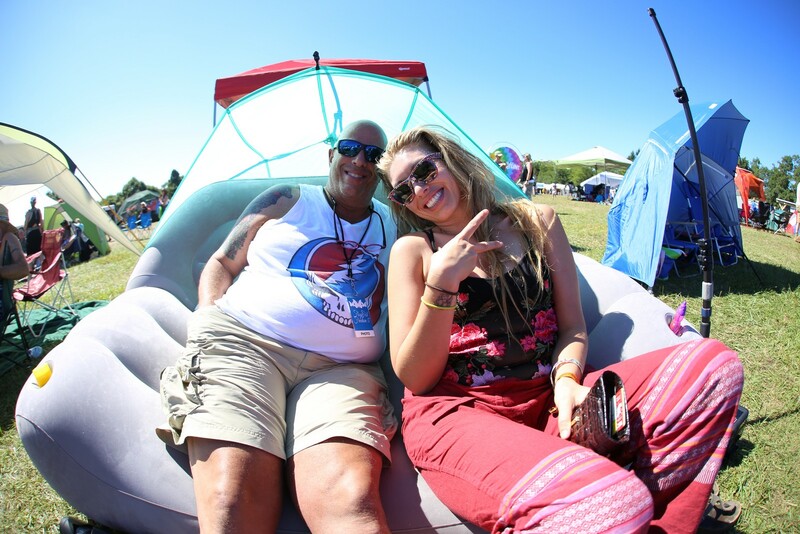 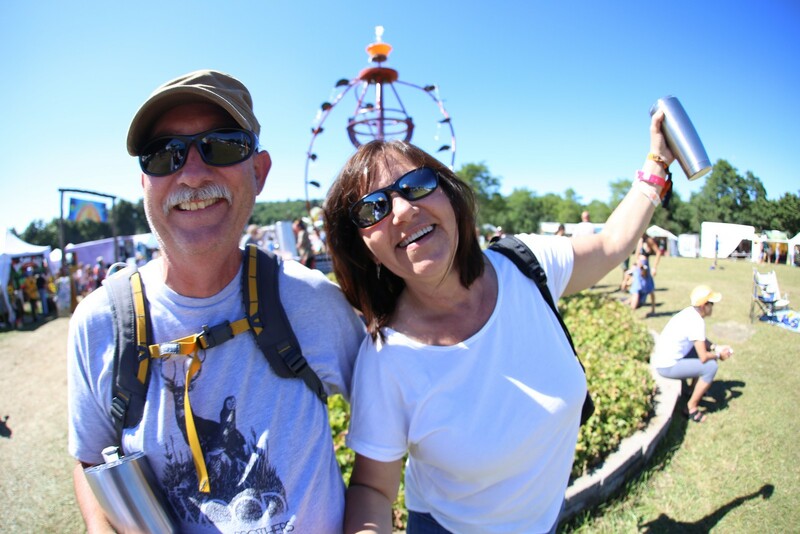 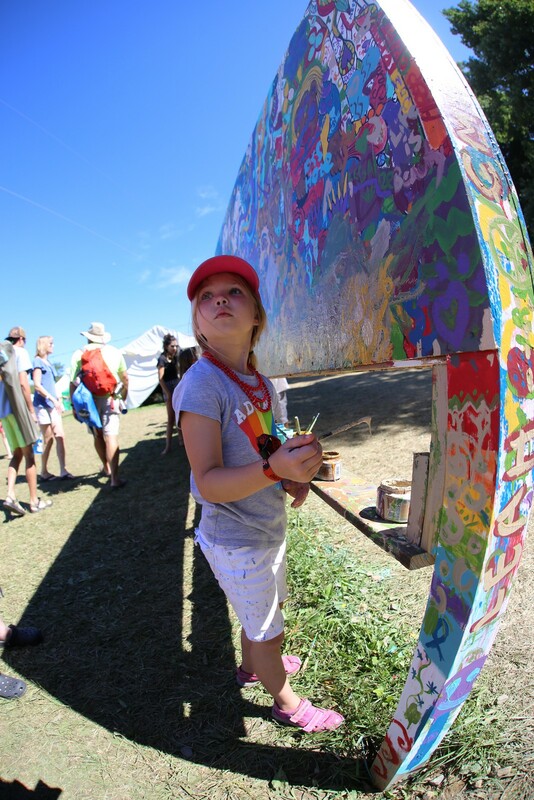 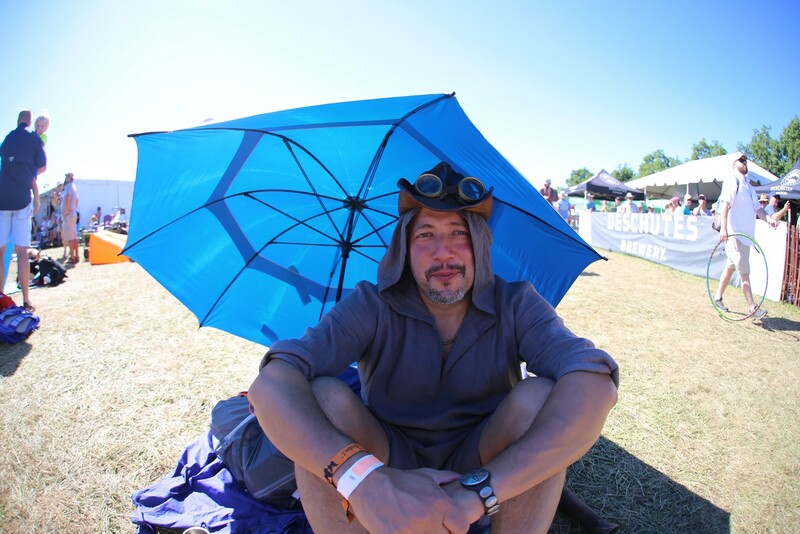 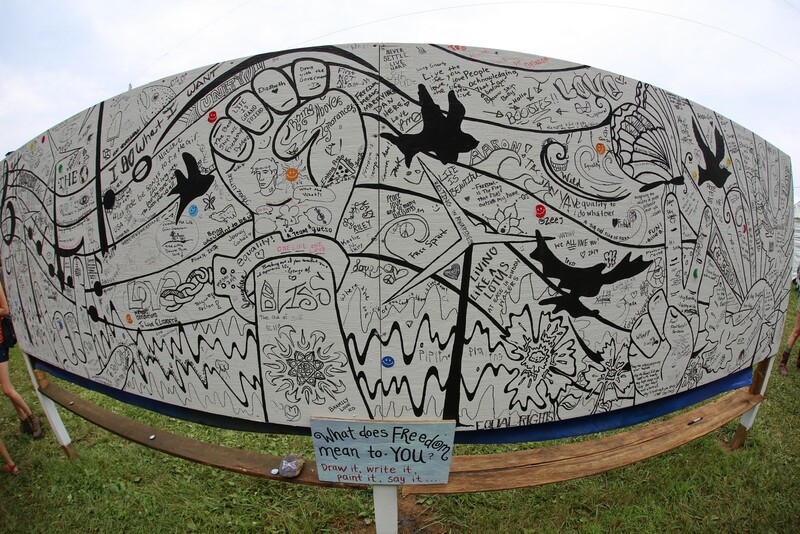 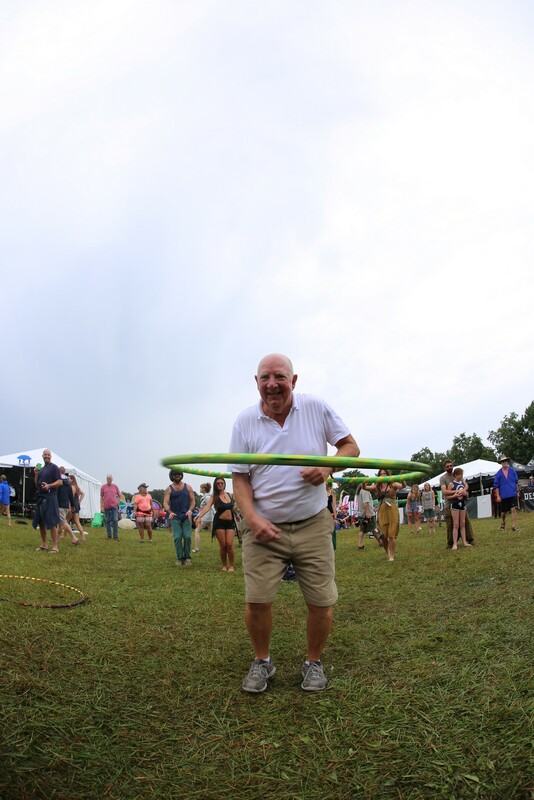 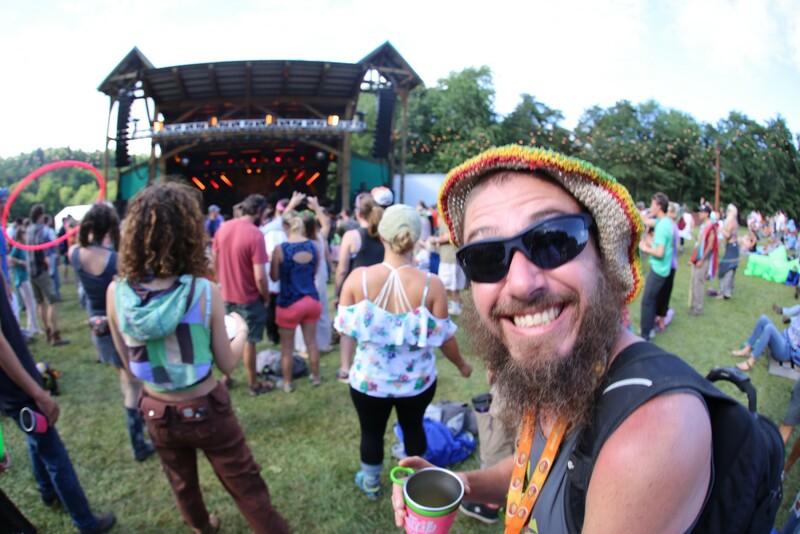 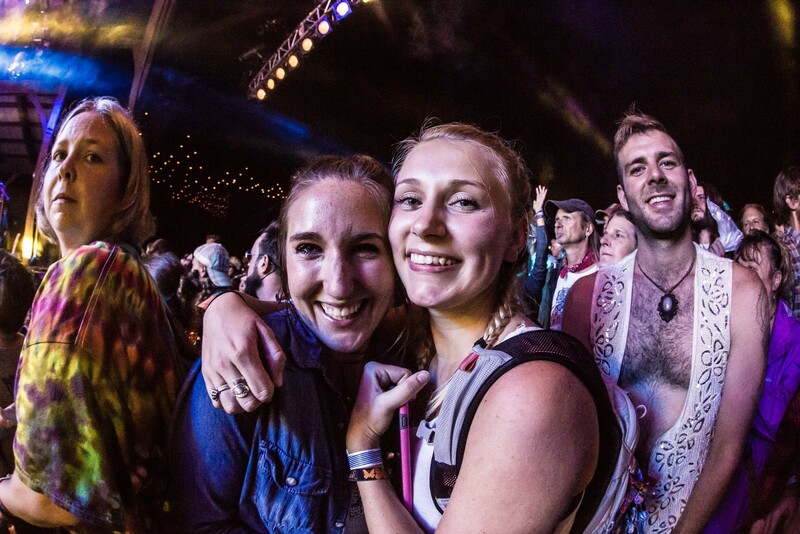 Leaving the festival, he wrote me this to sum up the experience of FloydFest beyond the music: "Here's the thing about FloydFest: it leaves a big ol' hole in your heart after you leave and it lasts until the next year's line-up is announced. 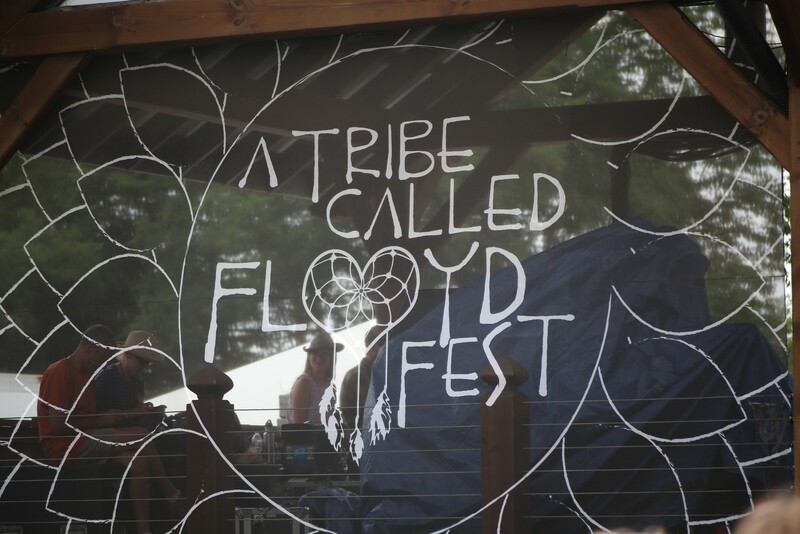 The next couple of days, I'll be looking through the FloydFest page and the YouTube videos wishing I was back. 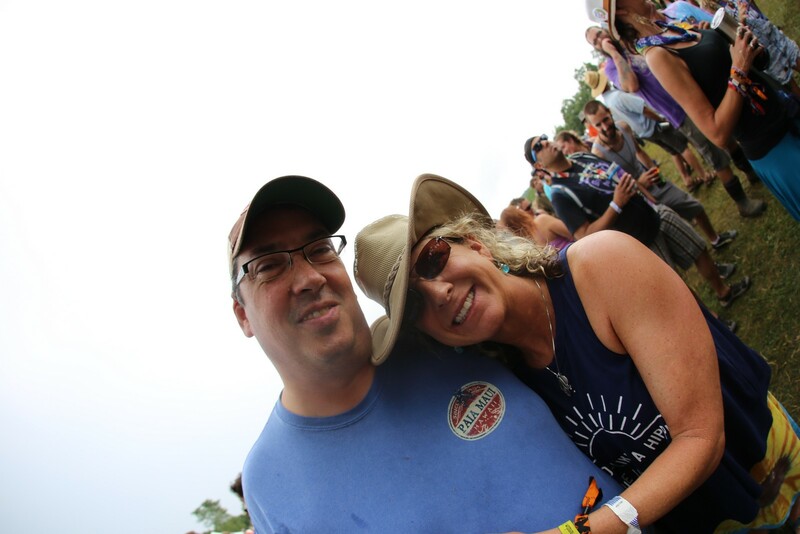 On our way home, we talked about the random friends we've made either working the volunteer weekends or waiting in line to check in. 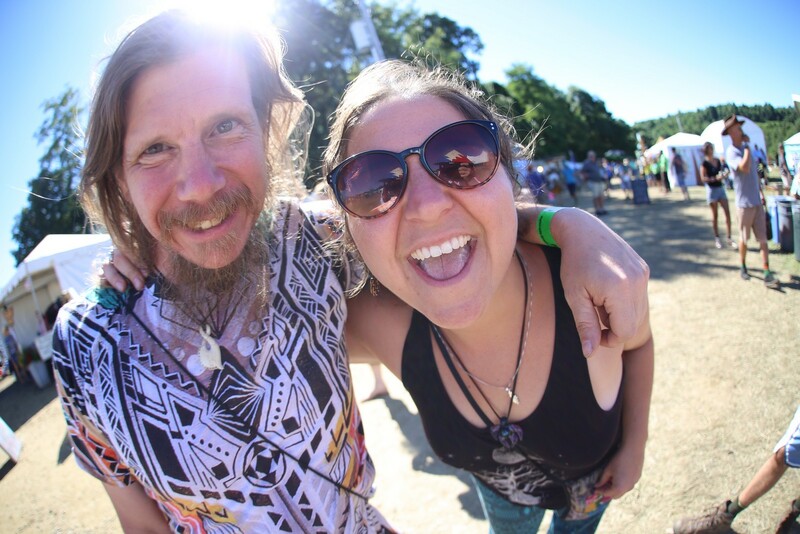 There's one couple, we don't even know their names other than Appalachian Trail, because the husband had through hiked it and we only met them in the check in line 3 years ago. 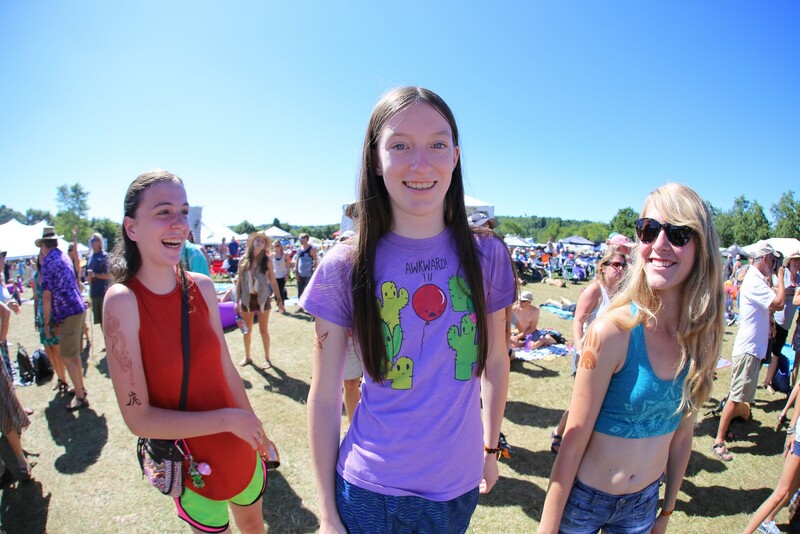 But we always talk to them when we see them. 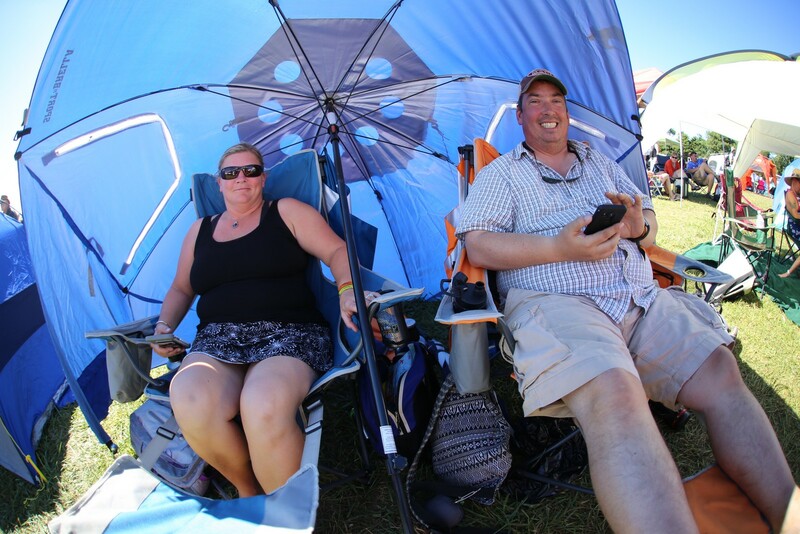 Today, we were even giving tent recommendations to them. 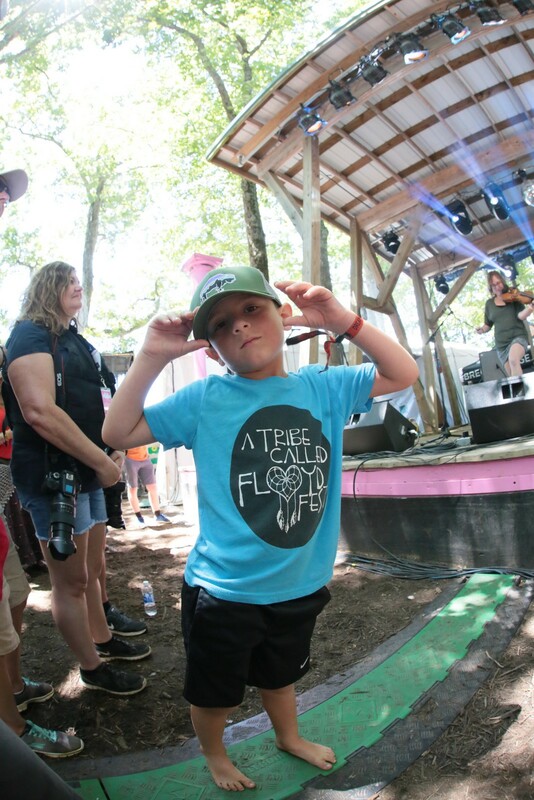 All this wouldn't be possible without people like Sam Calhoun and all the other staff and volunteers that make FloydFest home for up to five days--or even one day. 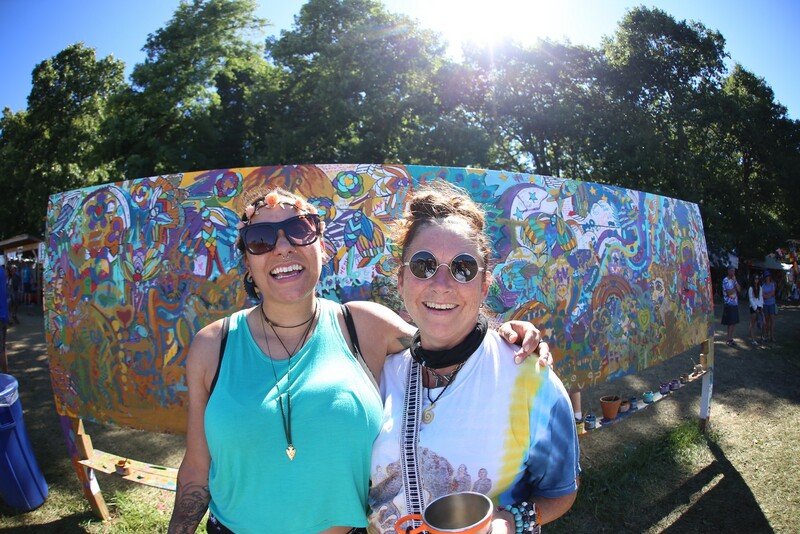 It becomes the cool neighborhood that we all want to live in." 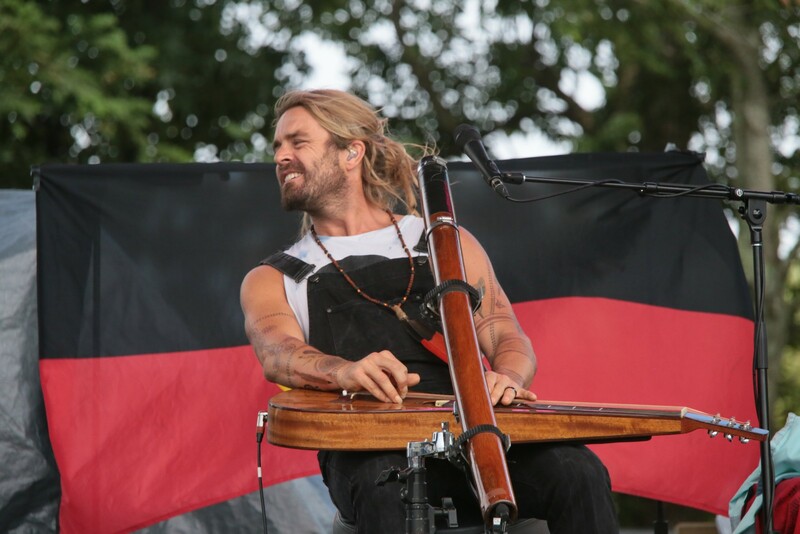 Well said, Jamie!